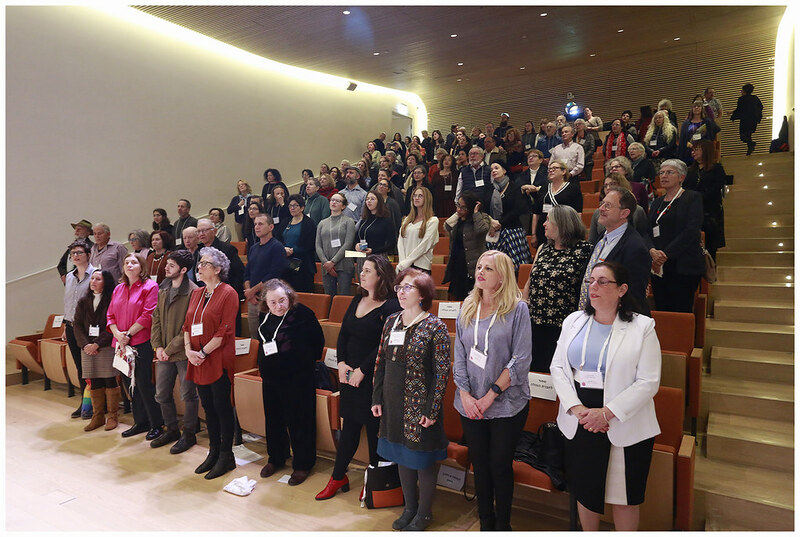 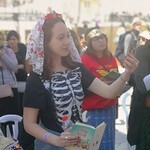 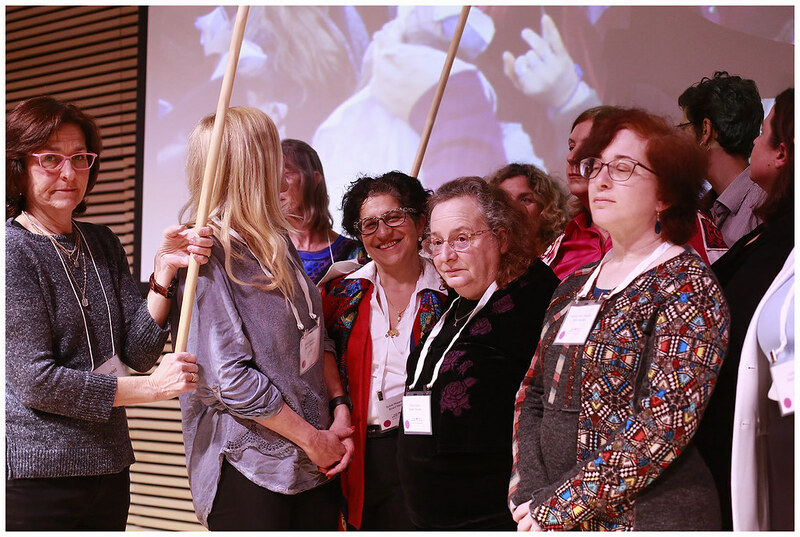 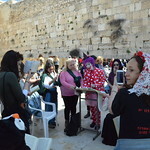 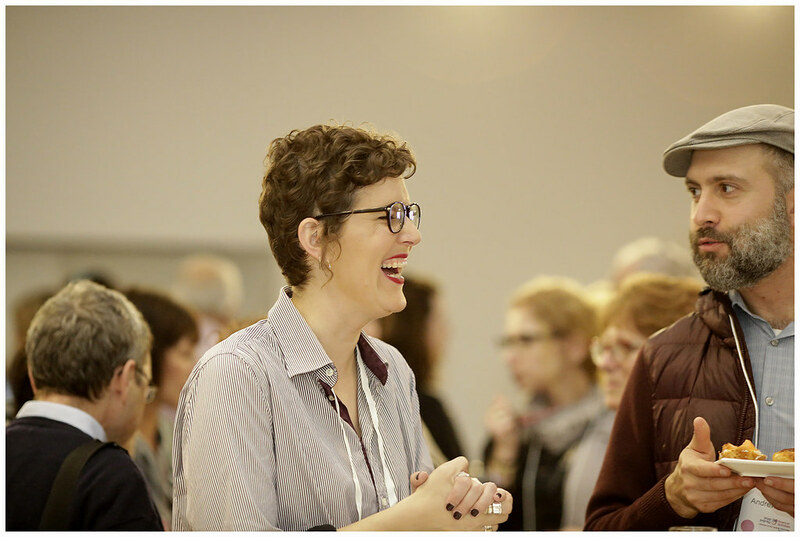 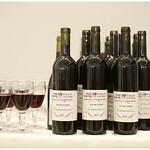 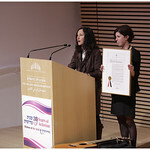 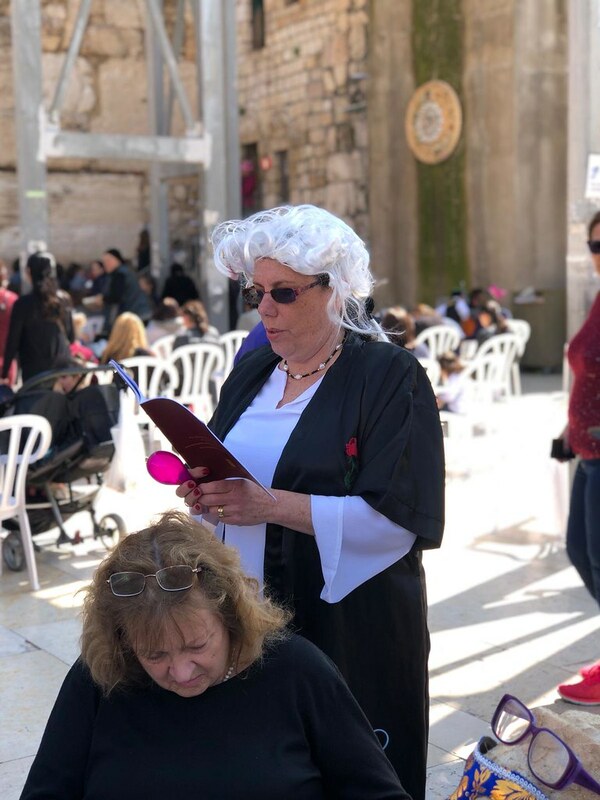 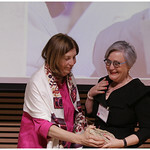 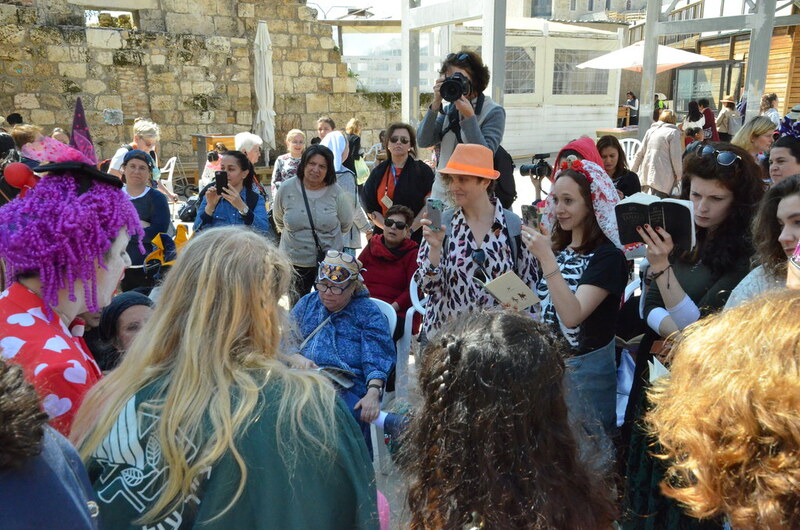 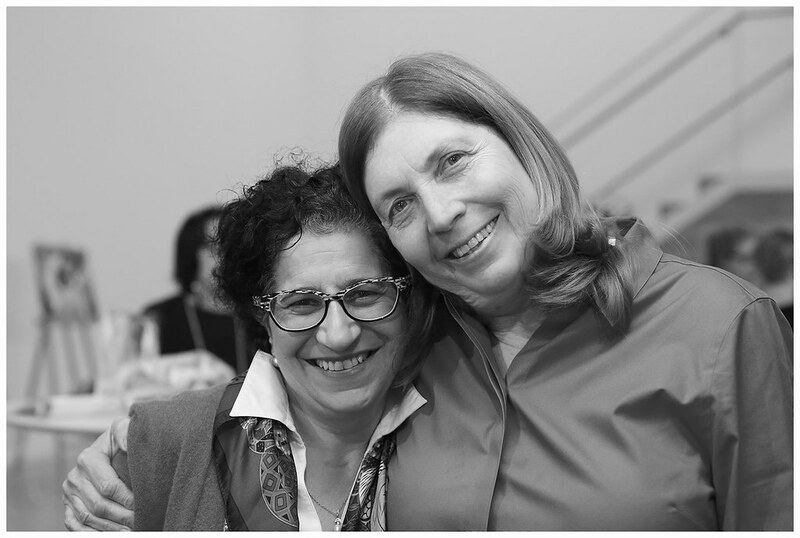 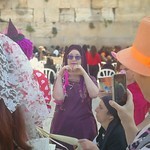 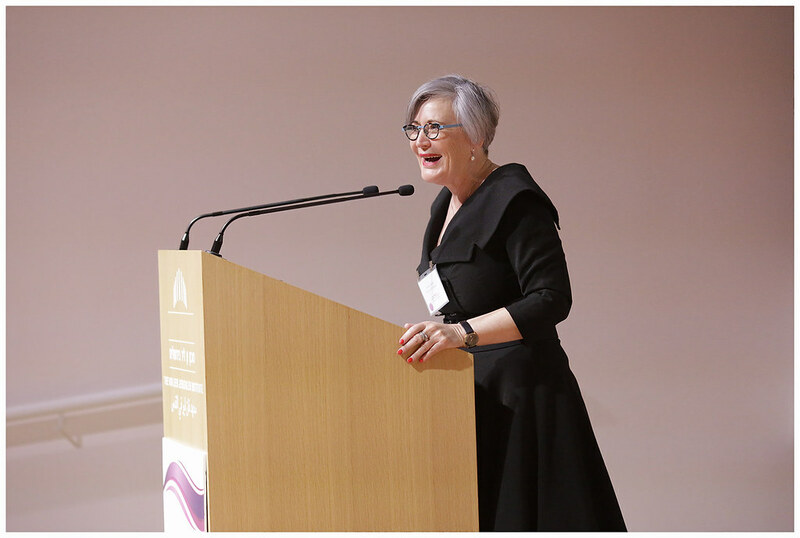 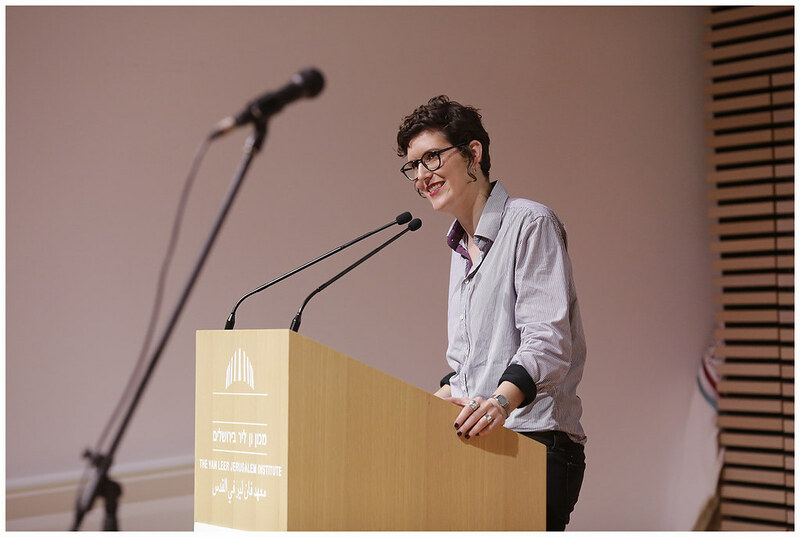 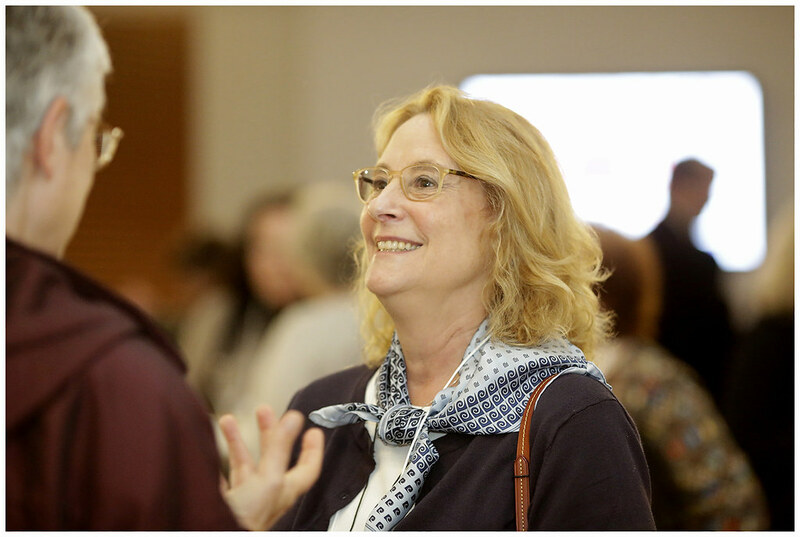 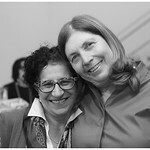 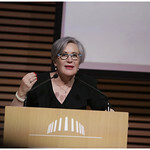 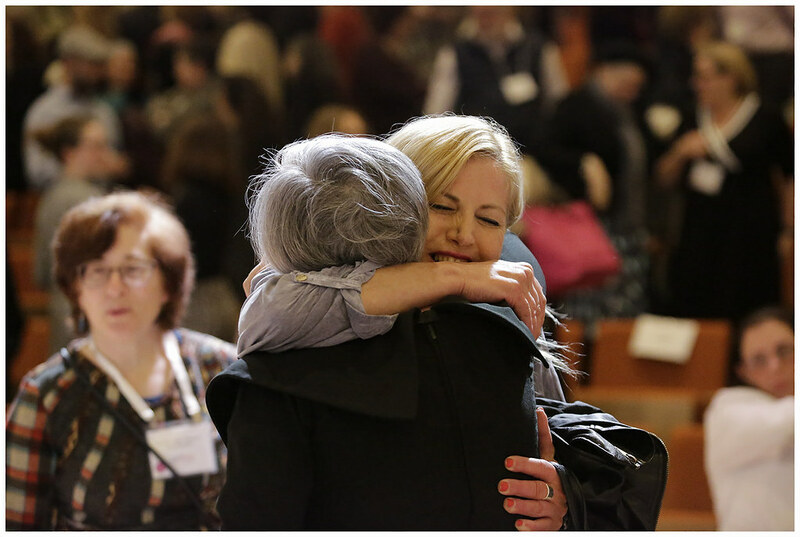 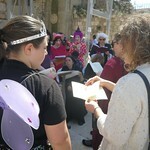 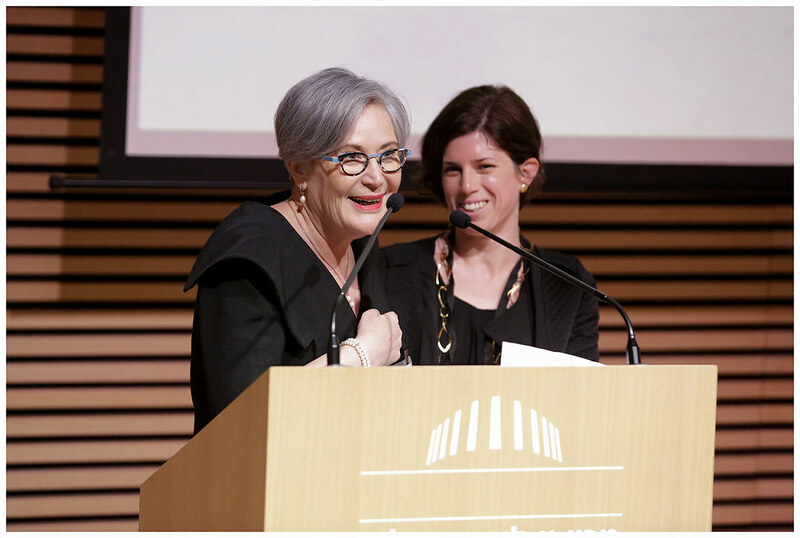 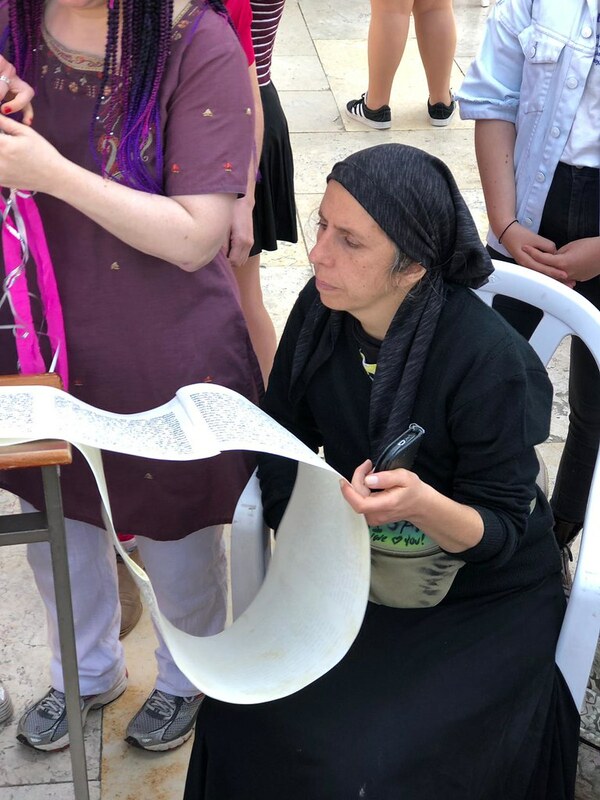 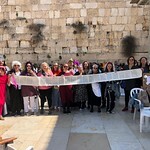 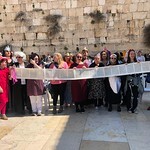 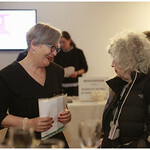 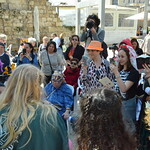 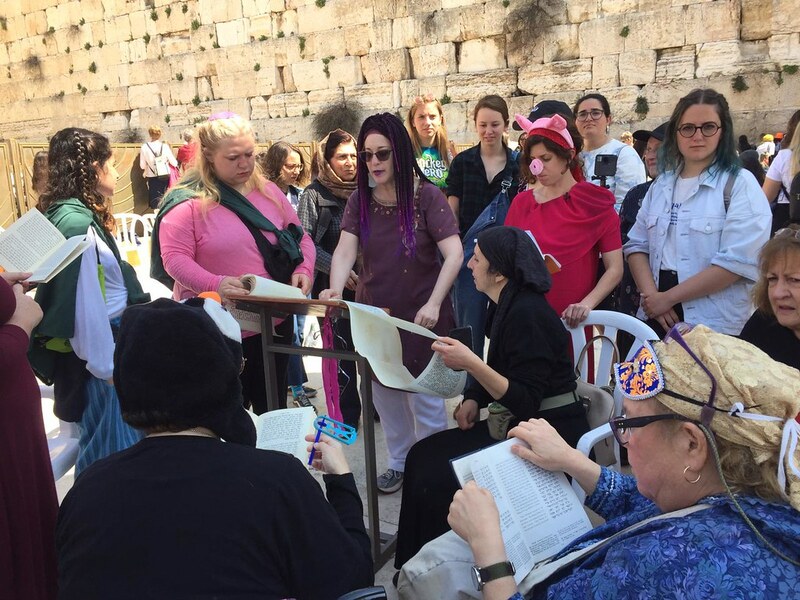 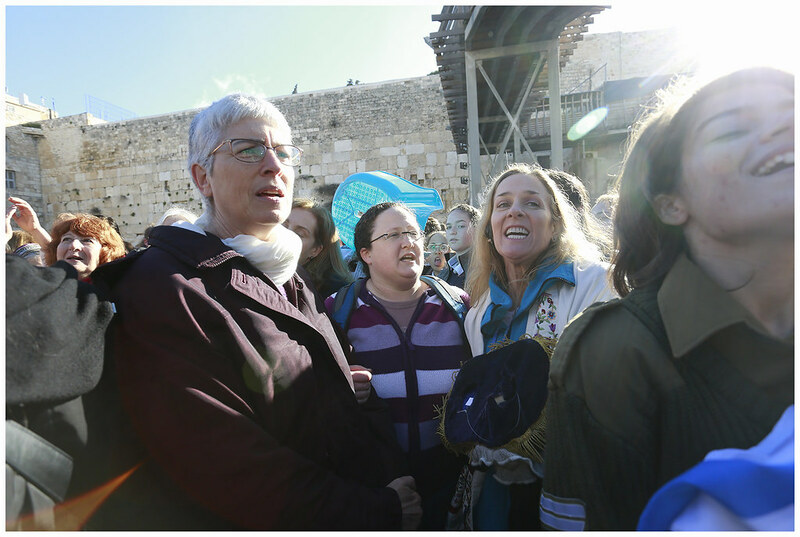 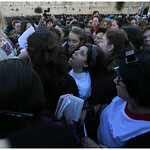 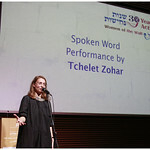 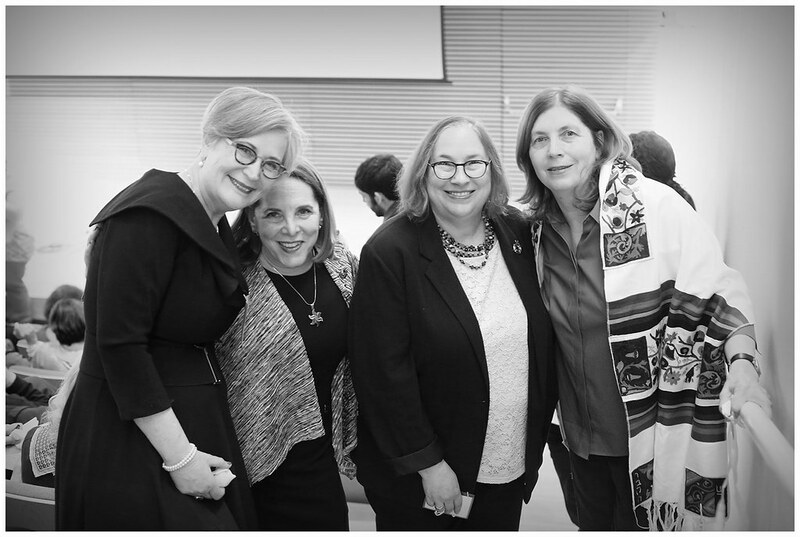 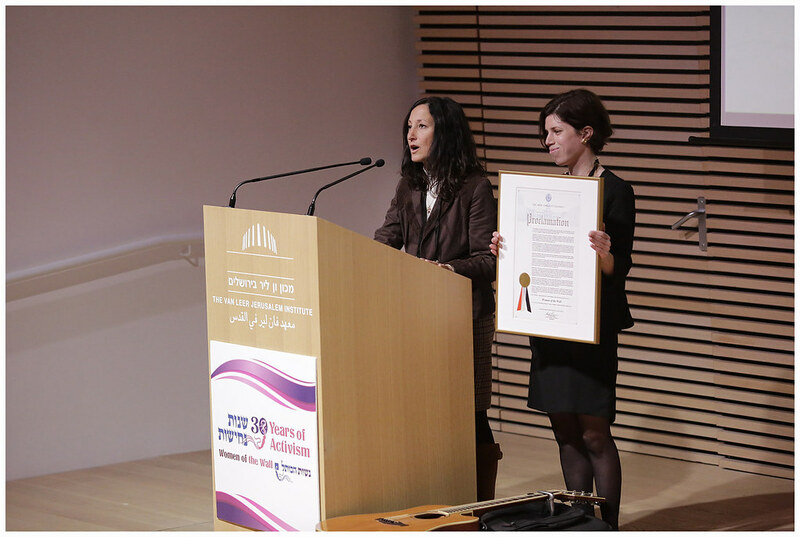 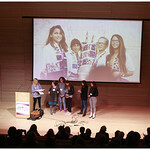 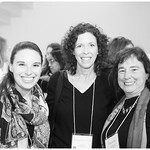 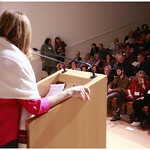 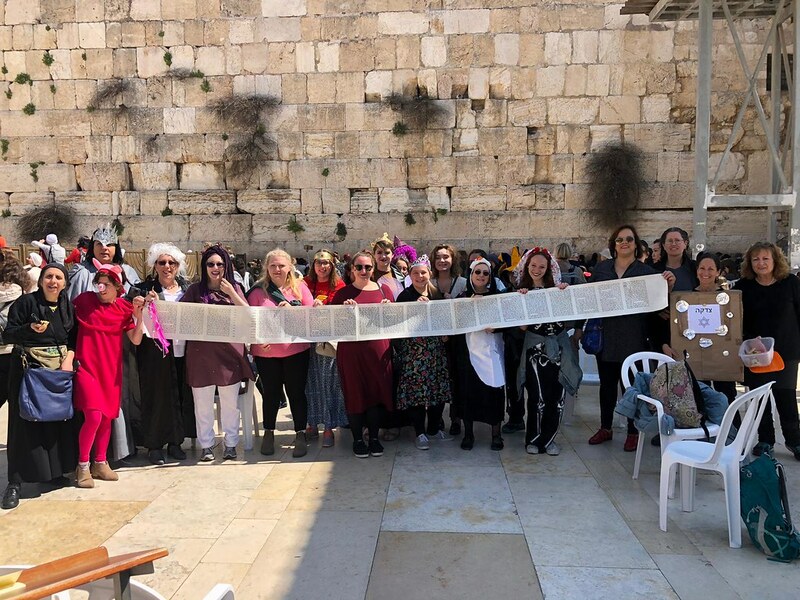 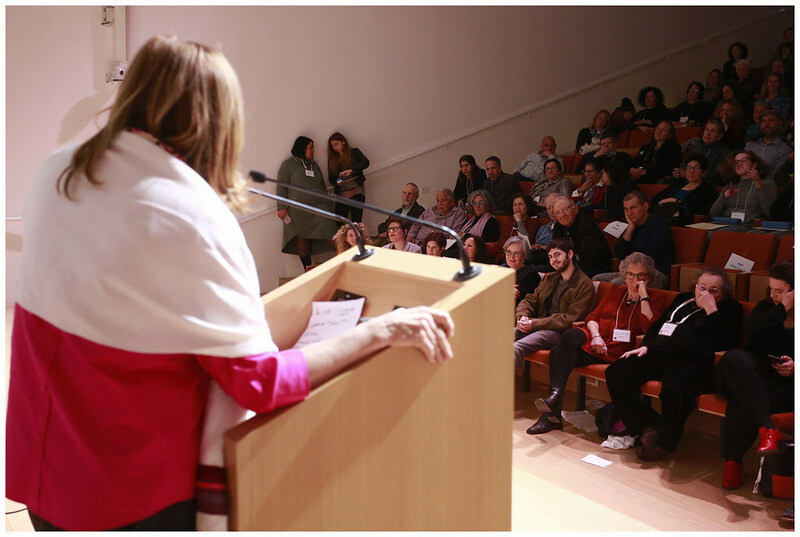 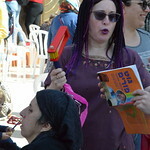 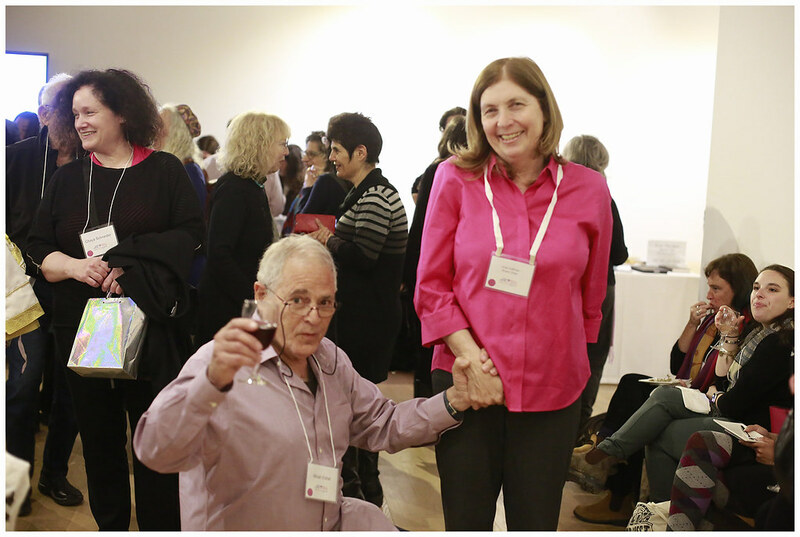 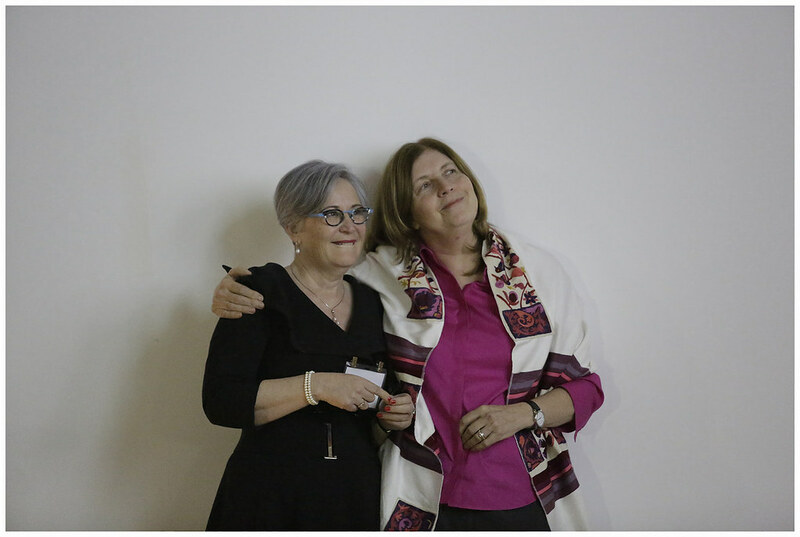 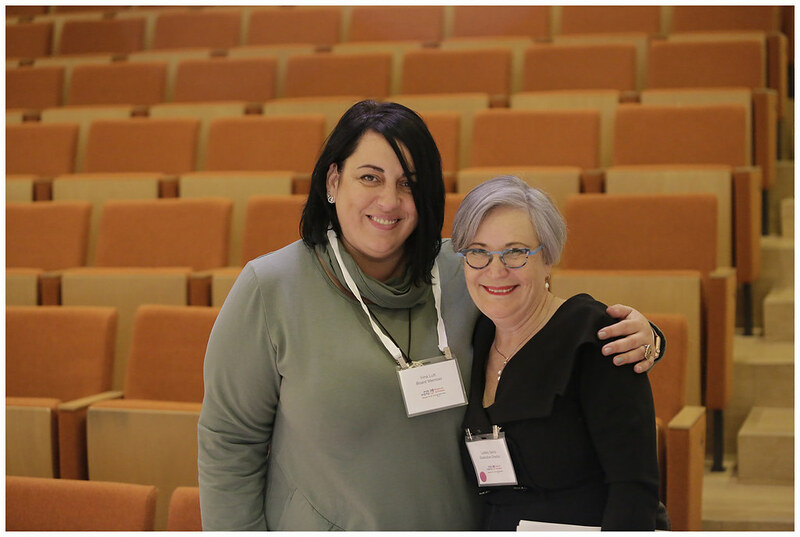 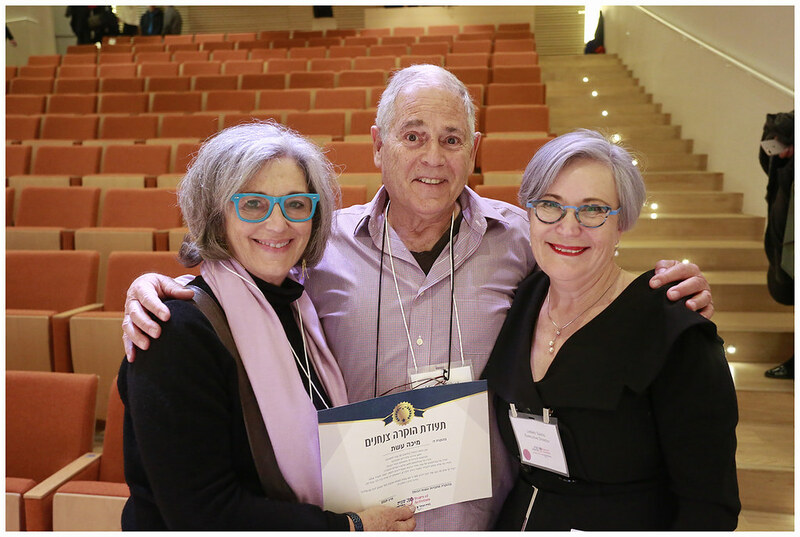 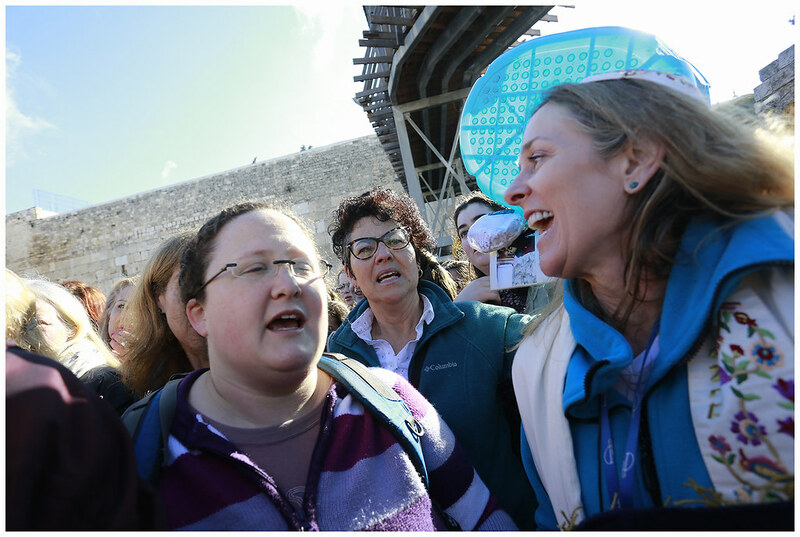 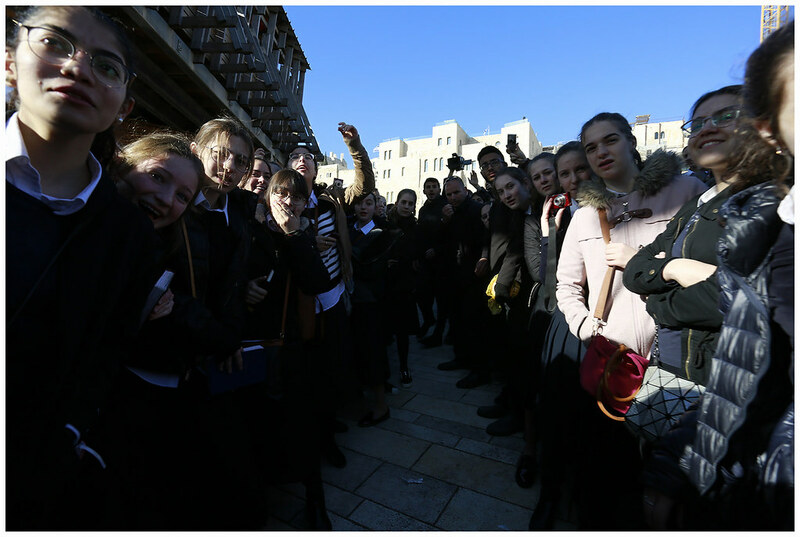 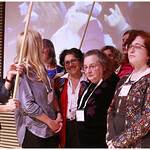 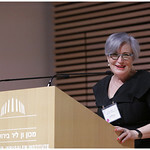 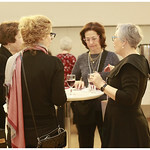 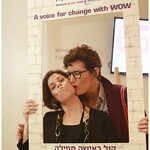 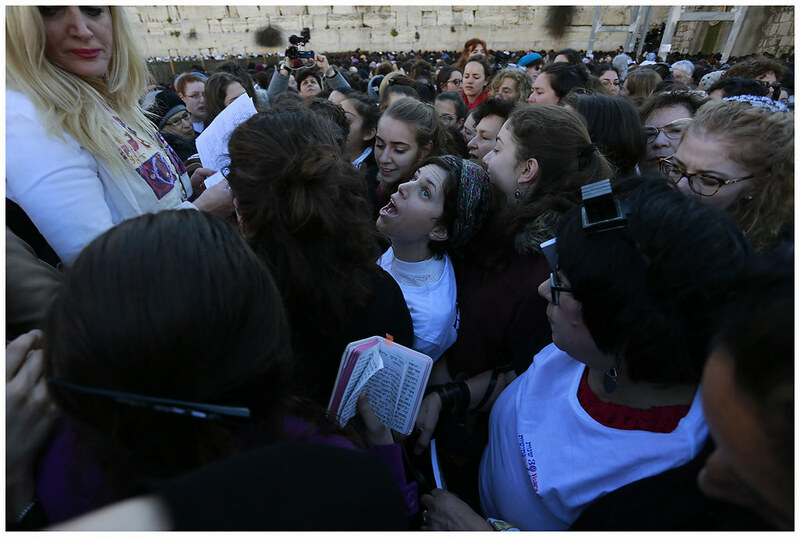 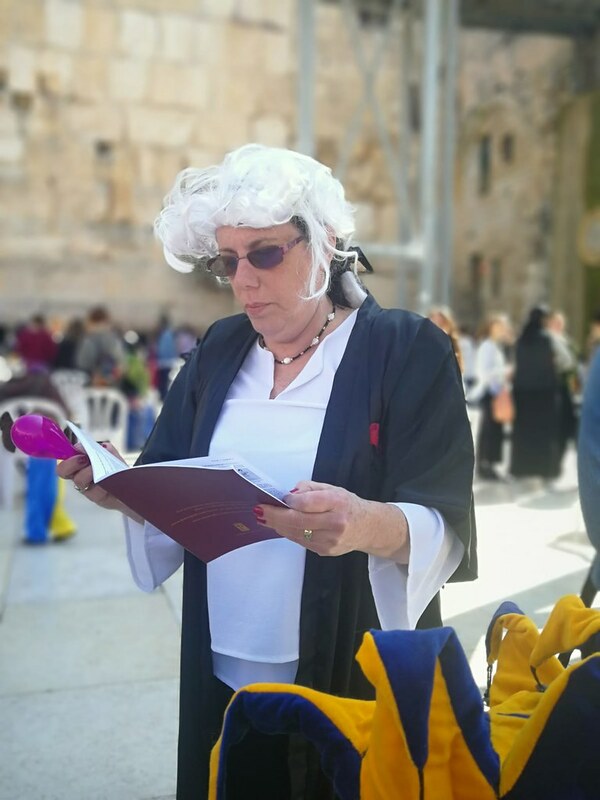 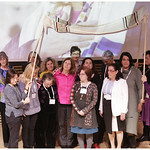 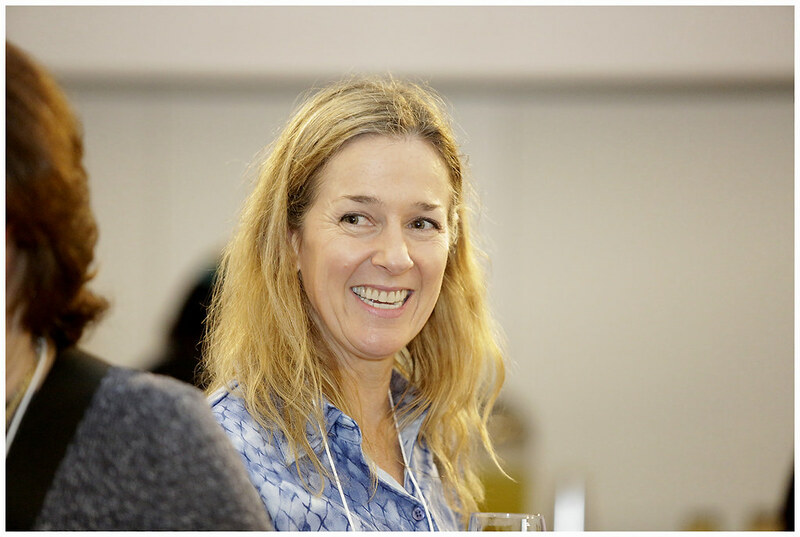 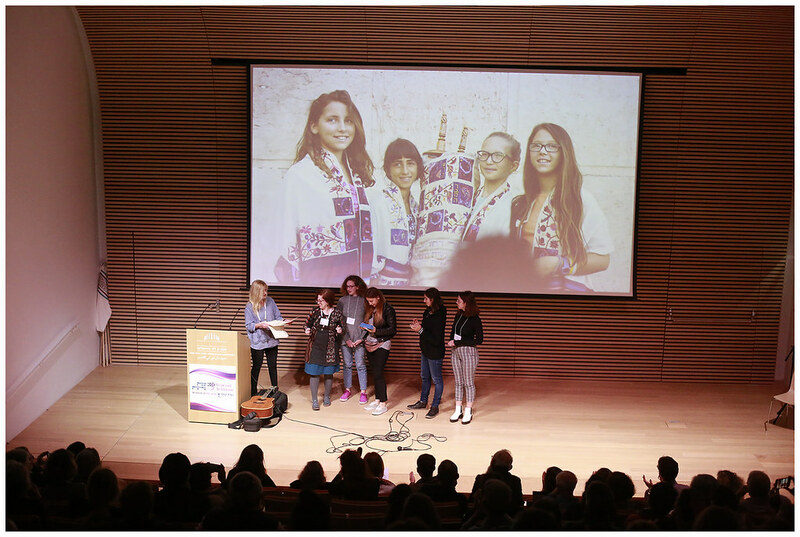 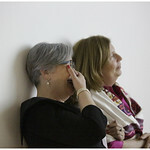 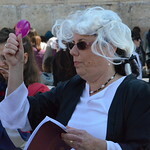 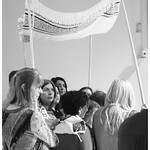 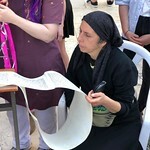 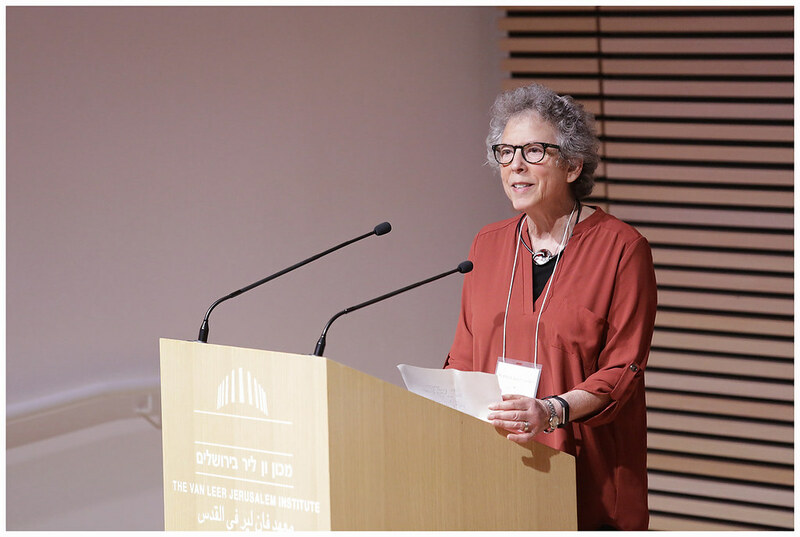 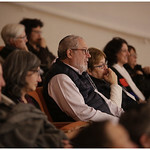 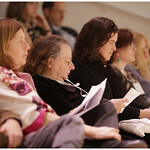 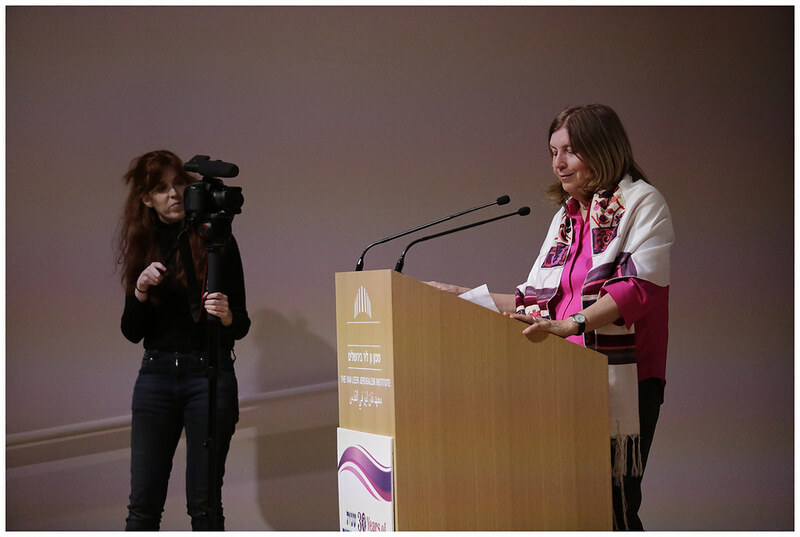 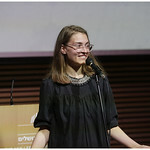 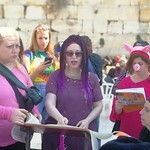 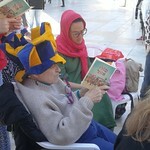 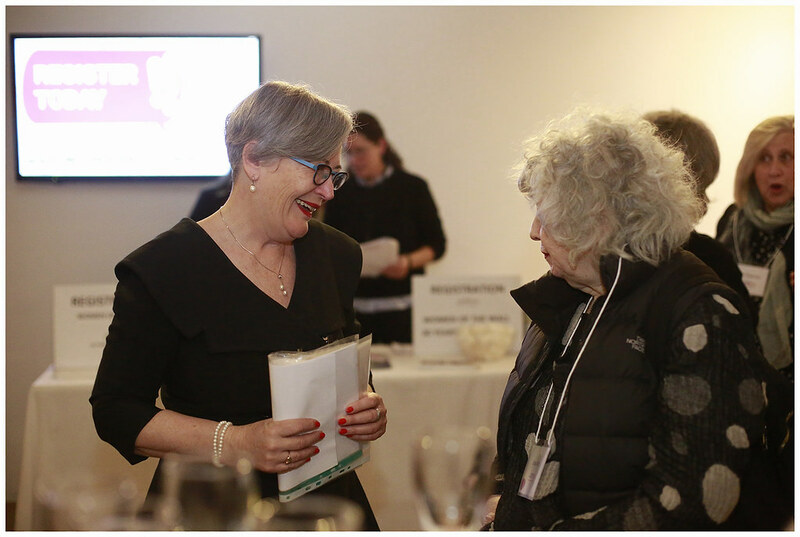 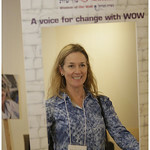 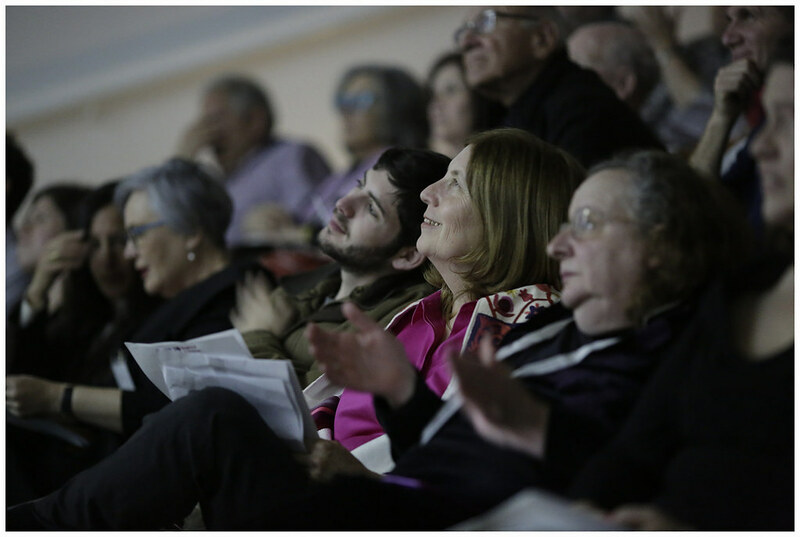 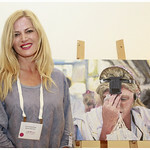 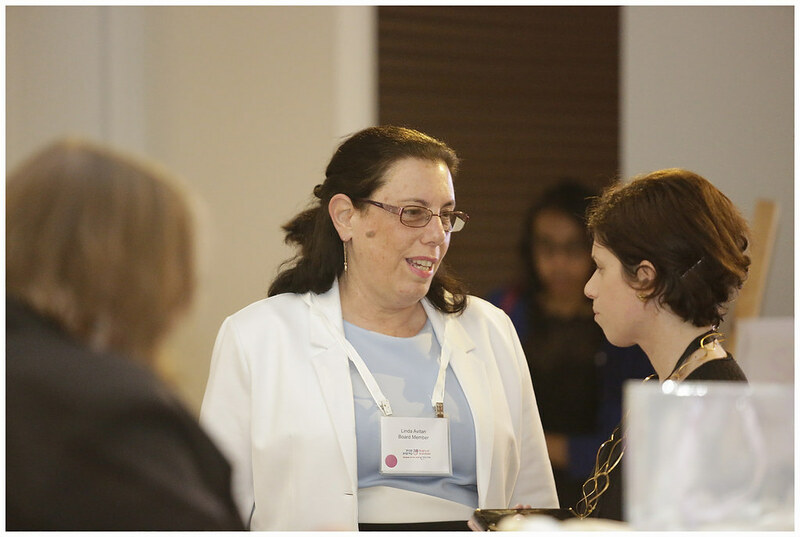 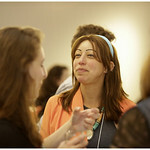 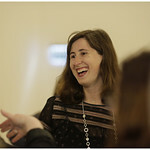 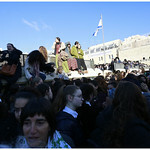 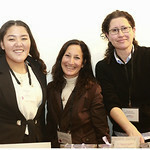 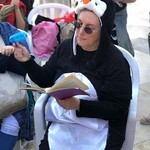 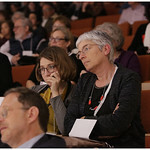 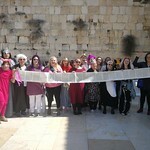 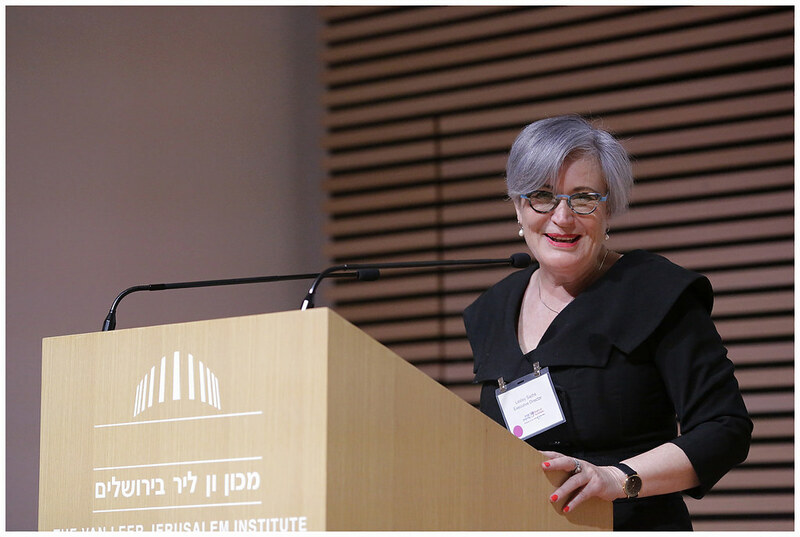 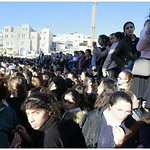 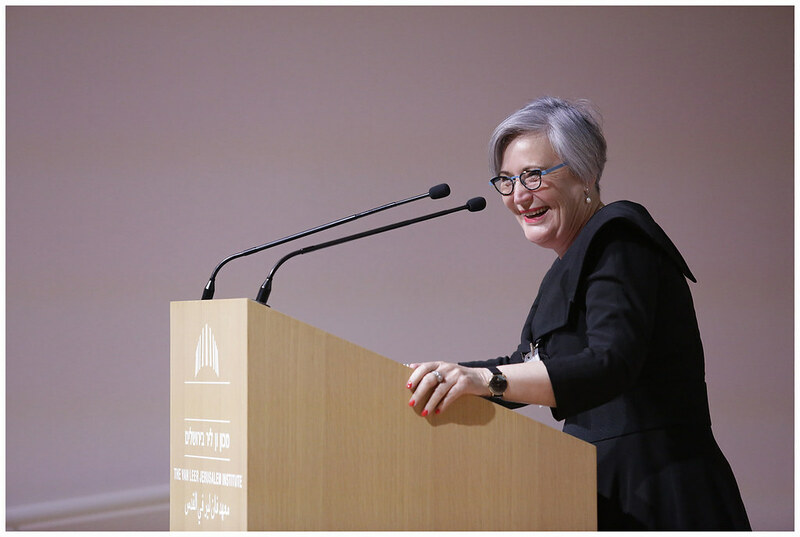 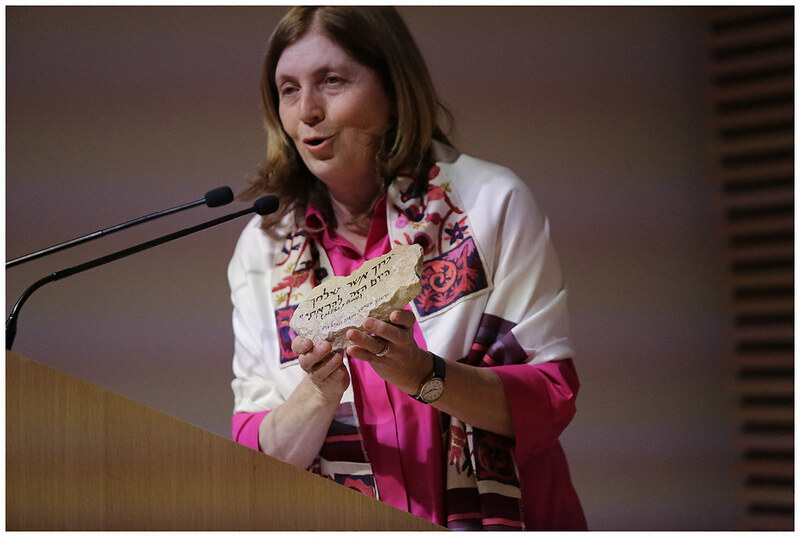 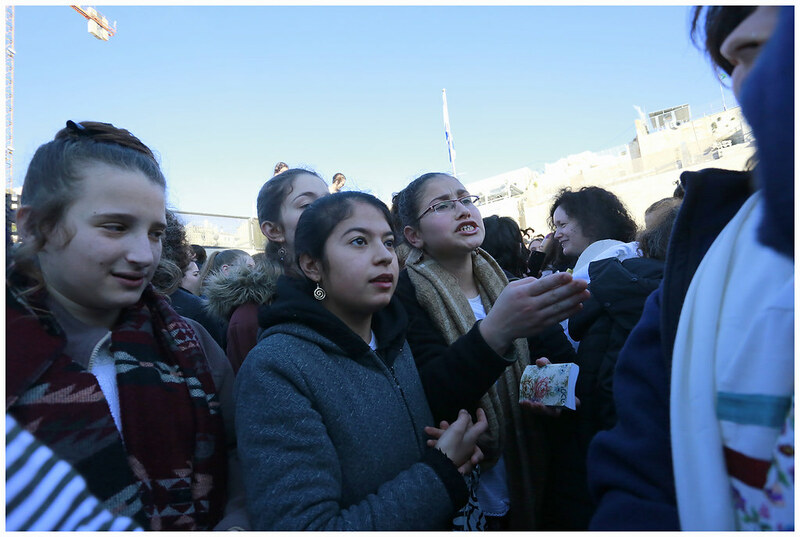 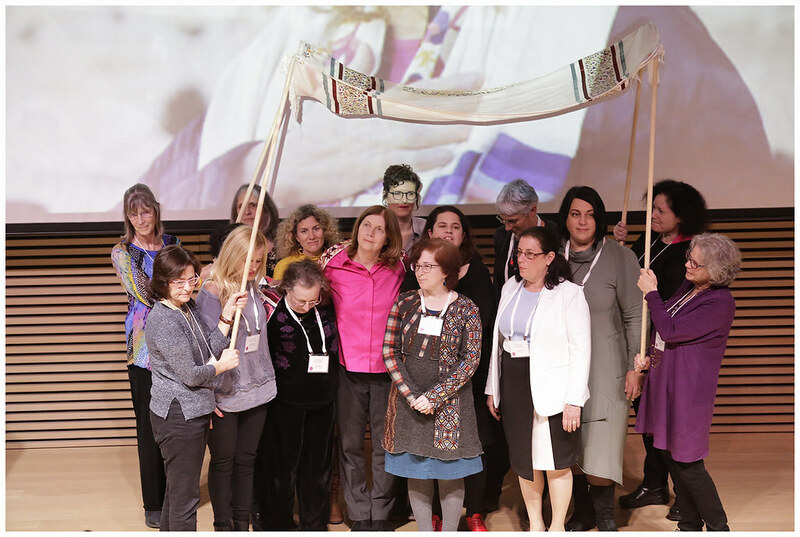 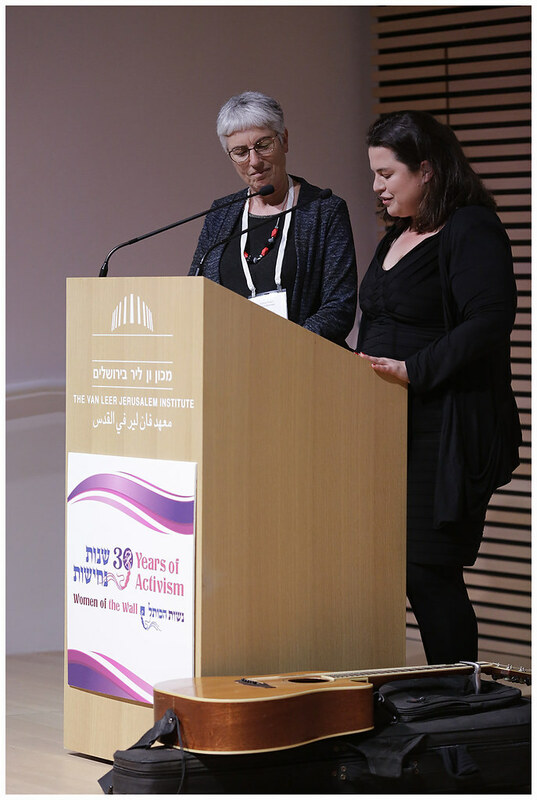 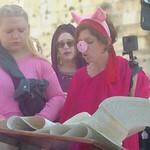 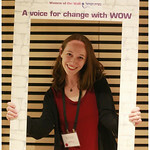 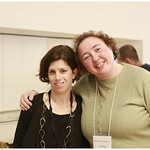 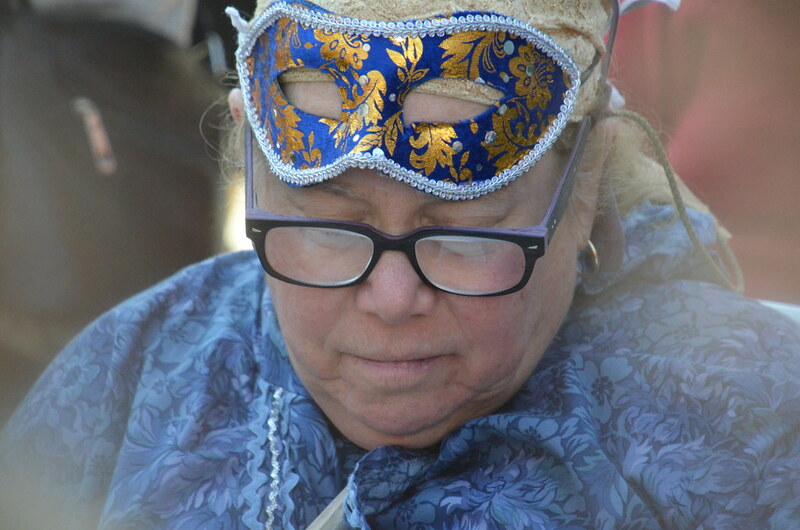 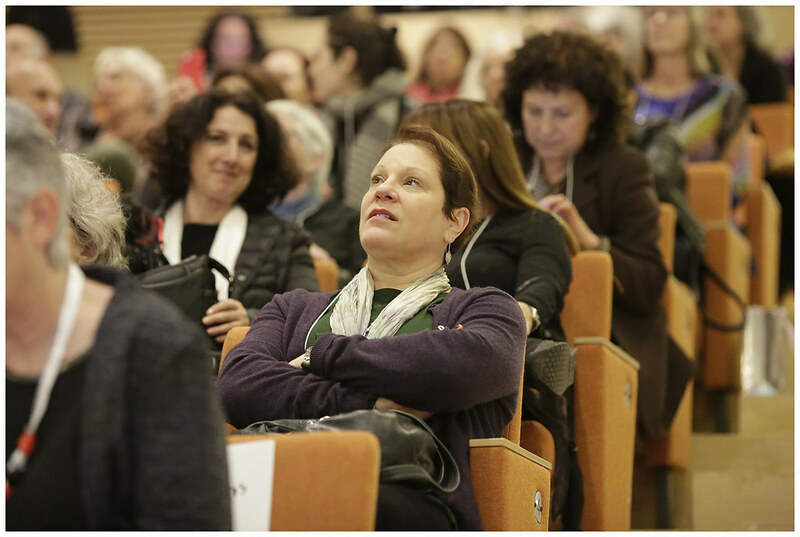 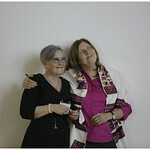 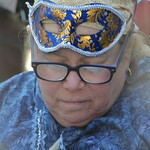 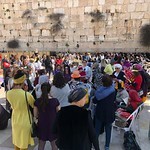 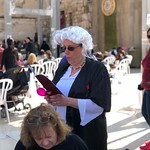 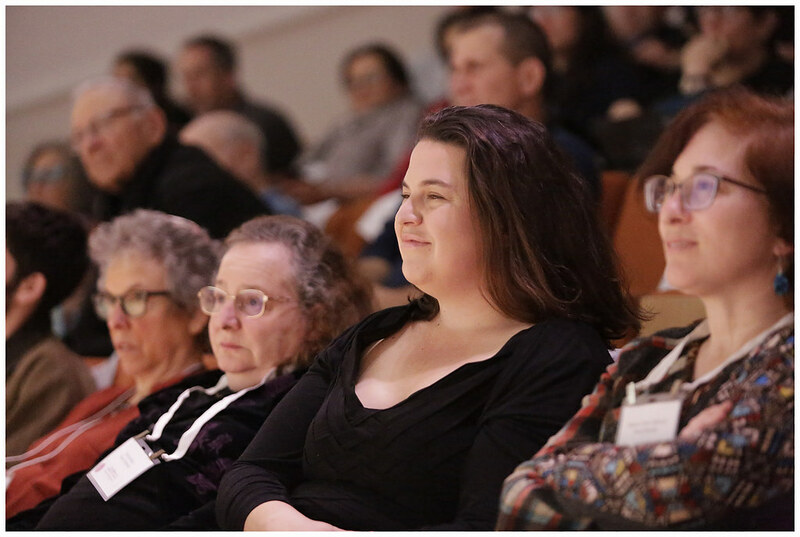 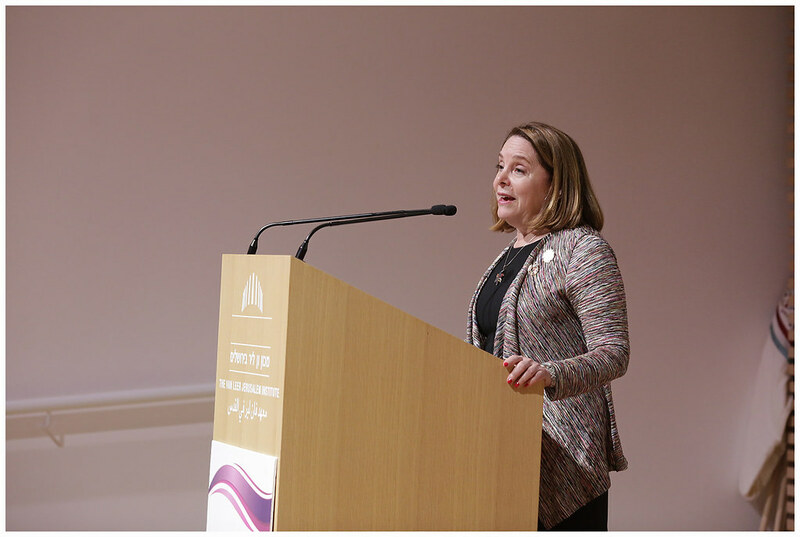 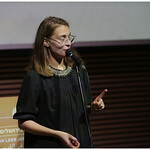 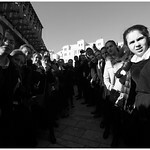 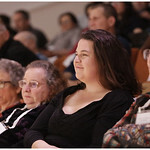 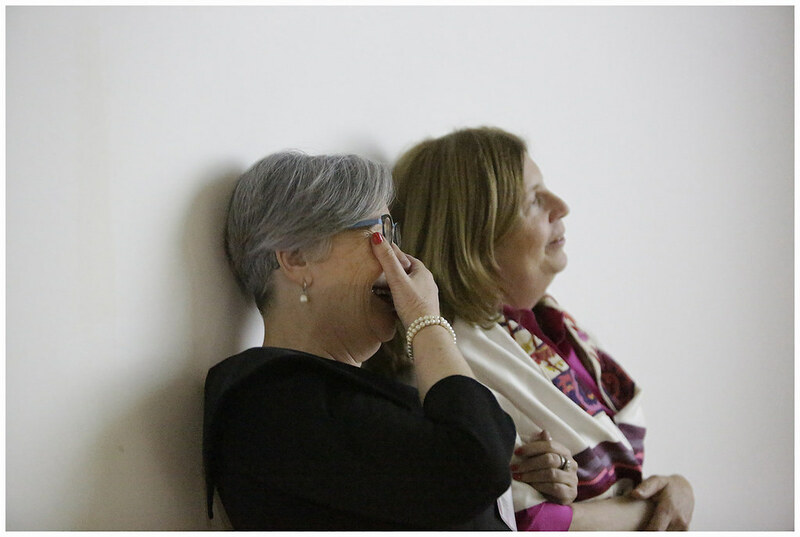 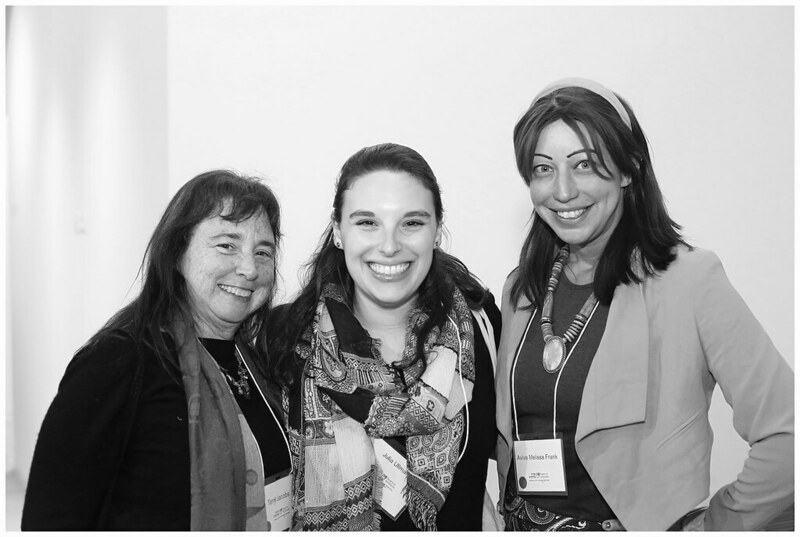 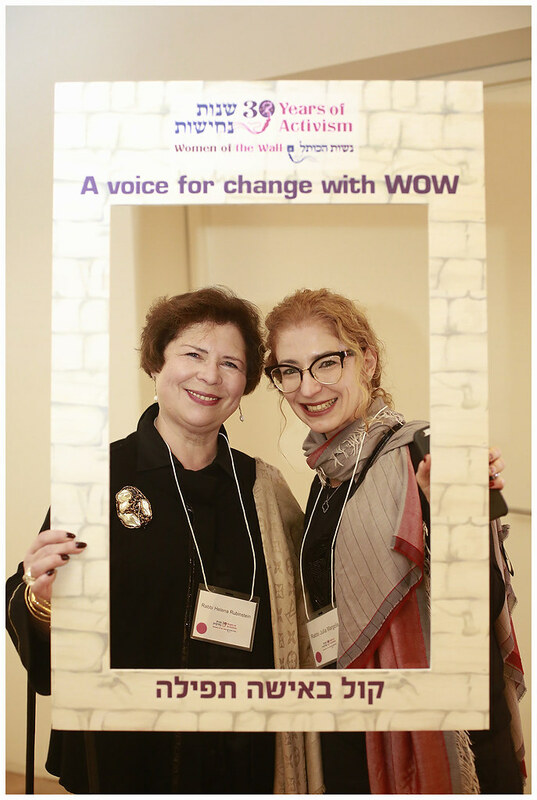 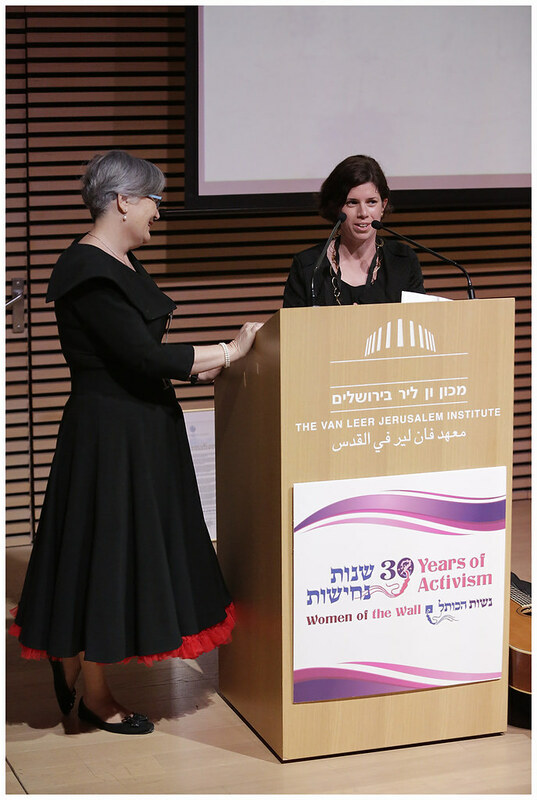 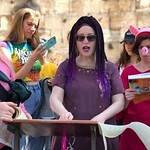 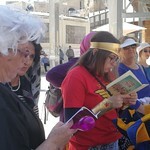 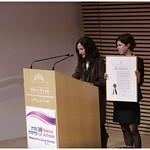 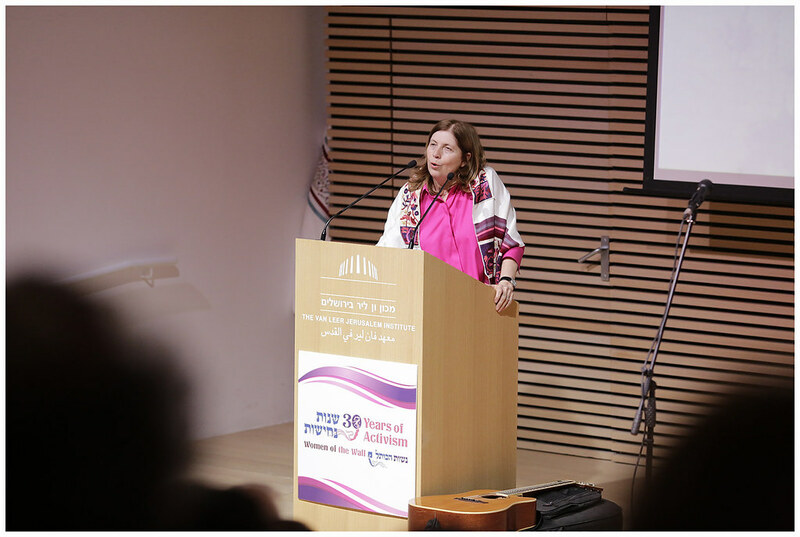 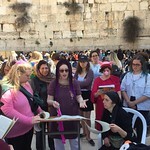 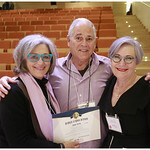 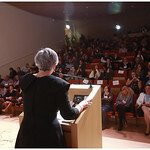 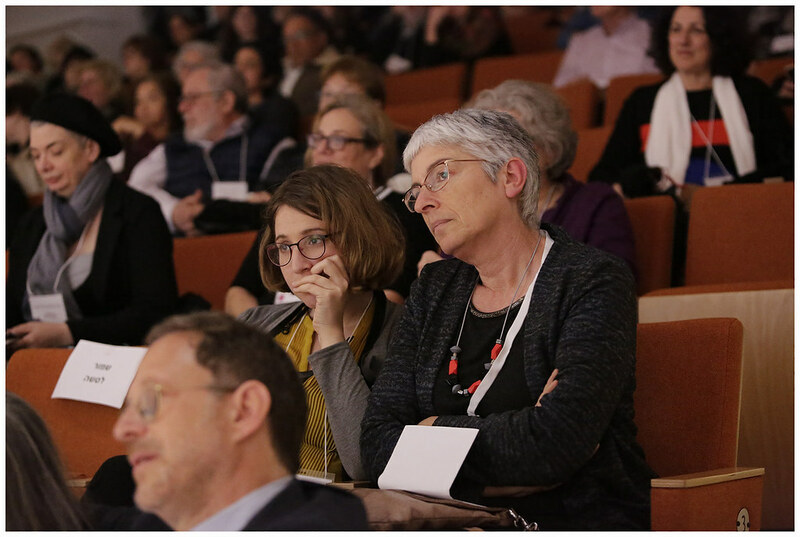 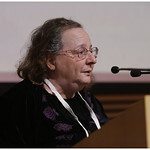 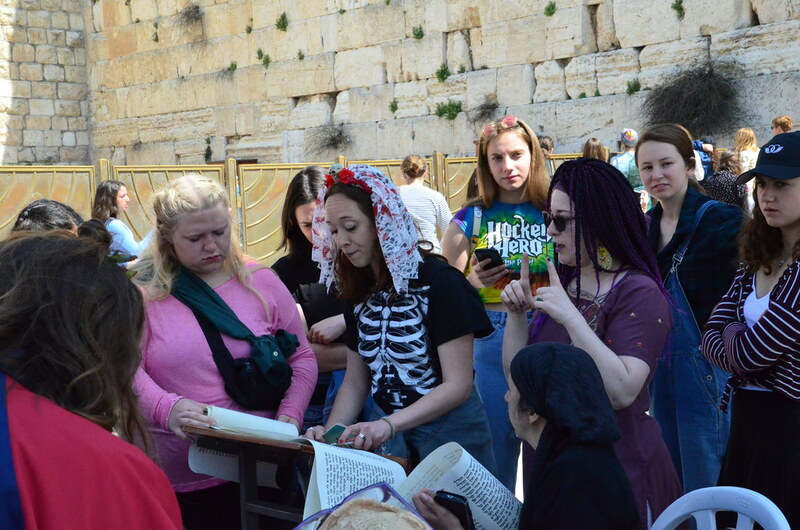 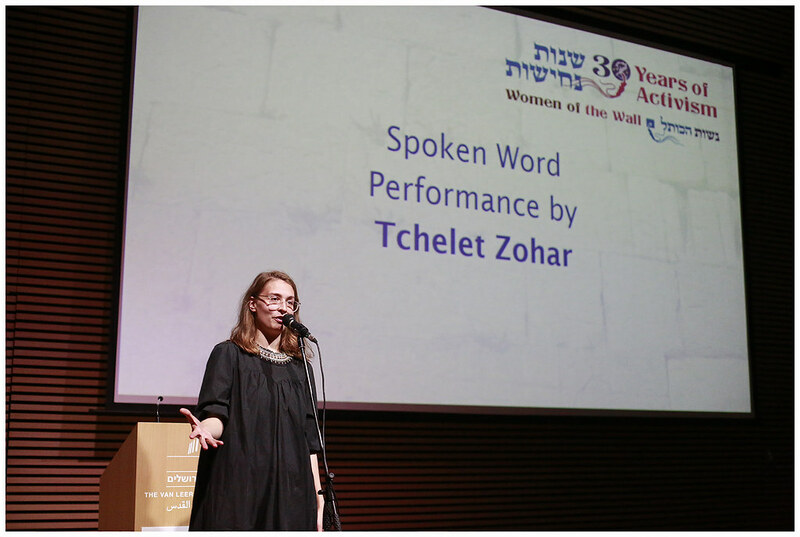 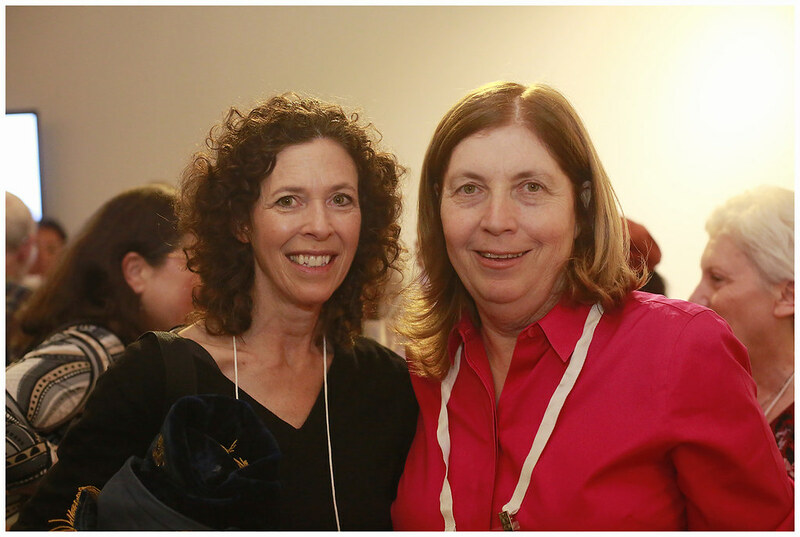 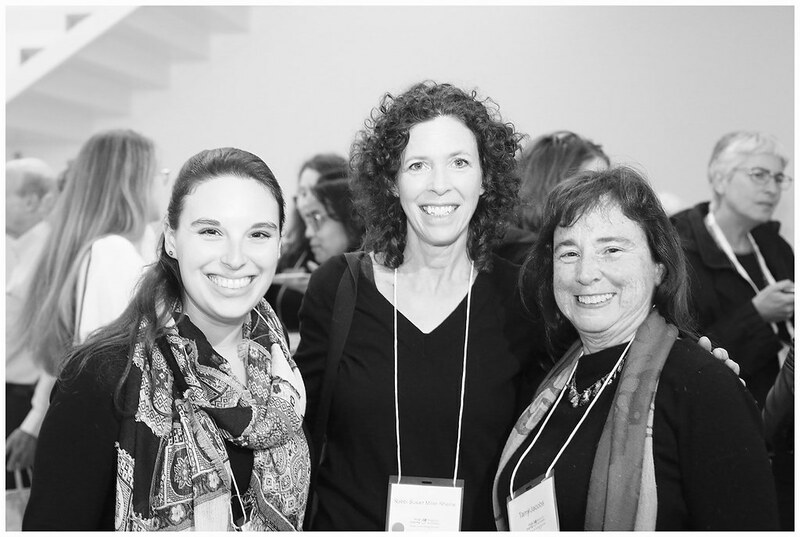 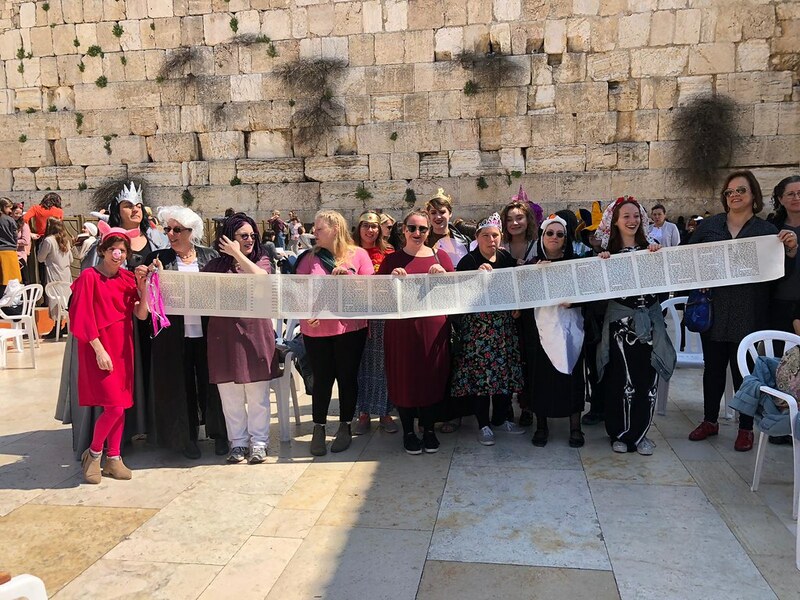 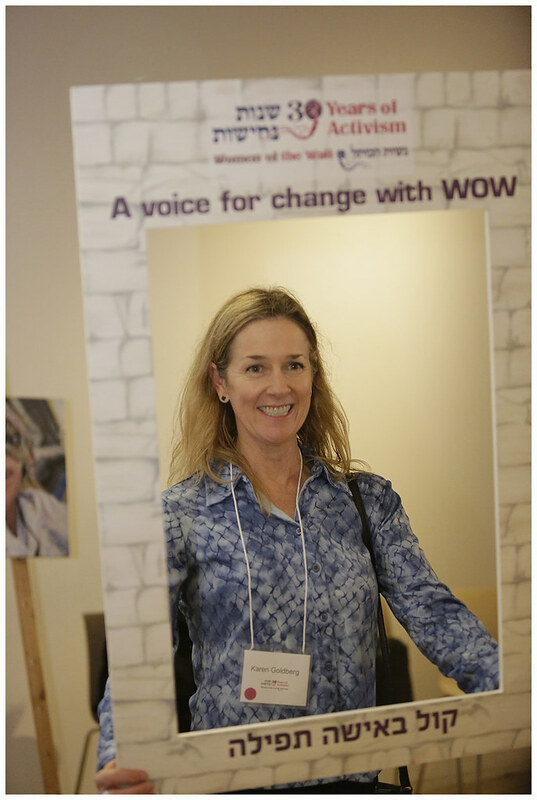 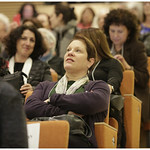 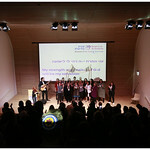 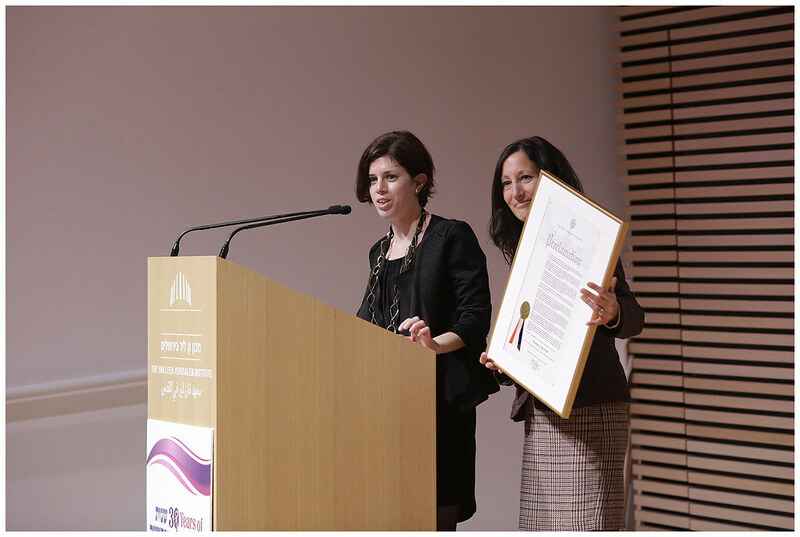 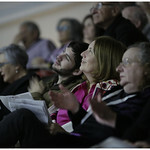 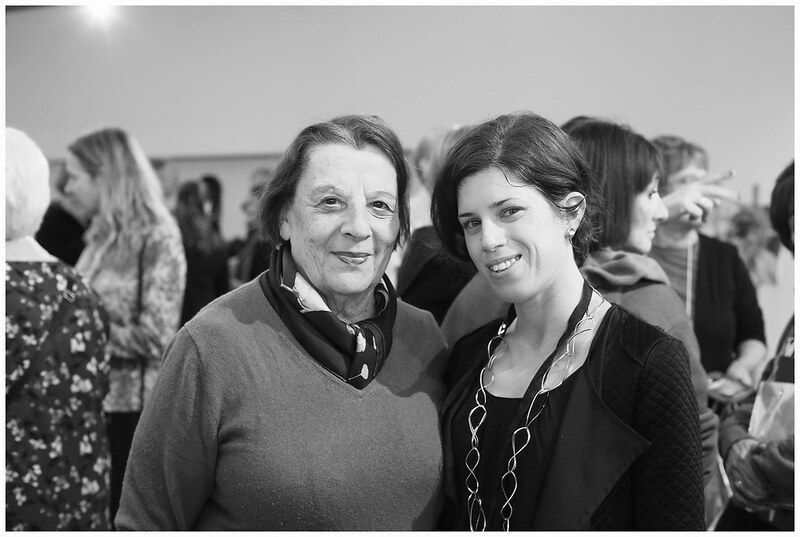 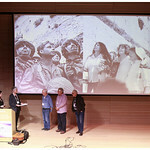 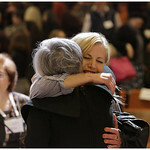 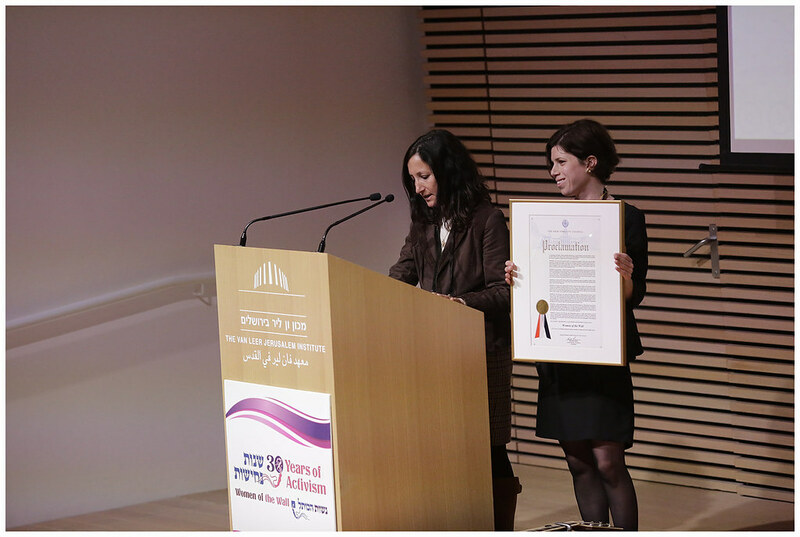 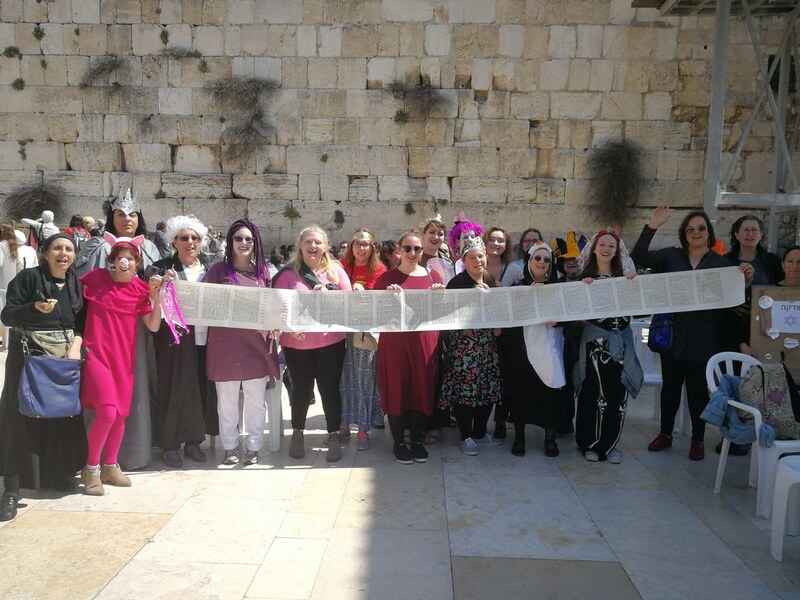 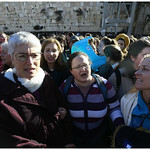 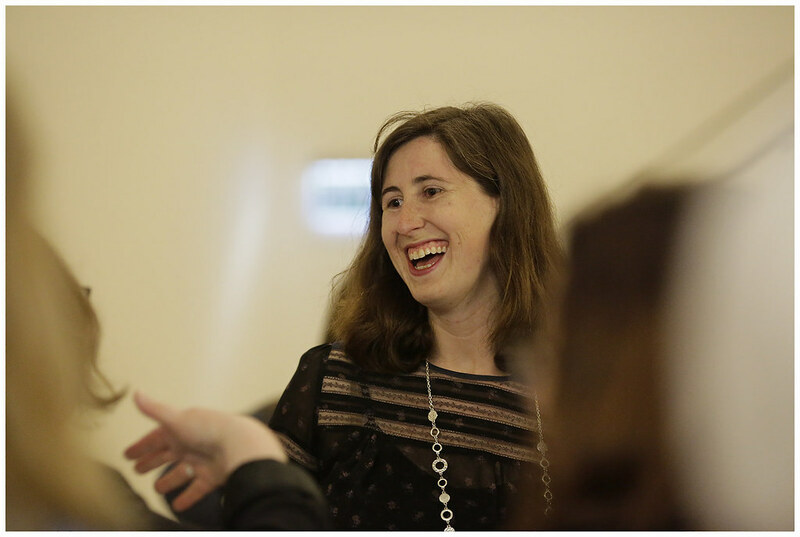 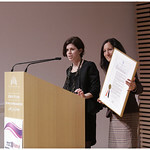 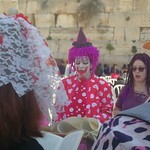 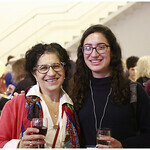 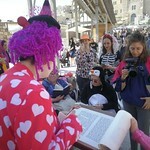 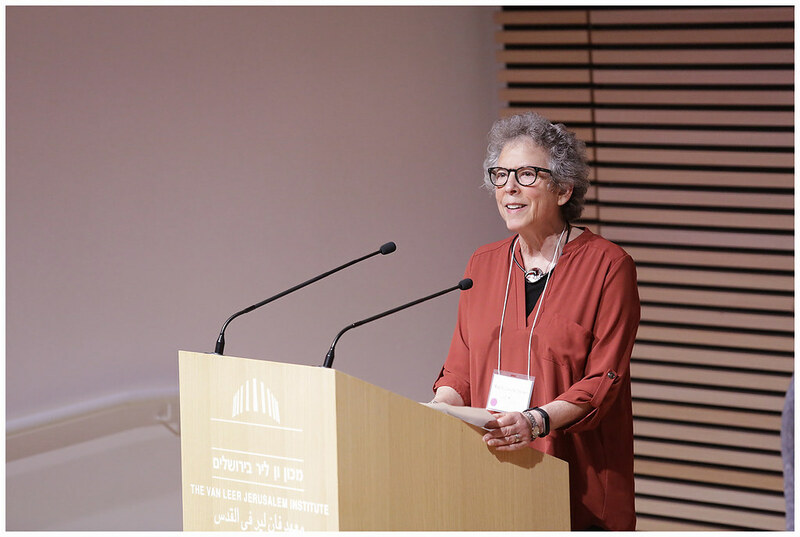 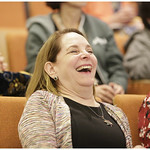 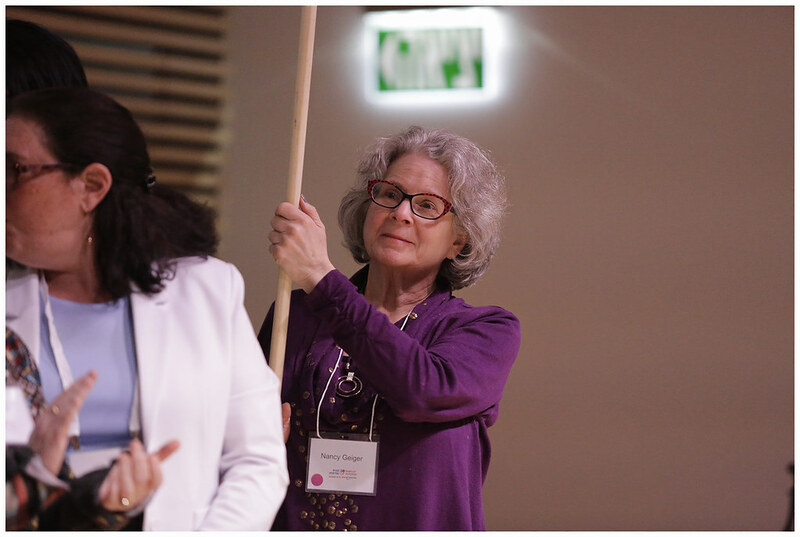 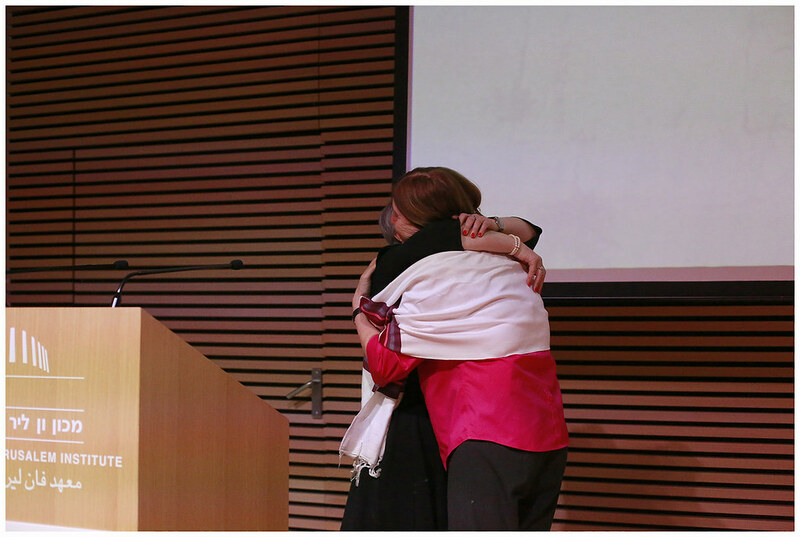 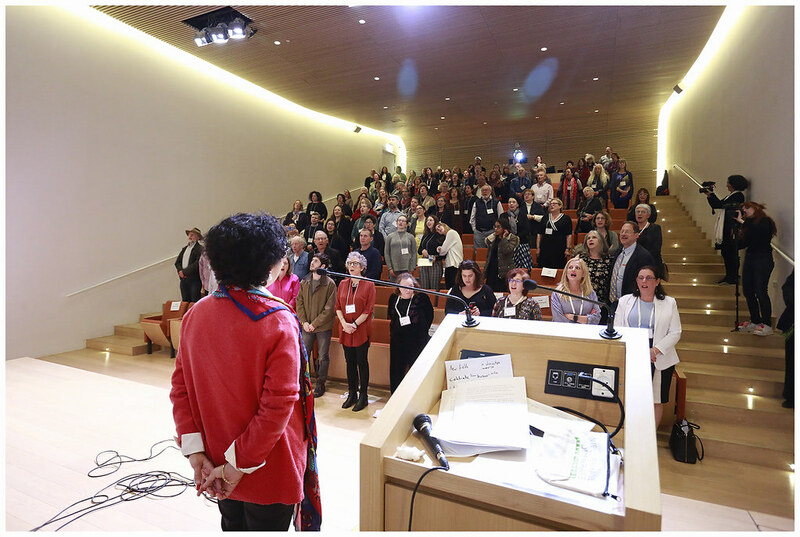 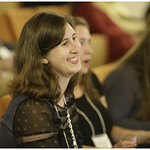 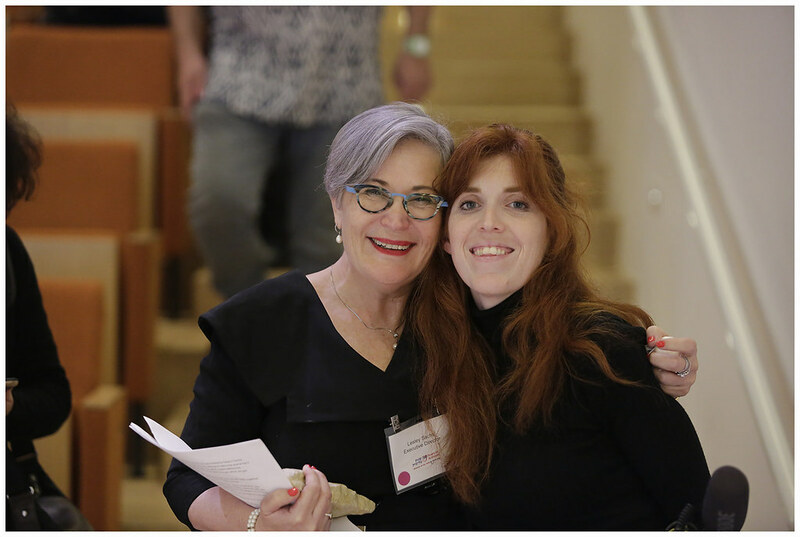 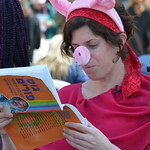 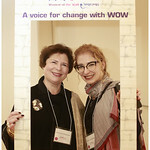 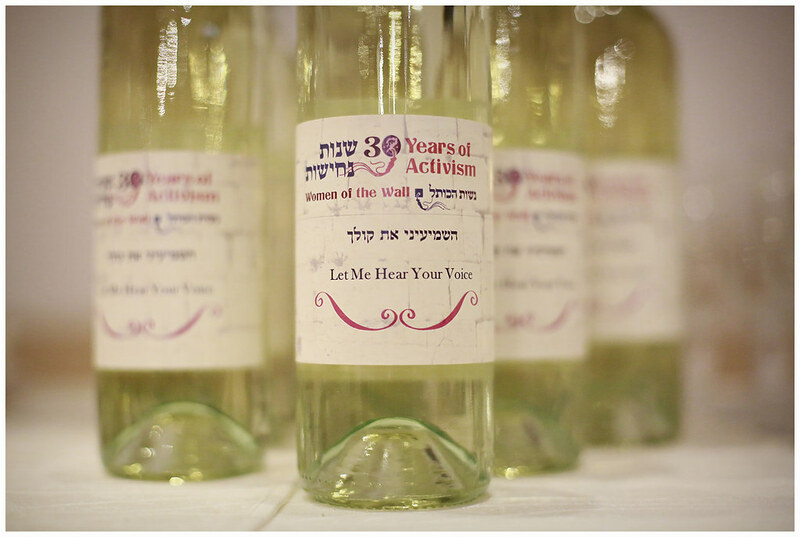 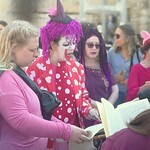 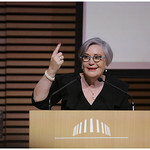 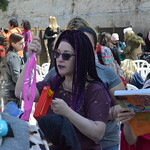 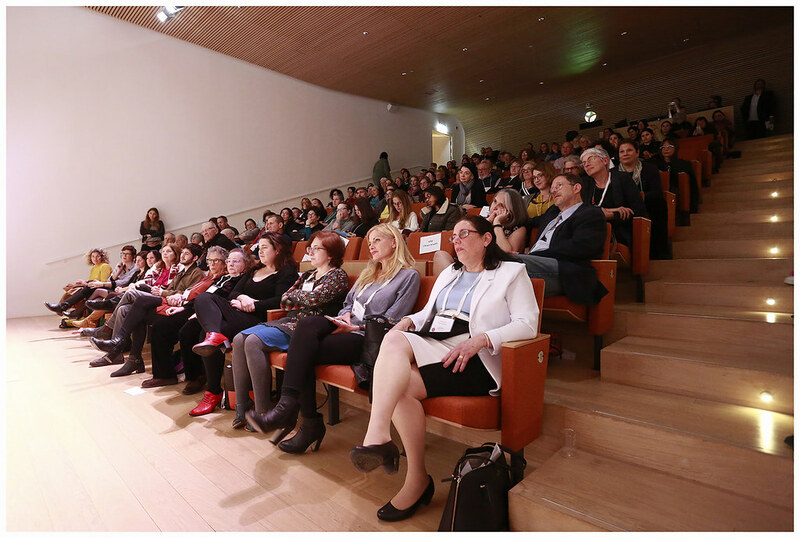 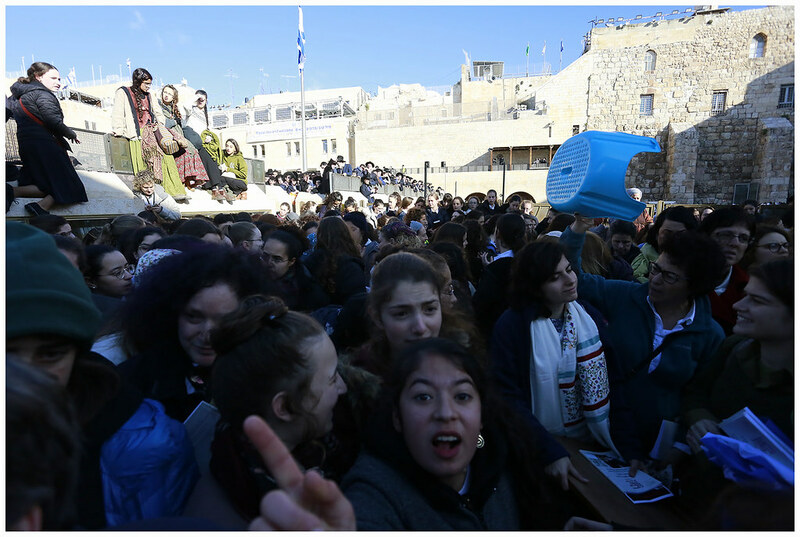 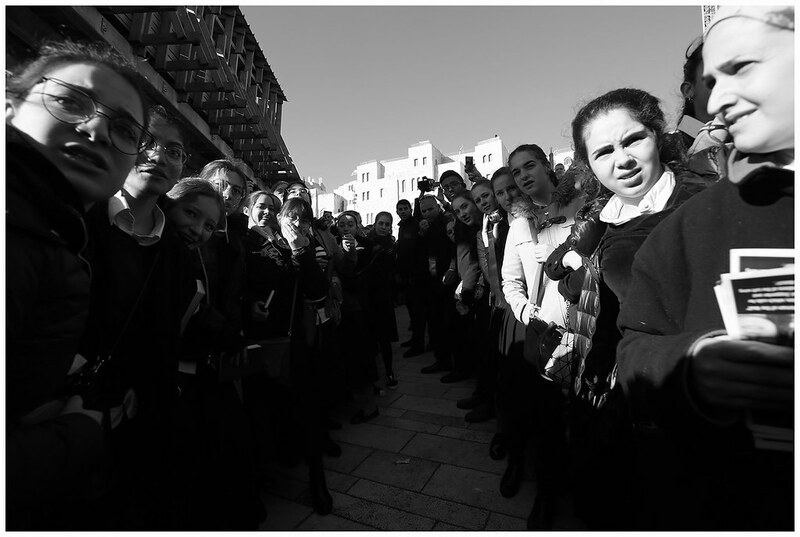 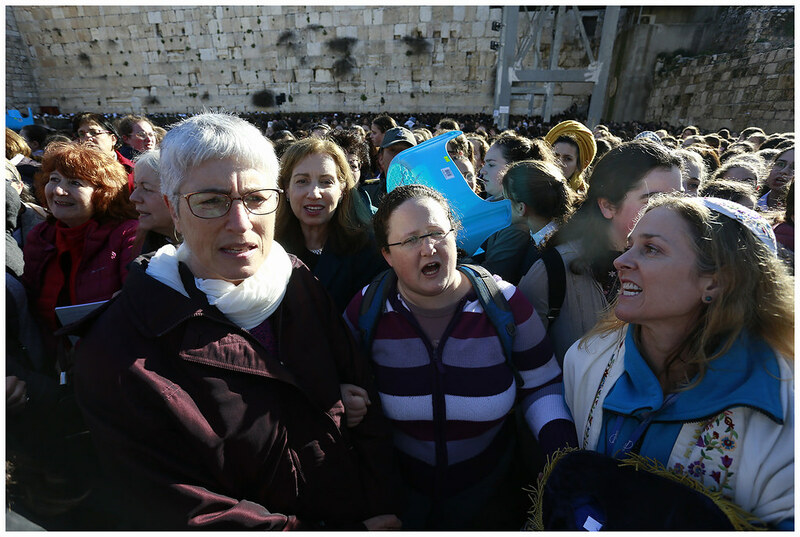 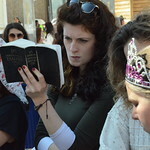 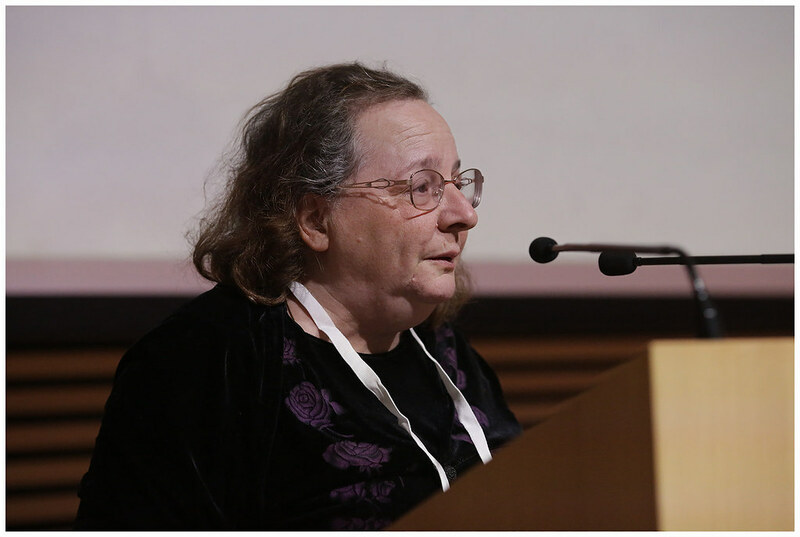 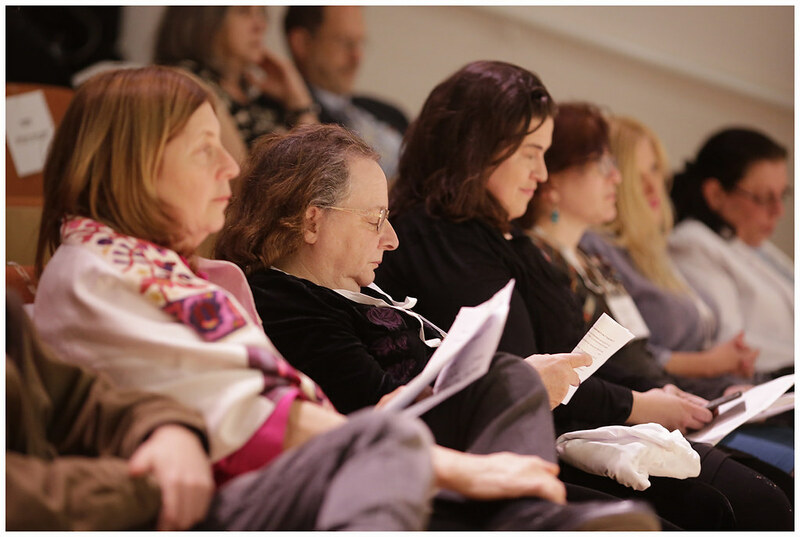 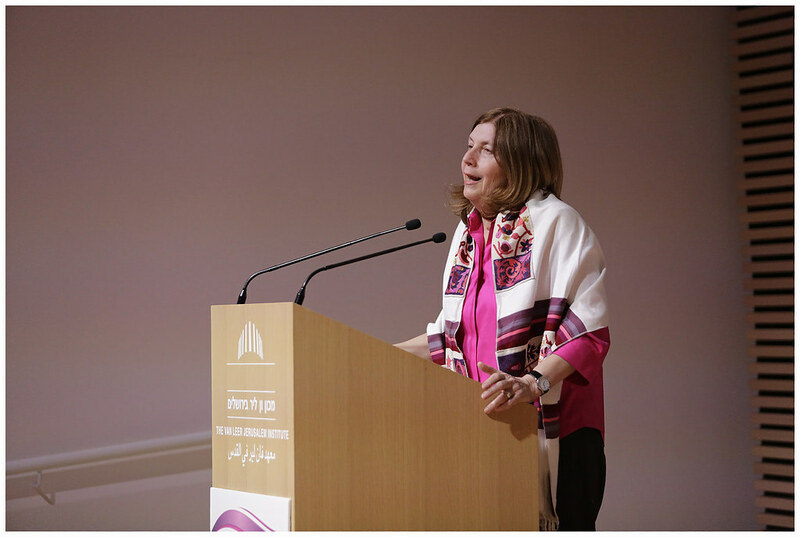 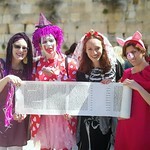 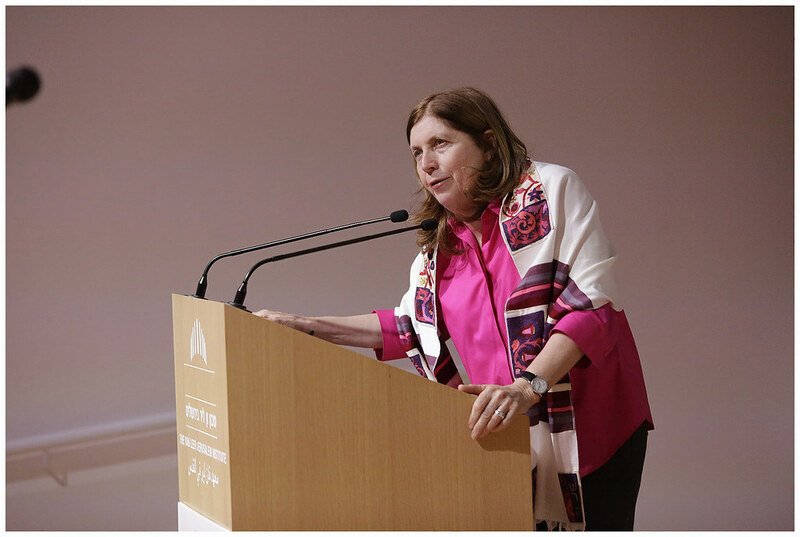 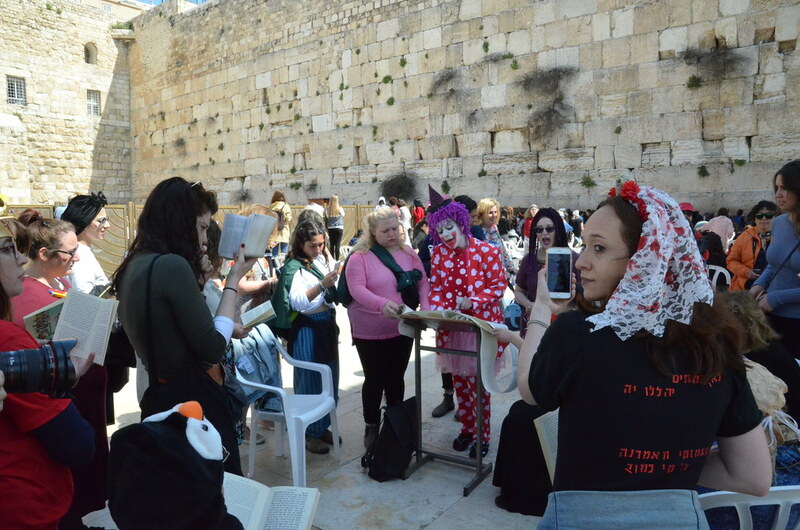 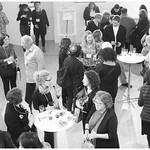 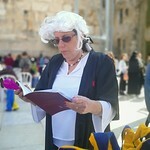 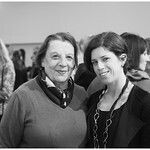 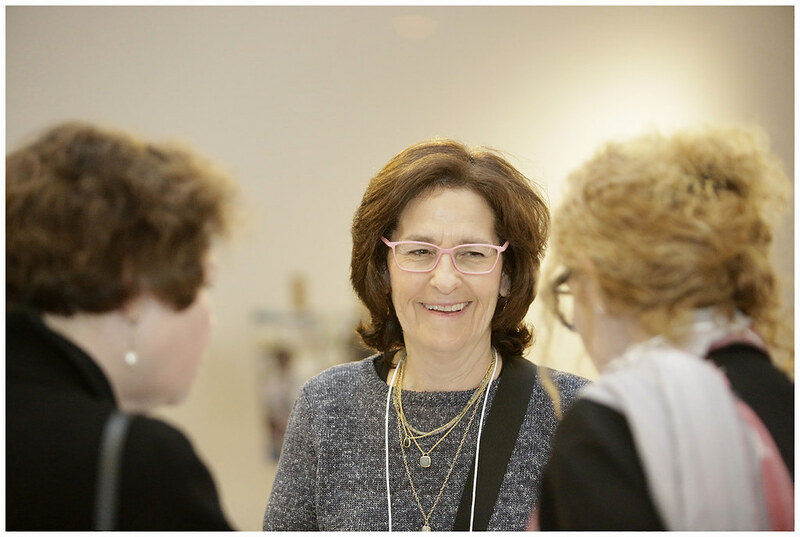 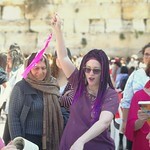 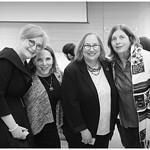 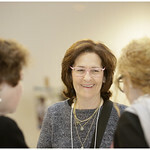 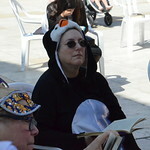 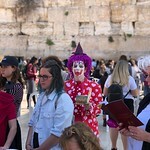 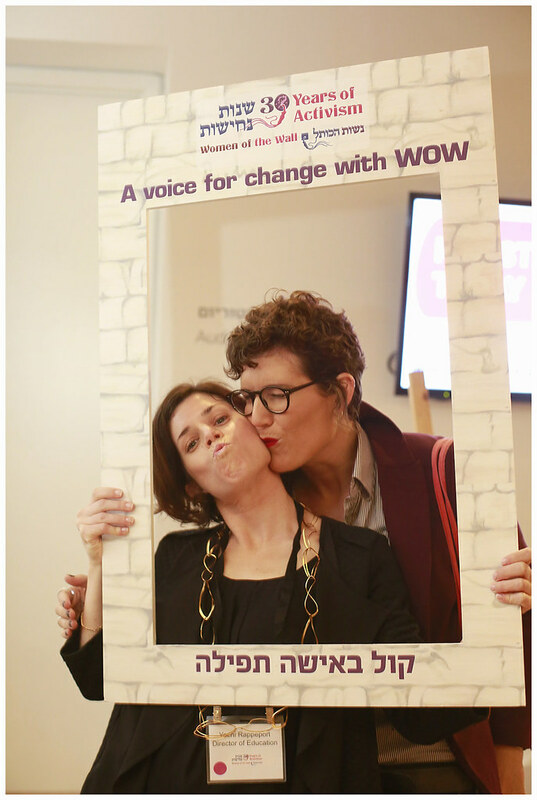 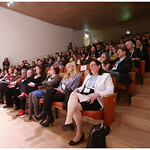 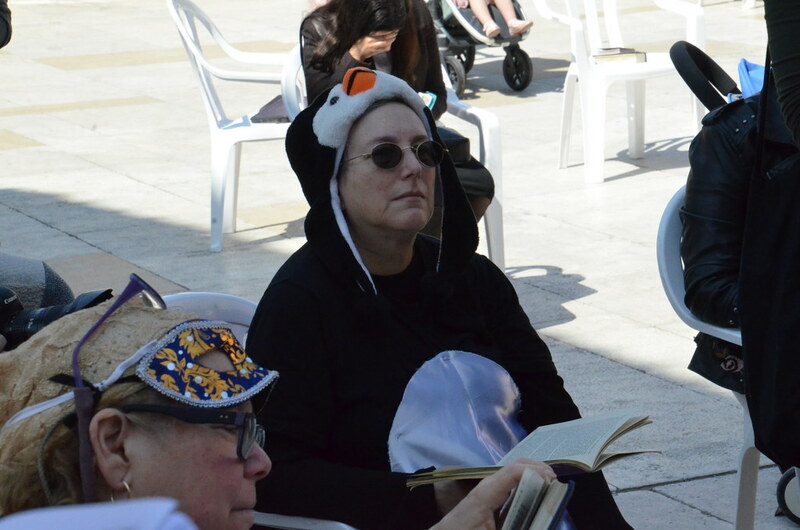 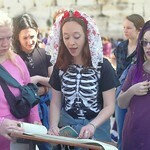 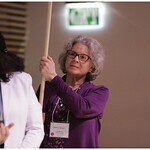 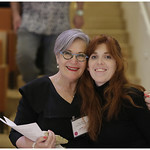 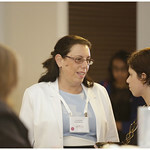 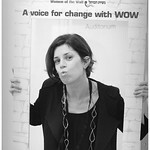 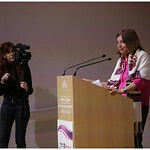 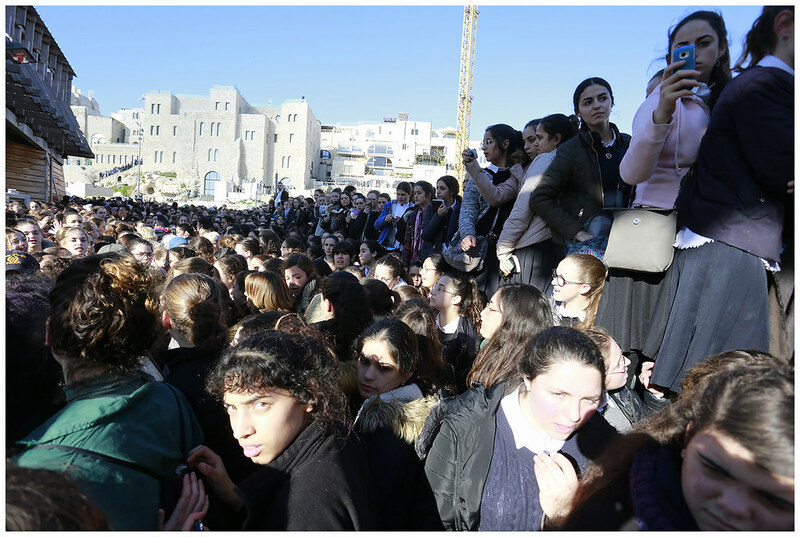 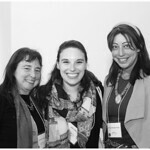 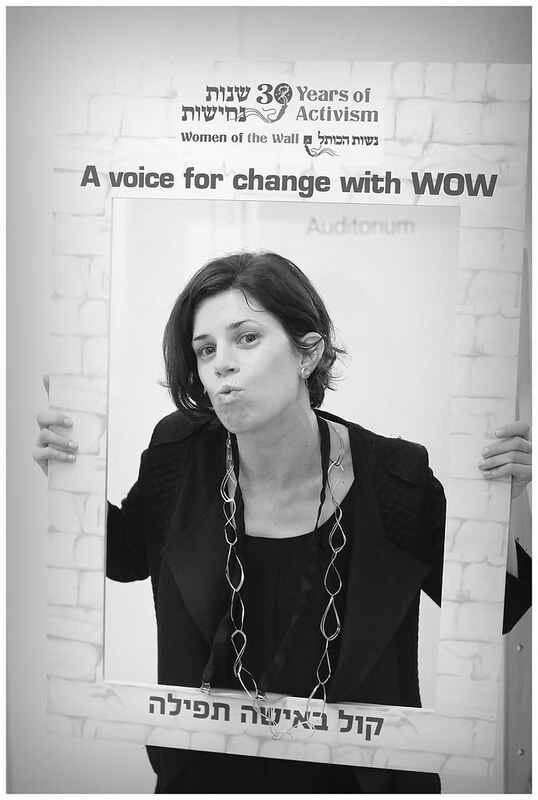 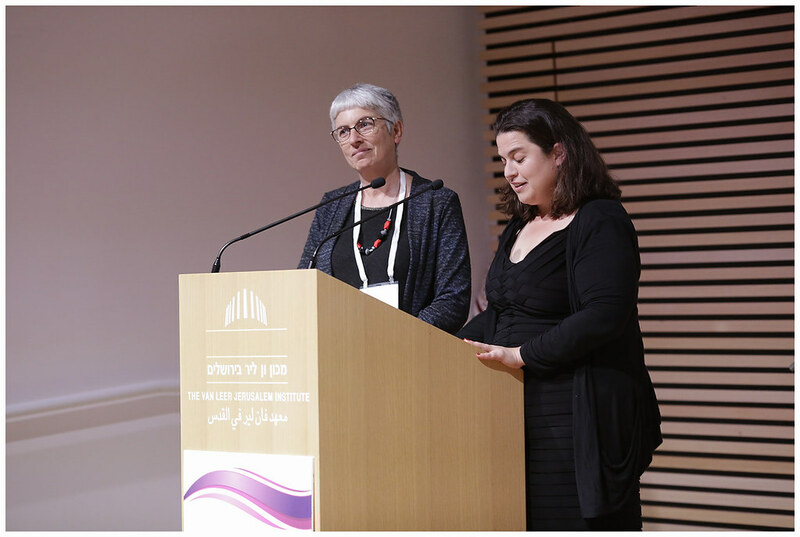 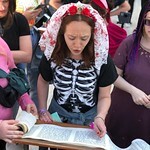 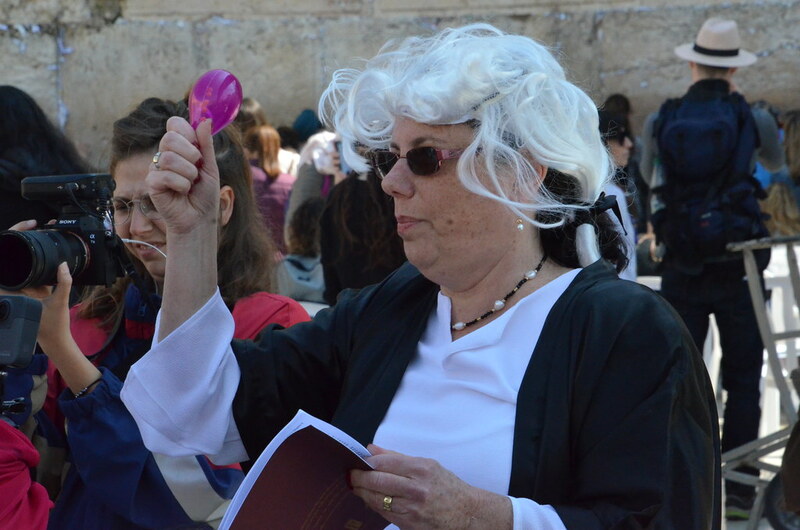 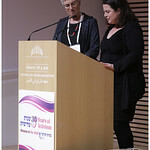 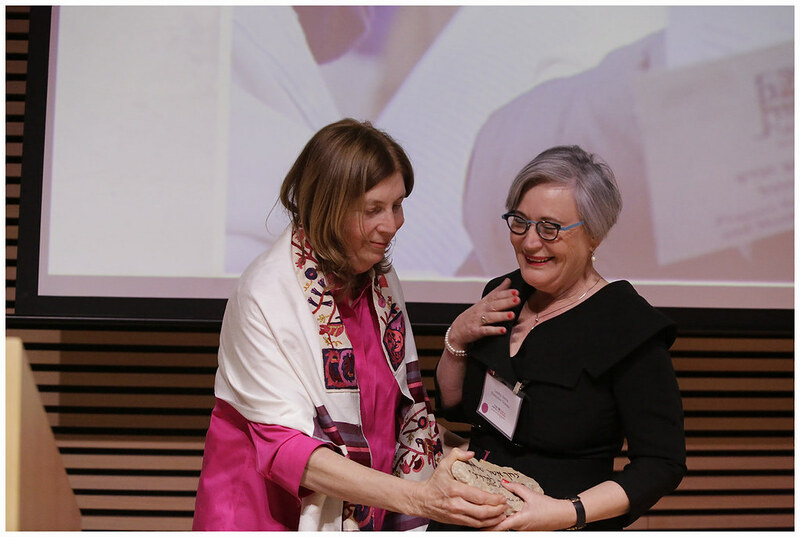 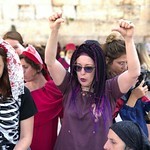 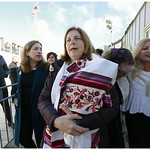 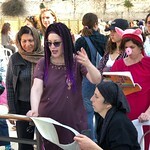 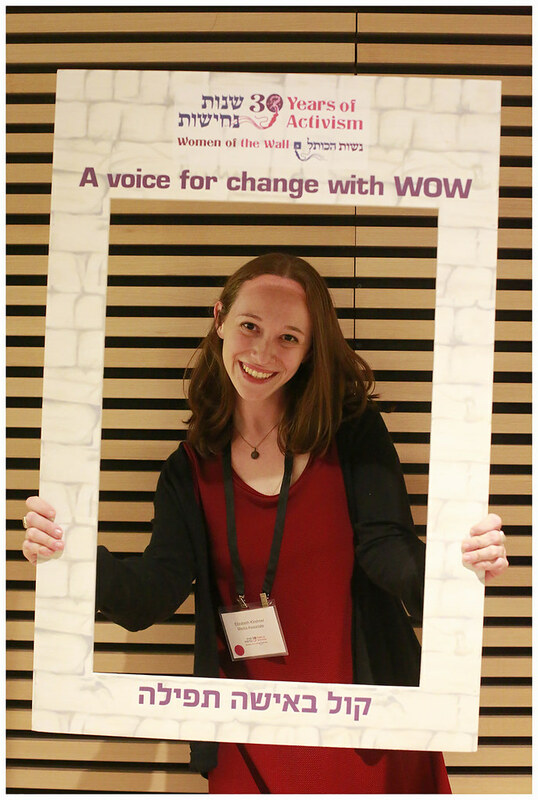 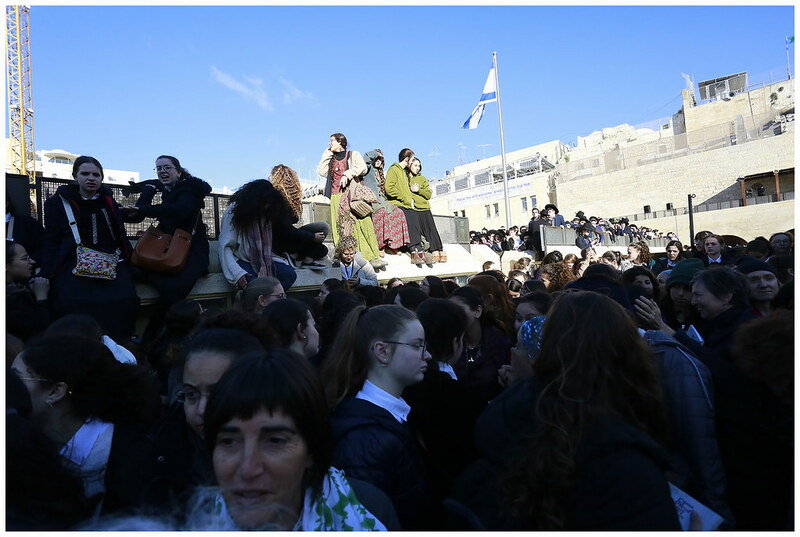 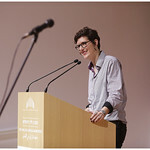 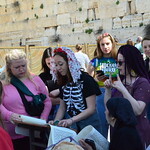 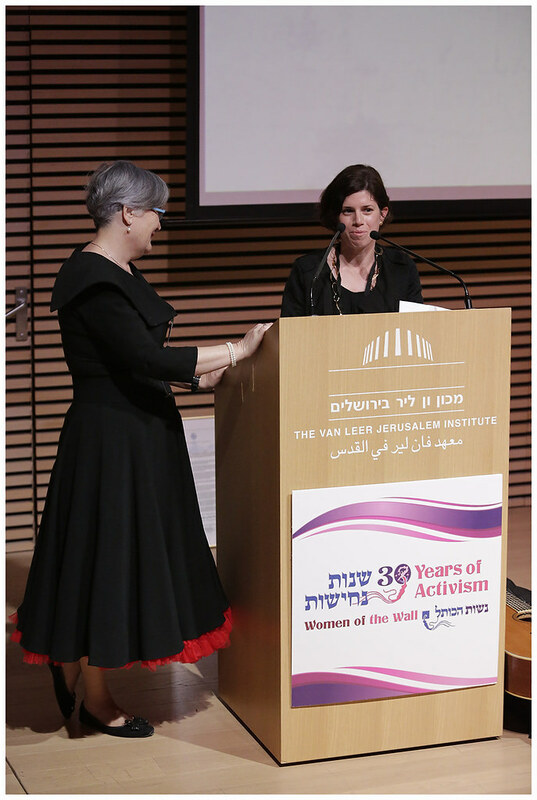 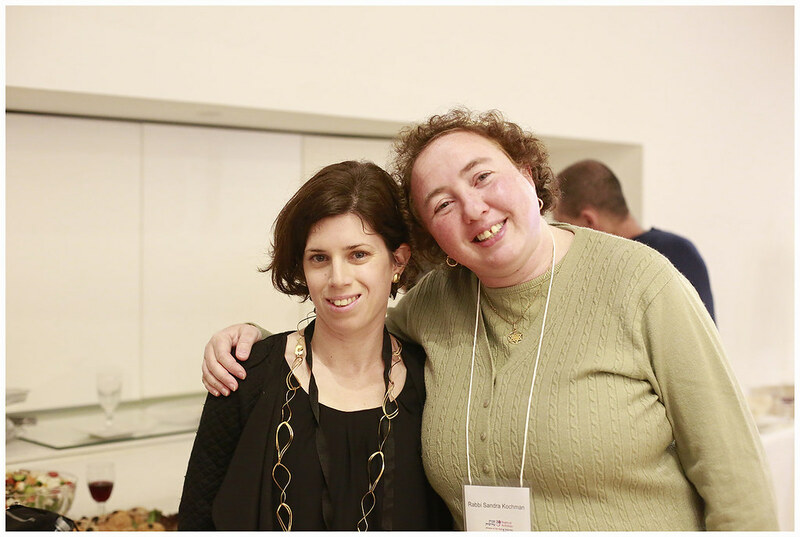 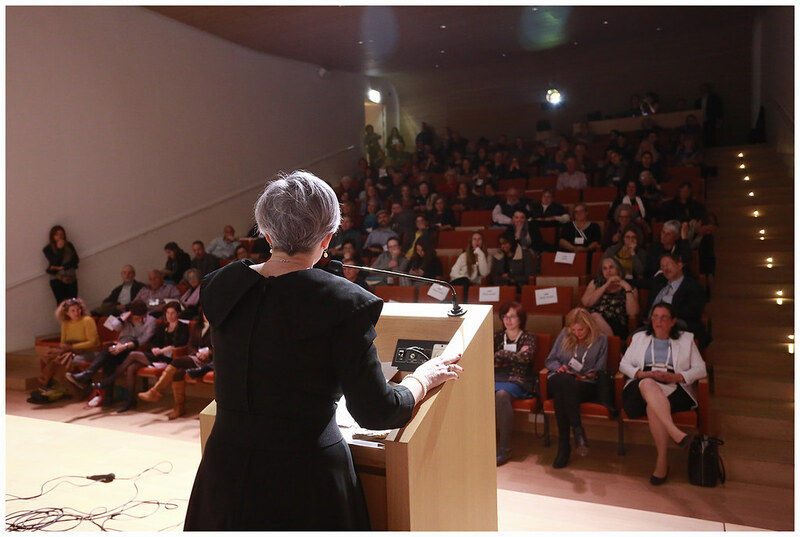 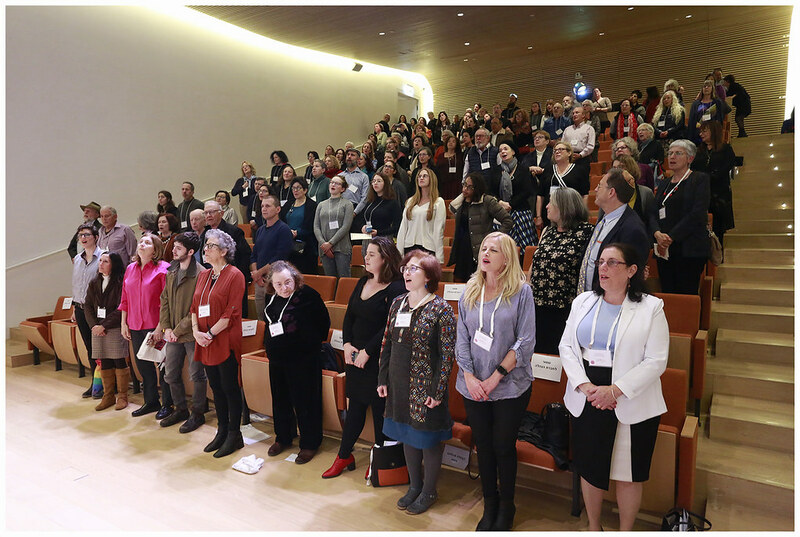 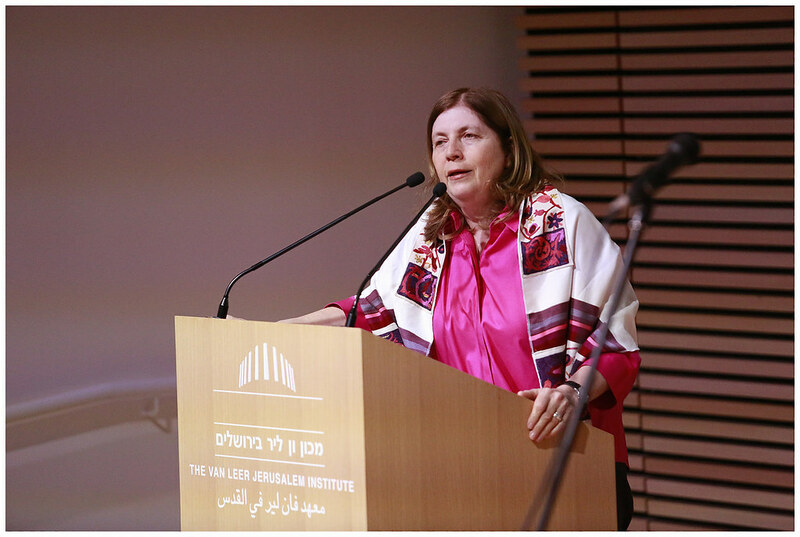 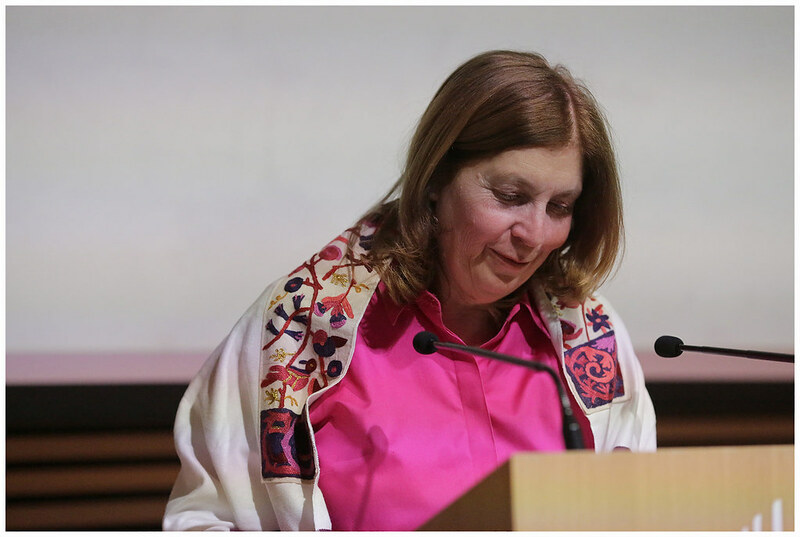 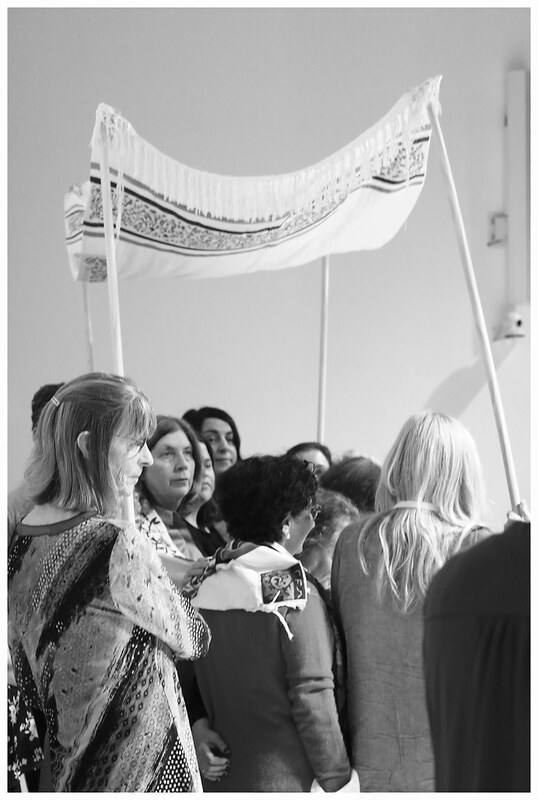 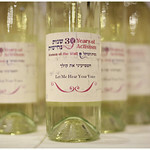 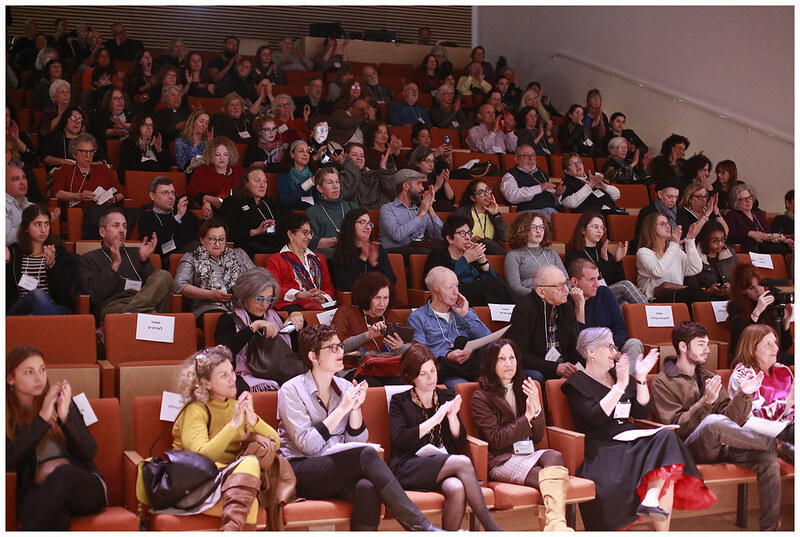 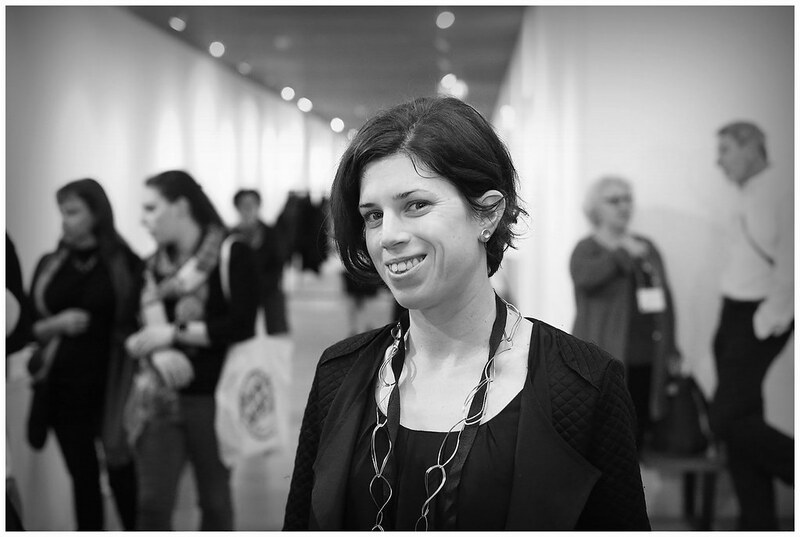 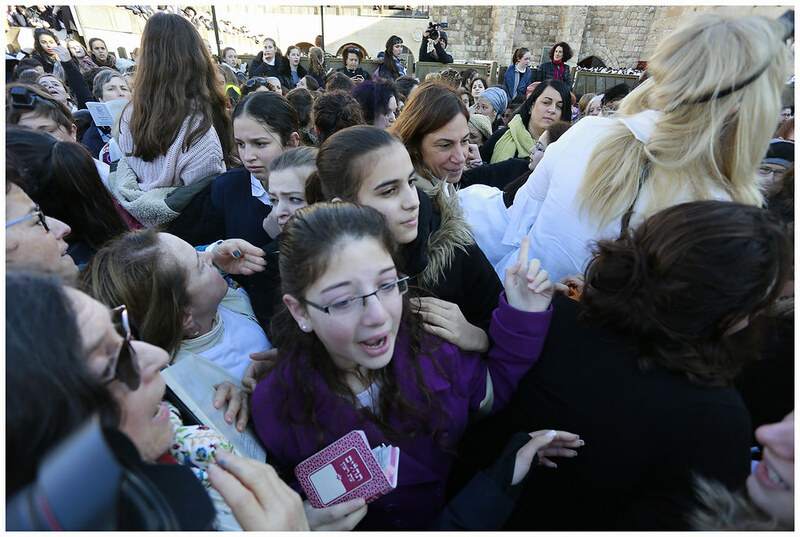 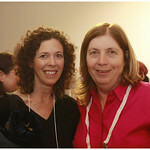 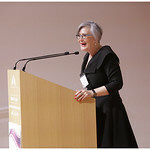 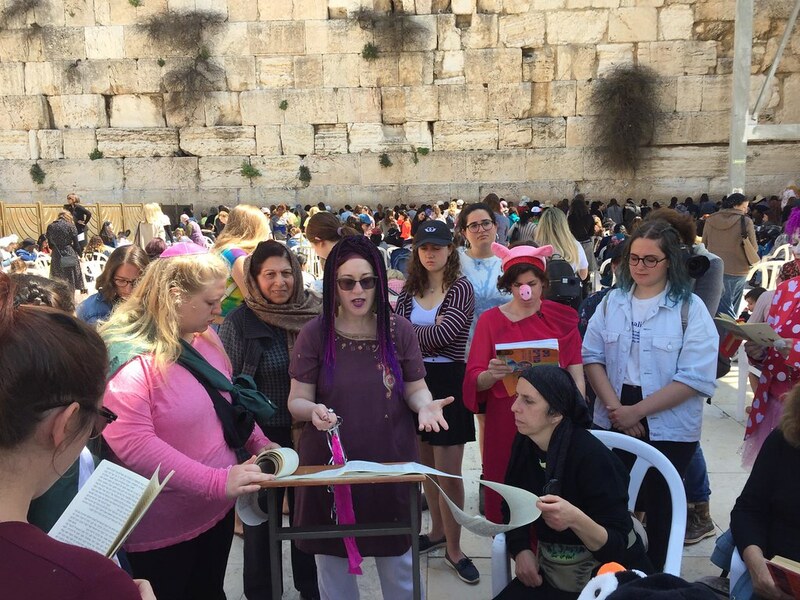 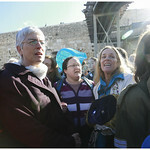 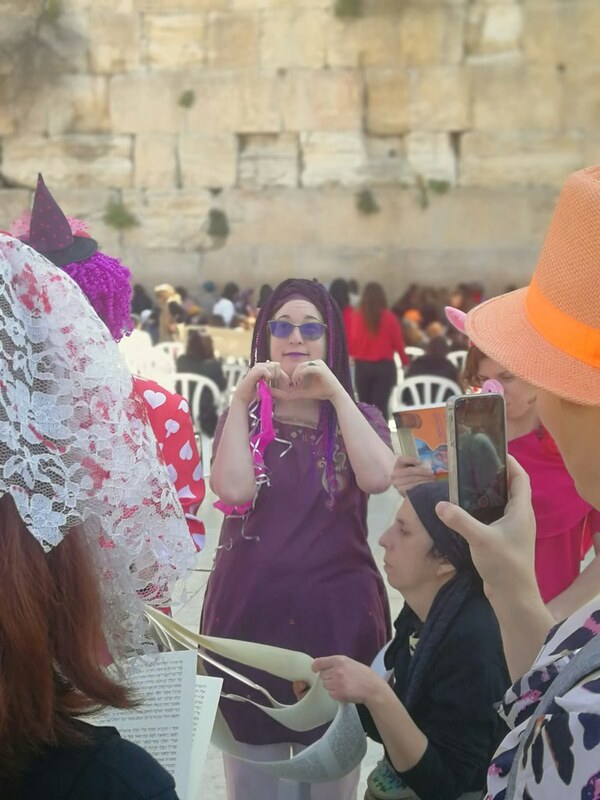 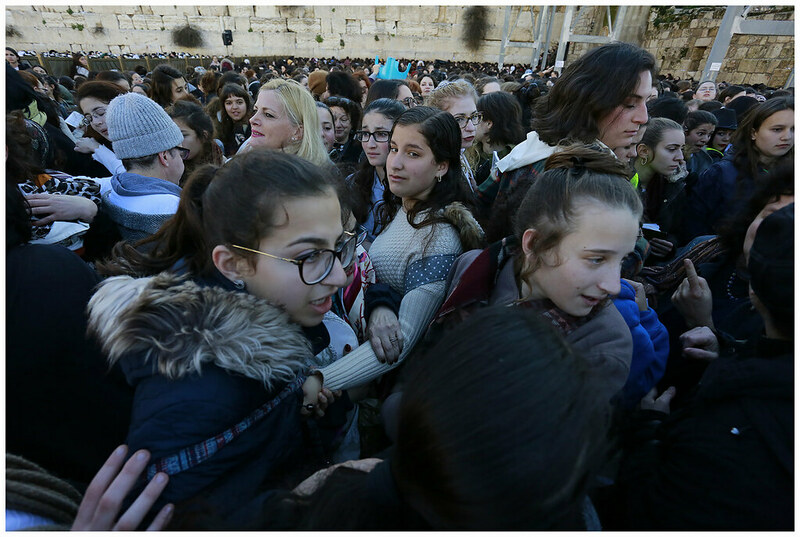 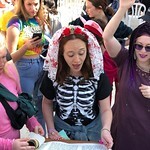 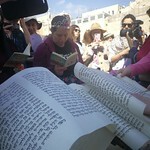 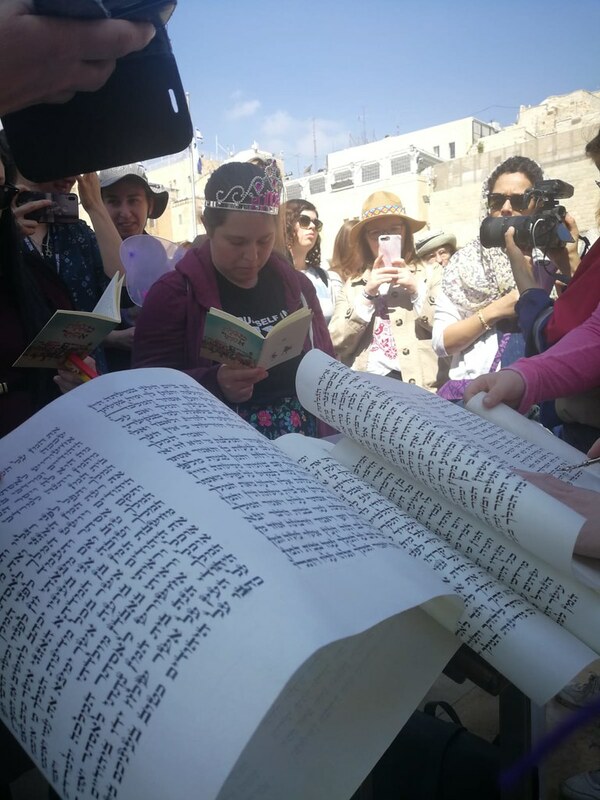 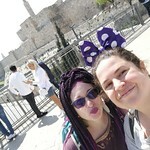 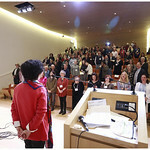 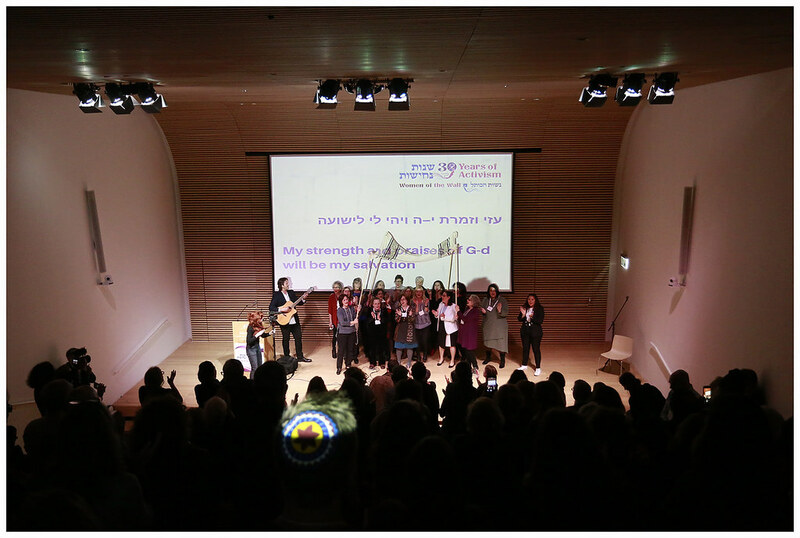 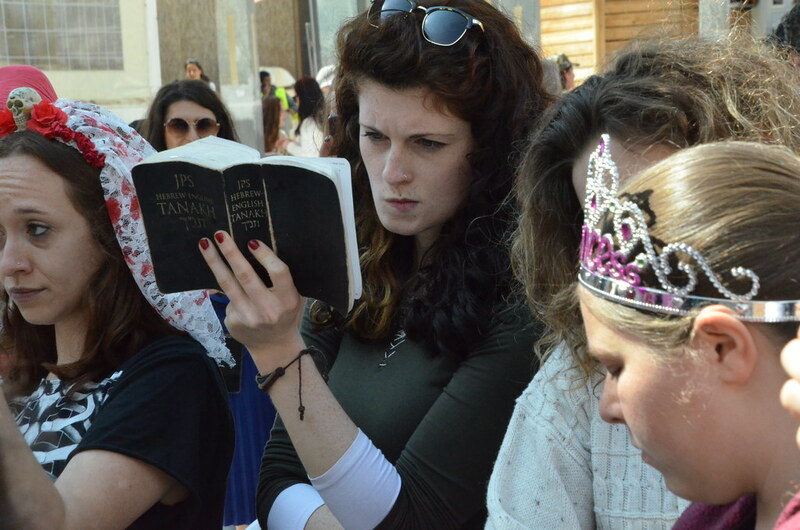 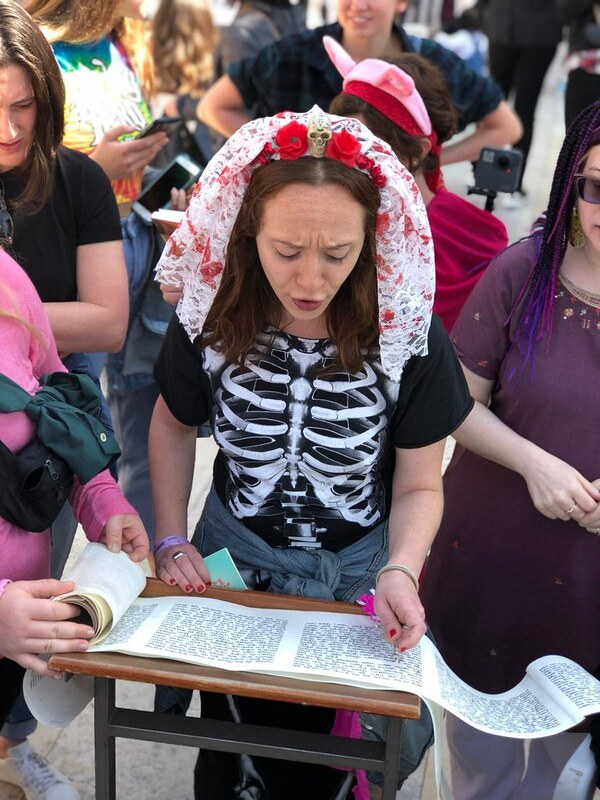 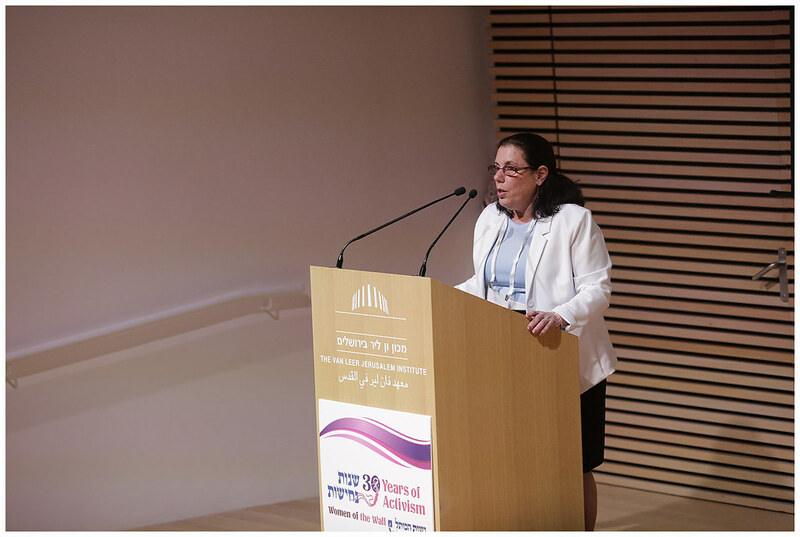 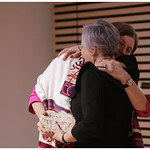 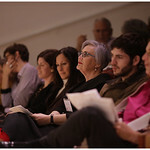 On Monday morning, February 25, 2013, over one hundred Women of the Wall gathered for the holiday of Purim at the Western Wall (Kotel), to read the Megillah, the Book of Esther. 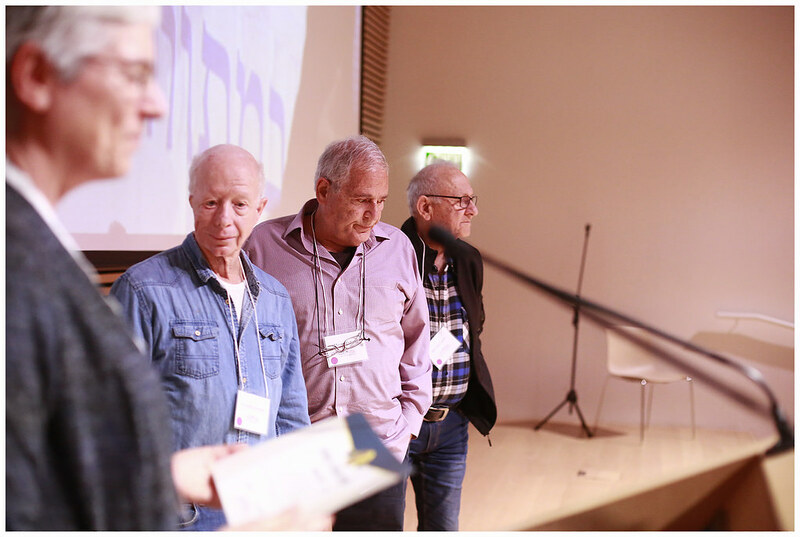 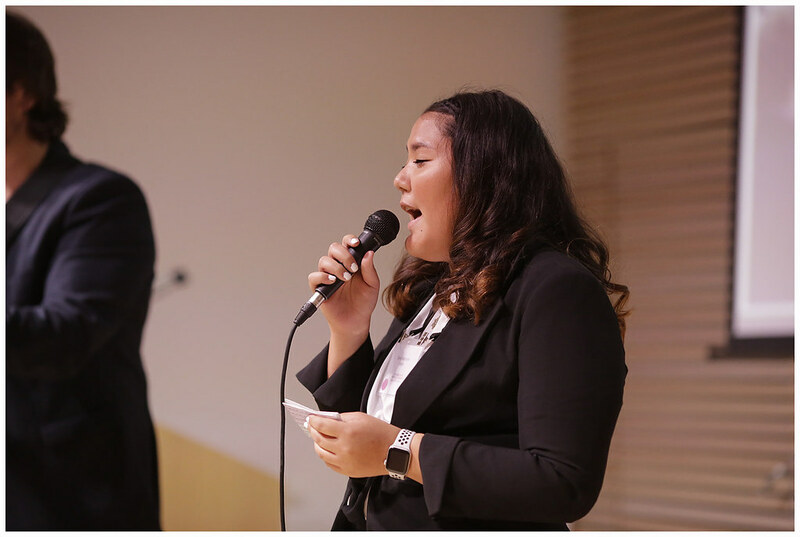 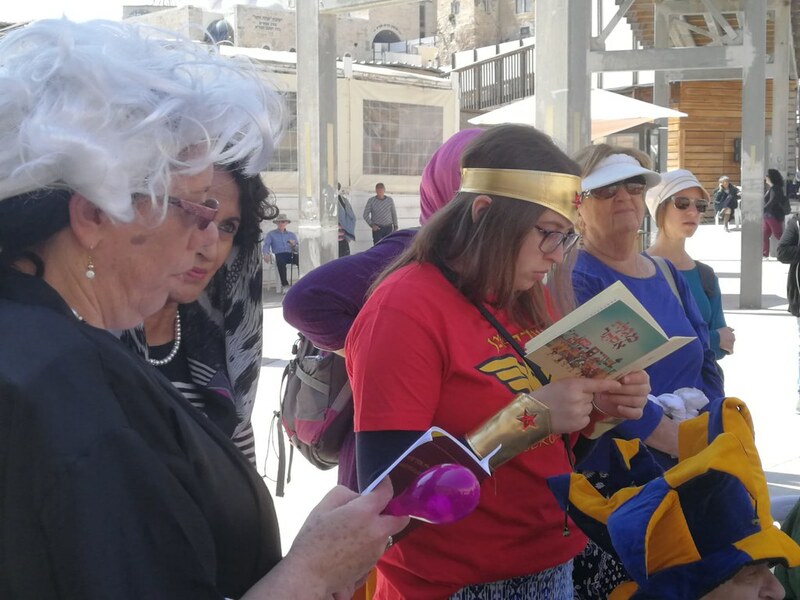 Though the group has been plagued by mid-prayer arrests by police for over six months at the Holy site, today’s prayer gathering went peacefully. 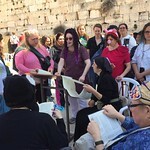 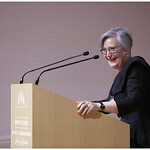 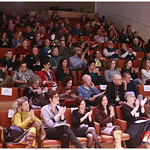 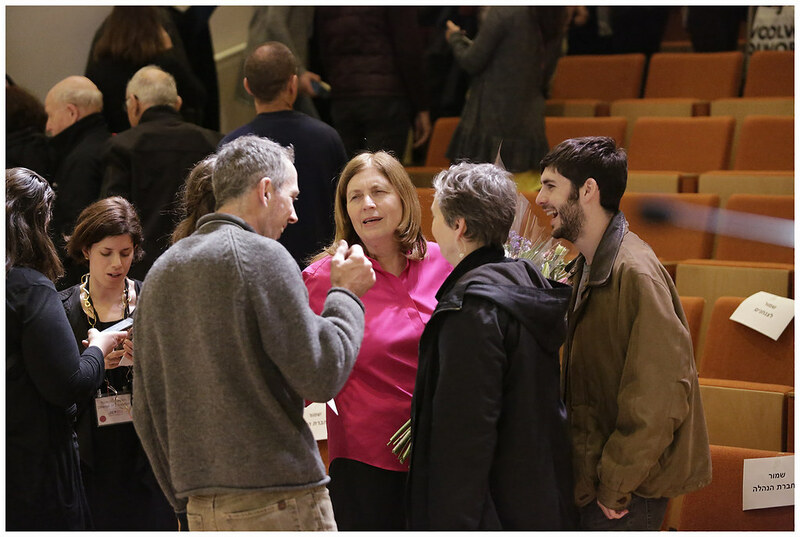 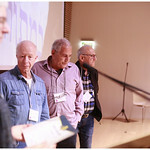 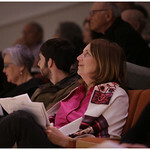 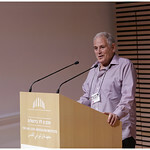 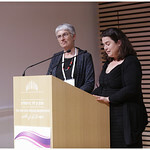 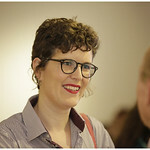 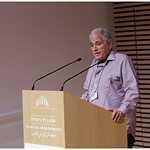 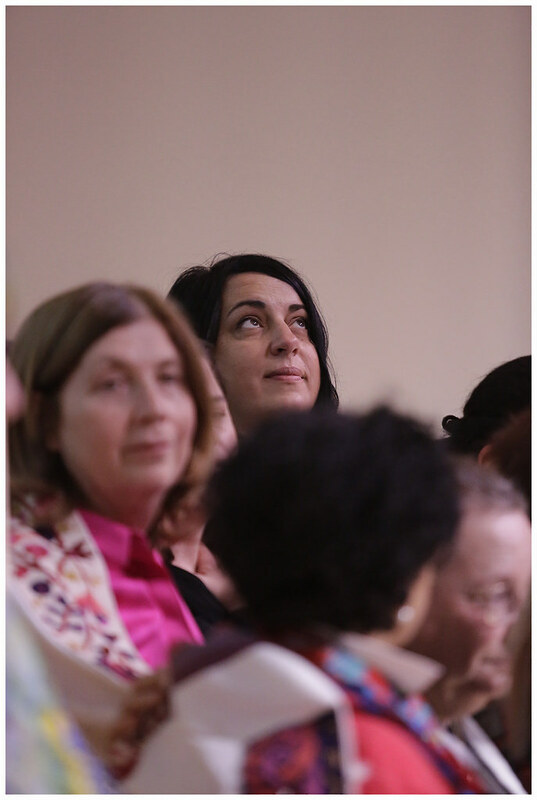 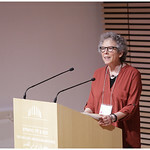 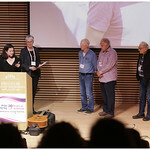 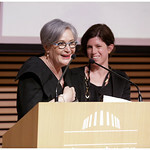 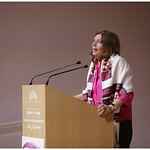 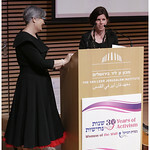 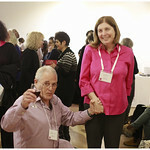 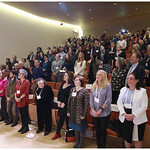 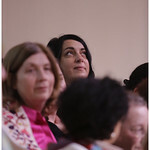 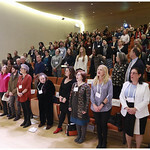 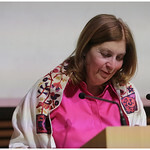 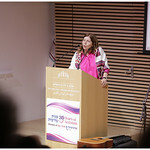 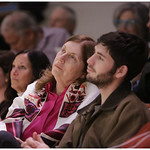 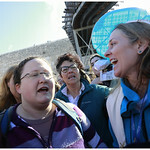 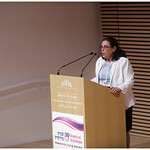 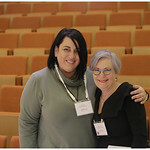 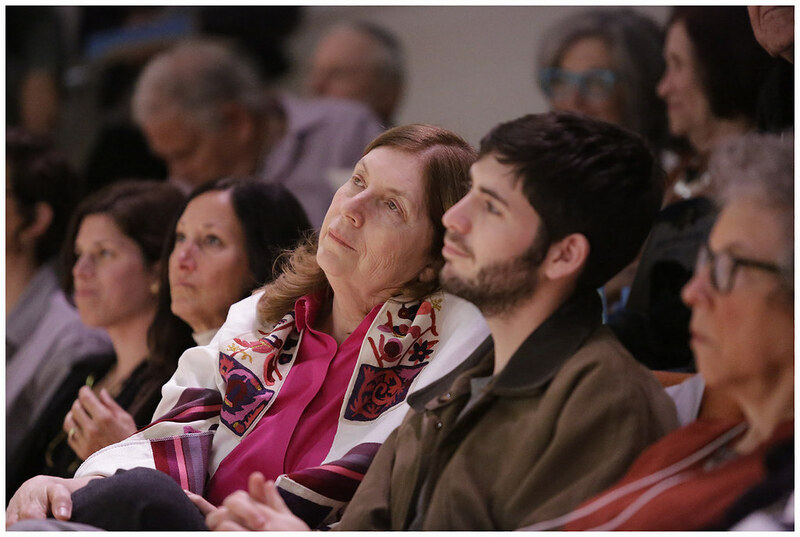 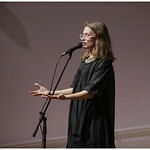 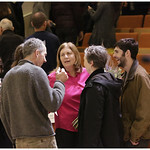 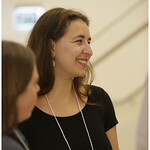 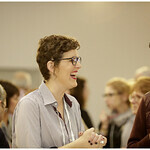 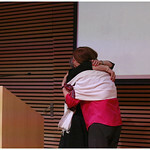 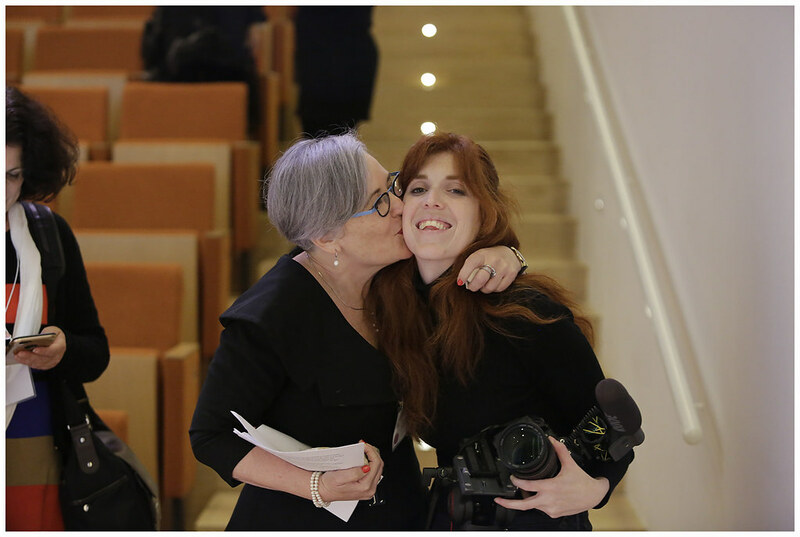 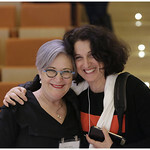 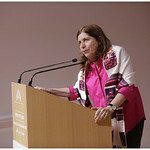 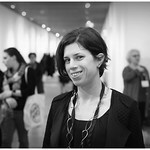 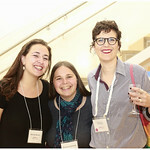 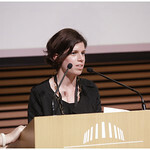 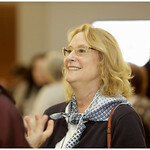 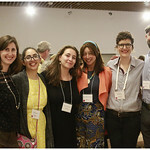 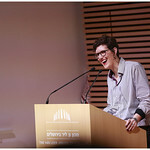 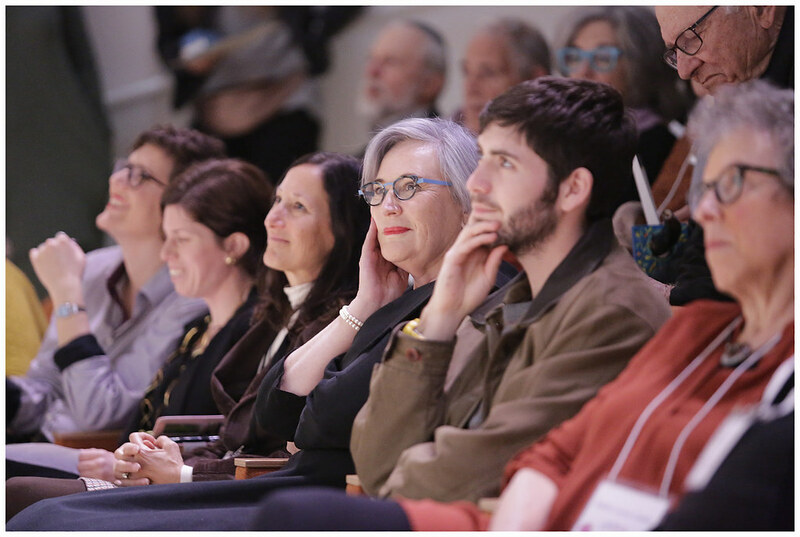 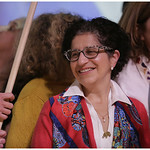 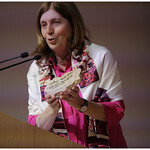 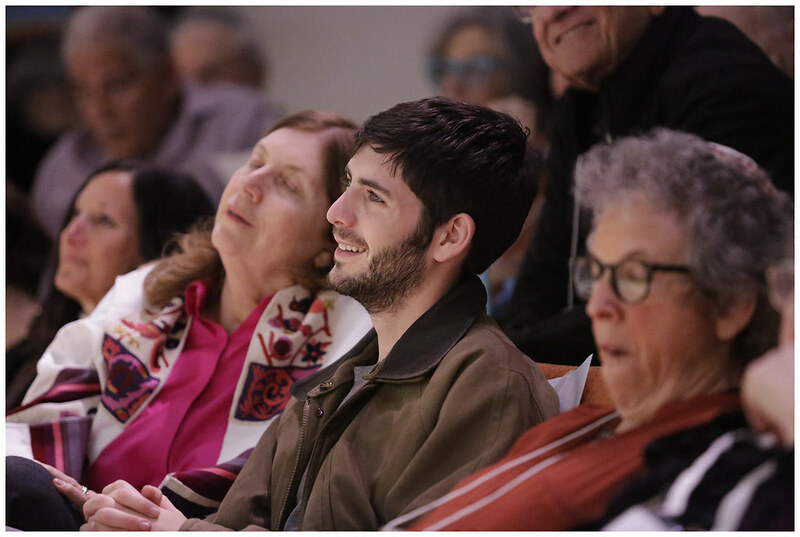 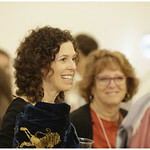 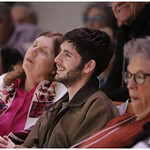 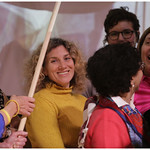 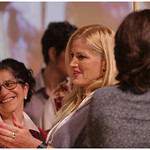 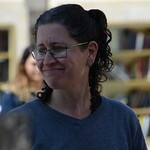 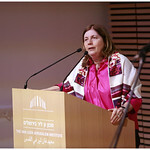 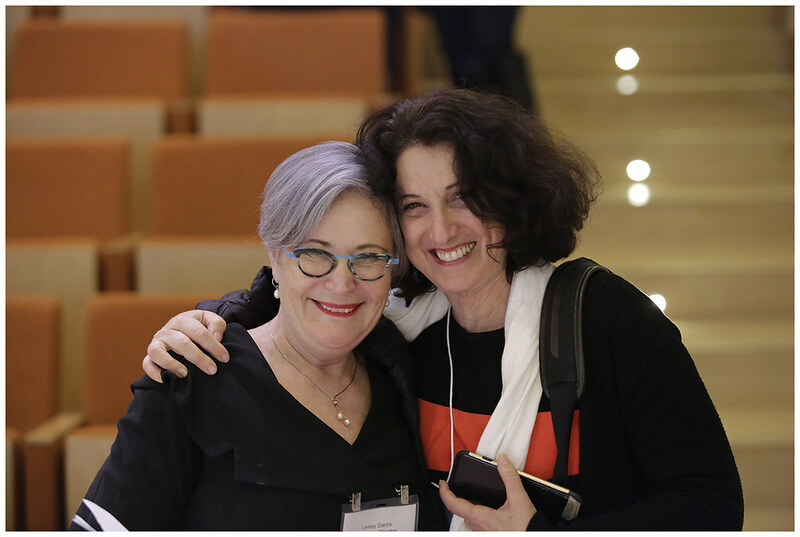 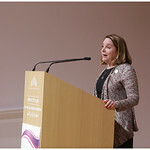 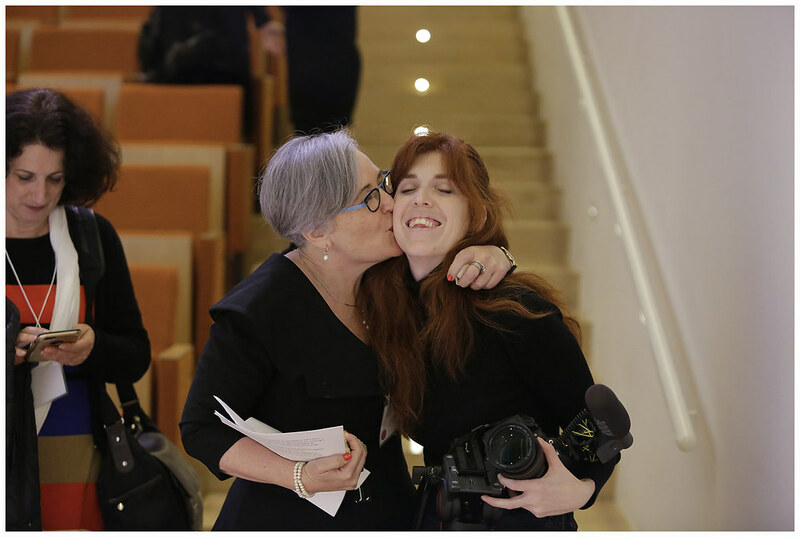 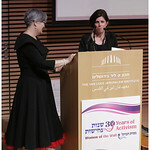 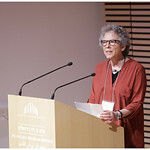 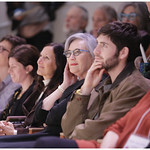 The holiday celebrations at the holy site even had a cheerful mood, with the one major exception being the noticeable absence of Rabbi Susan Silverman, who was removed and restrained from the holy site for 15 days following her February 11, 2013 detainment by police for wearing a prayer shall (tallit). 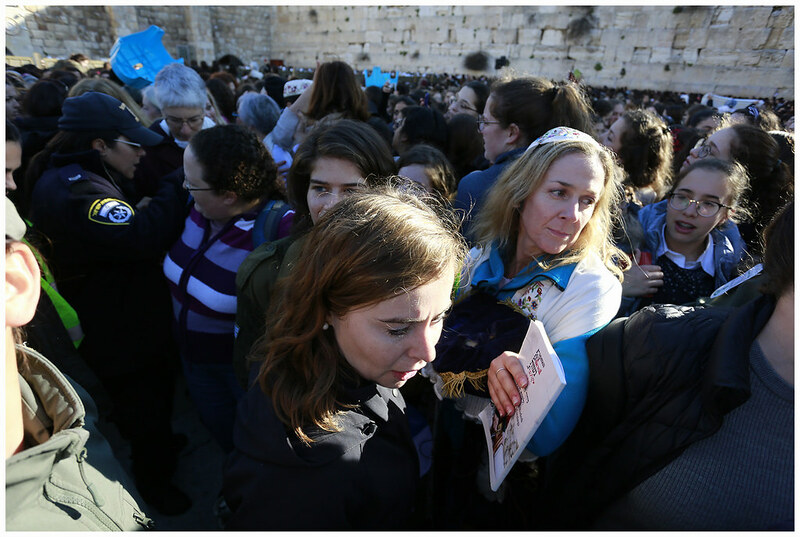 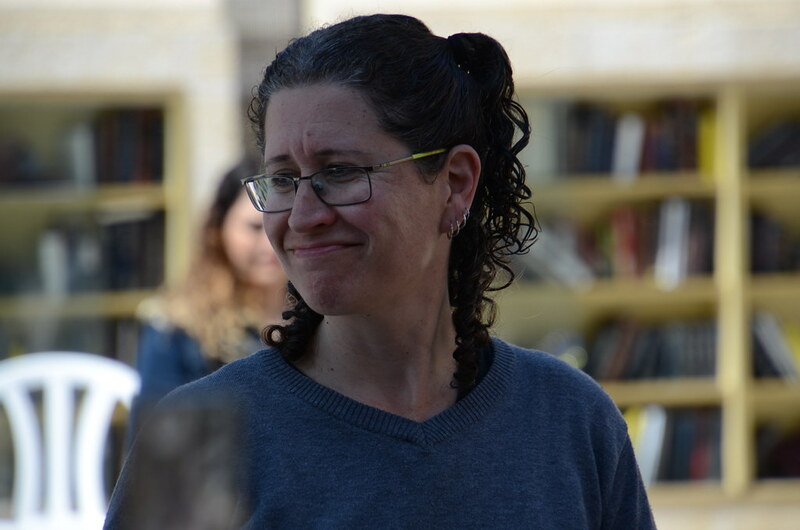 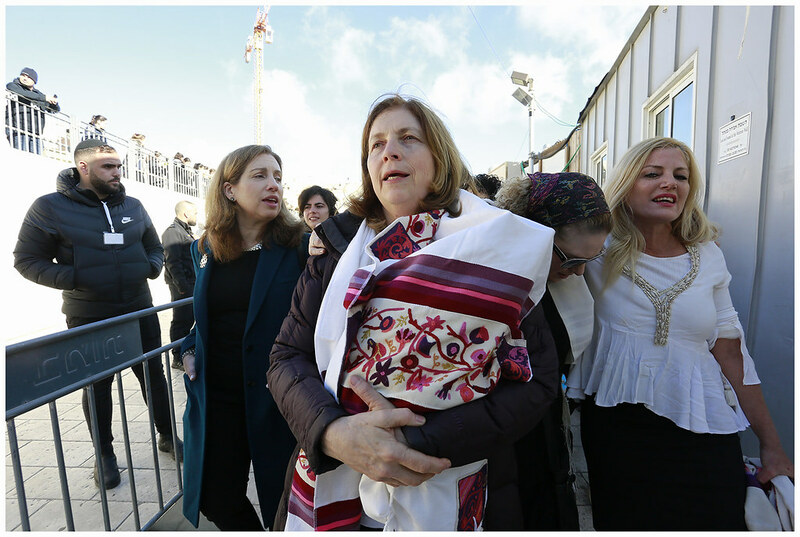 Rabbi Silverman stood vigil outside of the Western Wall Plaza, waiting for her family, who were inside supporting Women of the Wall. 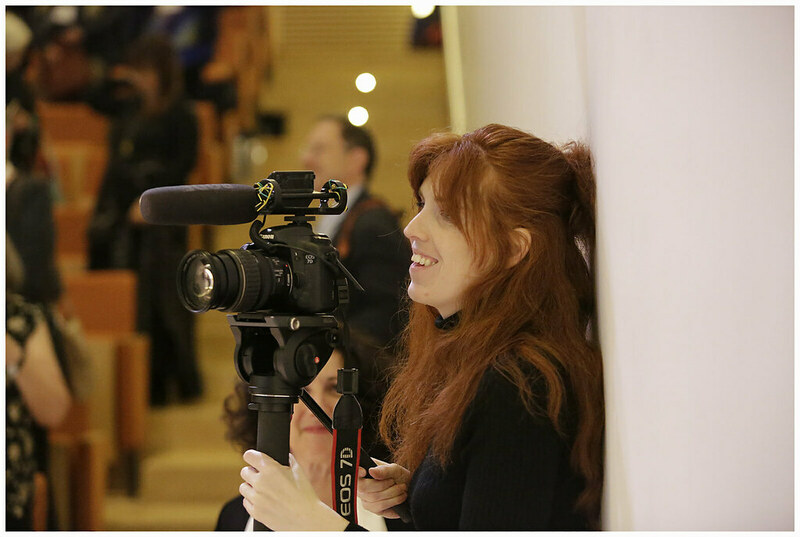 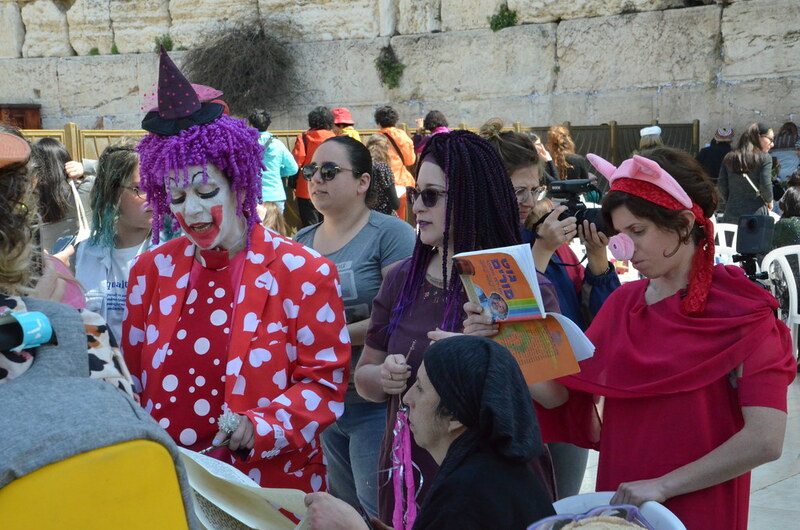 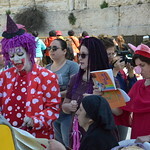 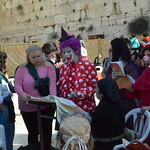 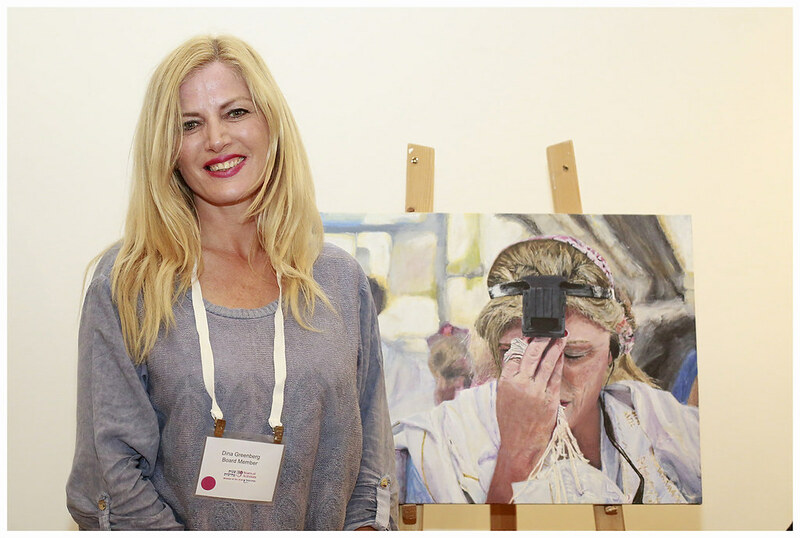 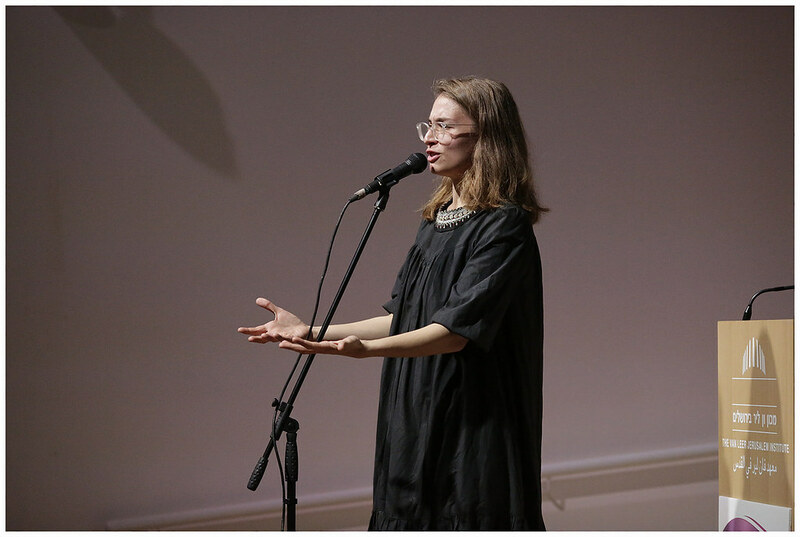 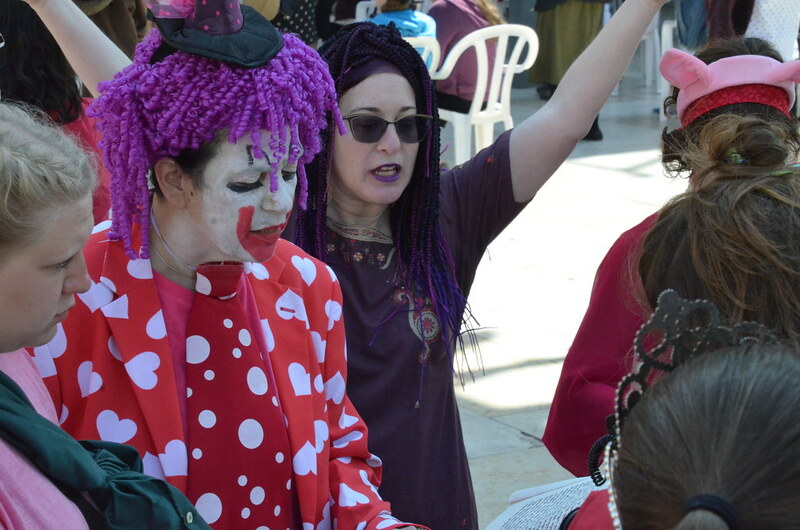 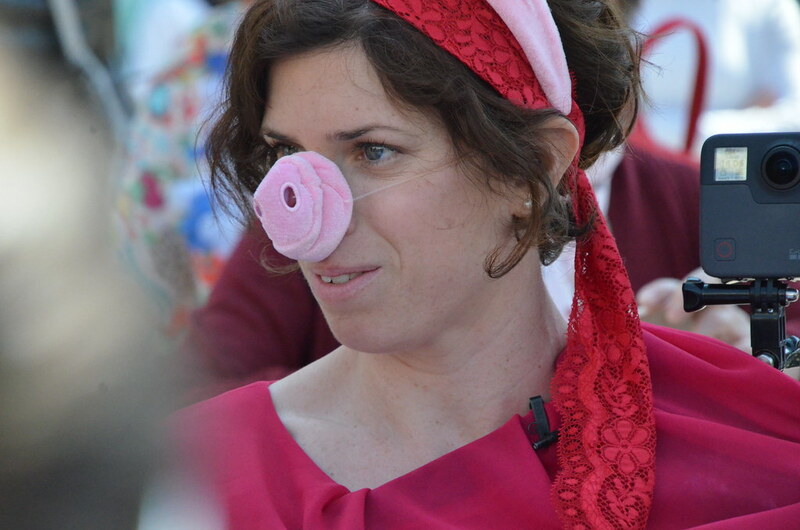 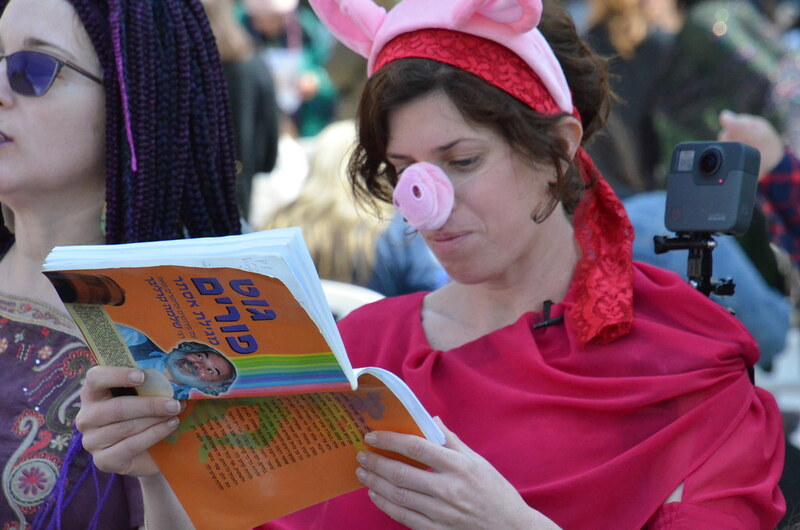 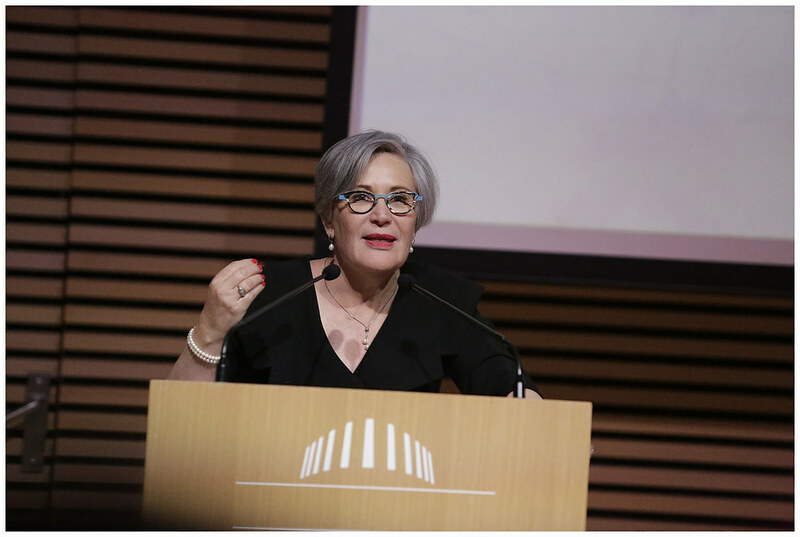 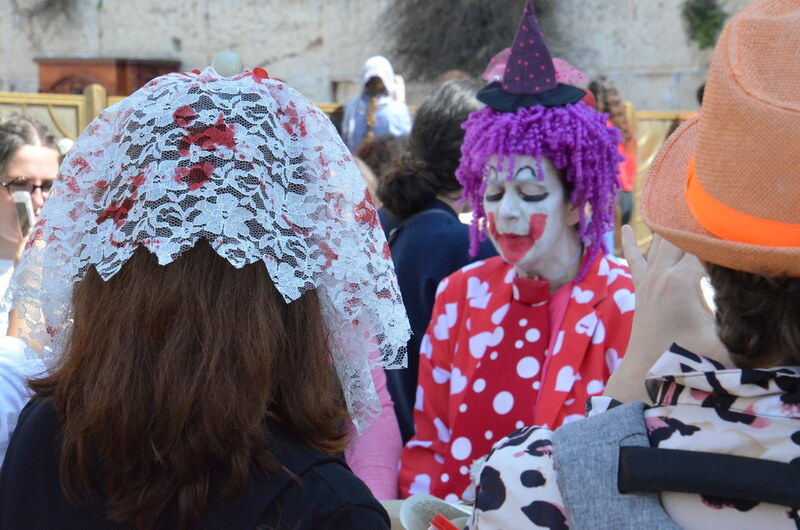 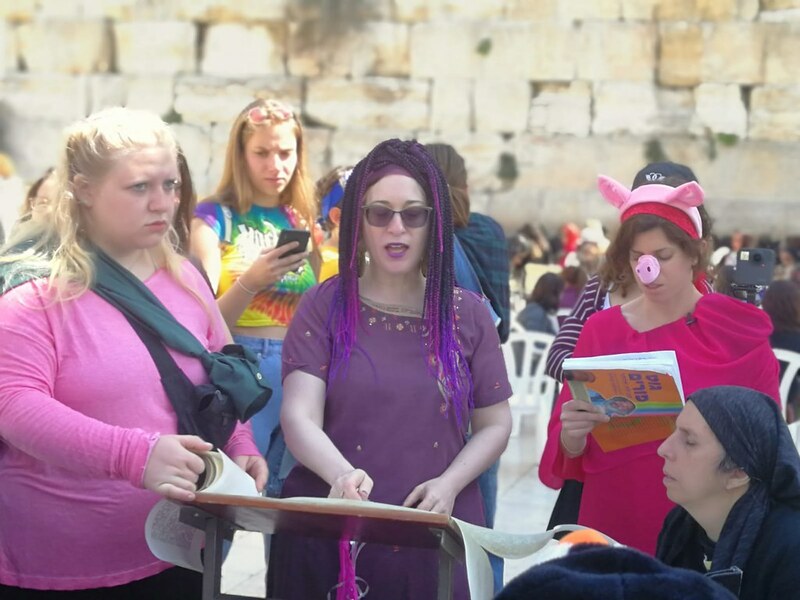 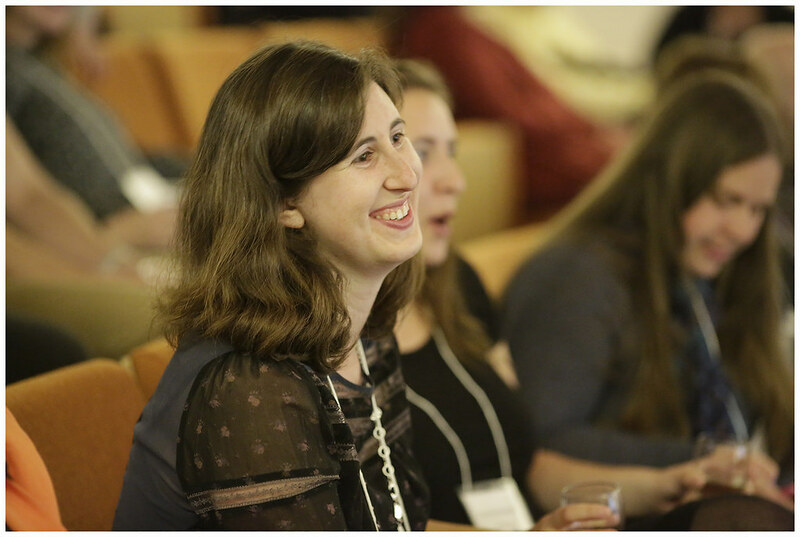 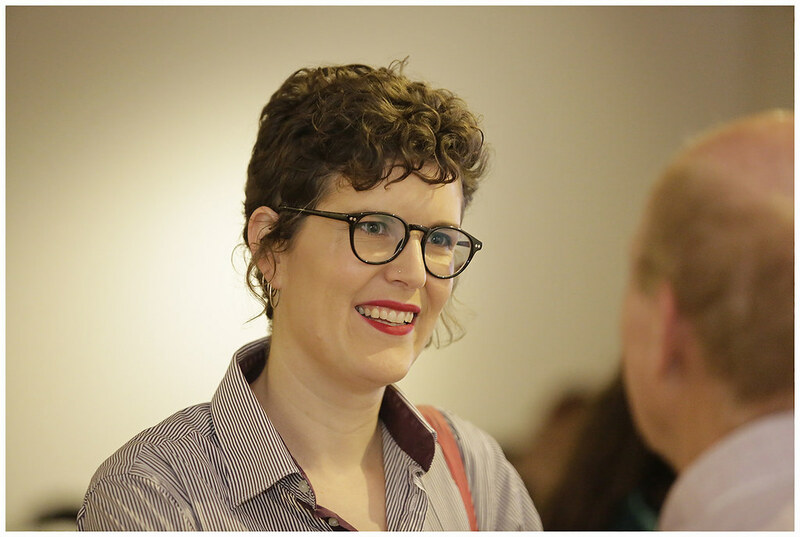 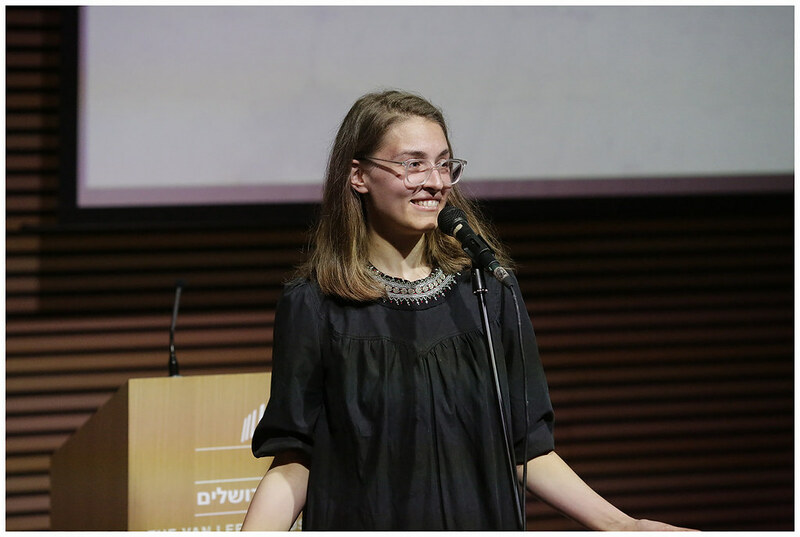 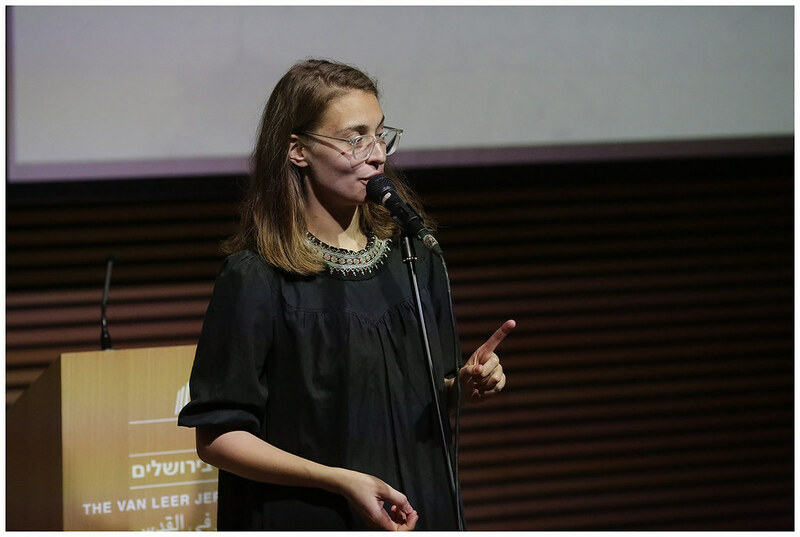 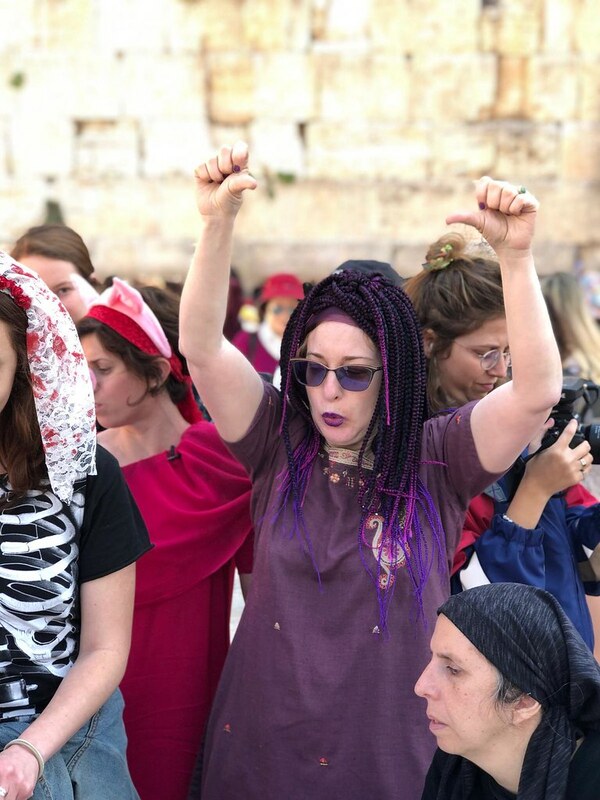 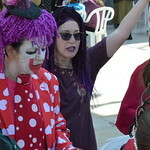 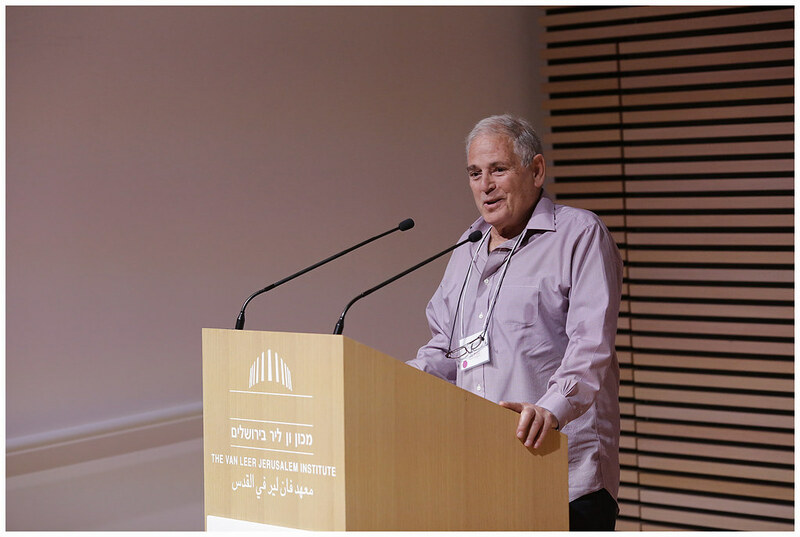 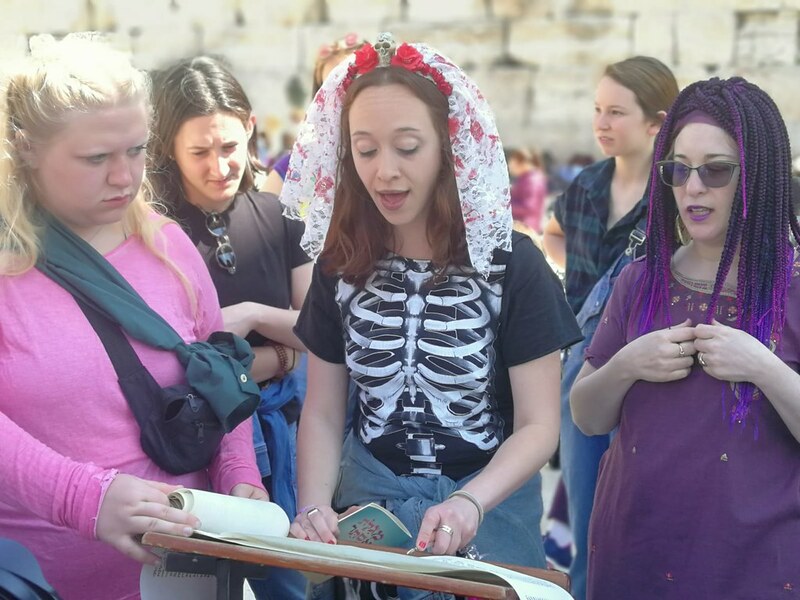 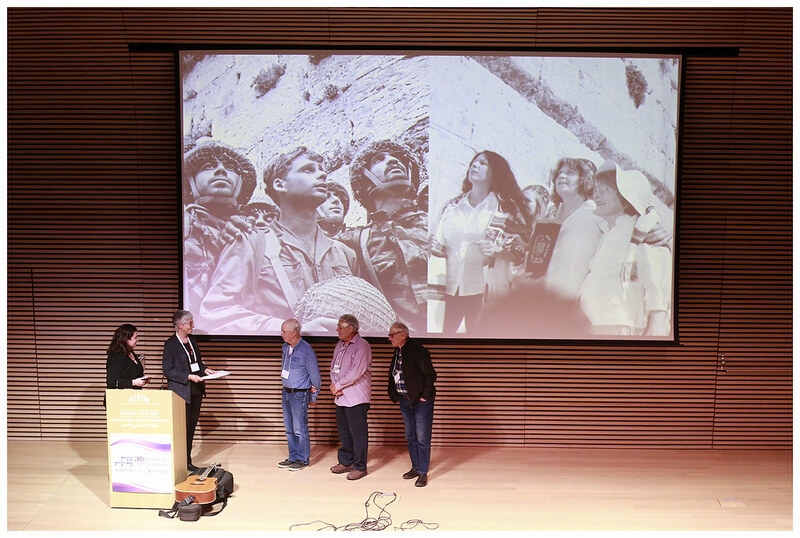 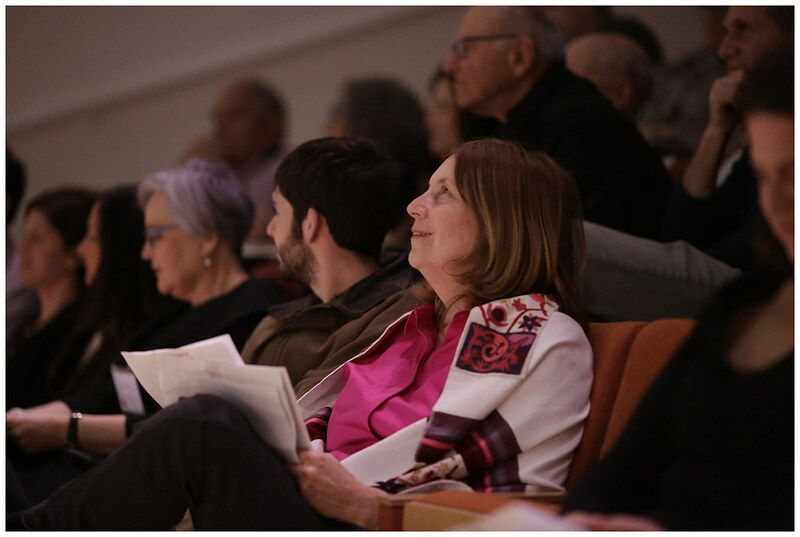 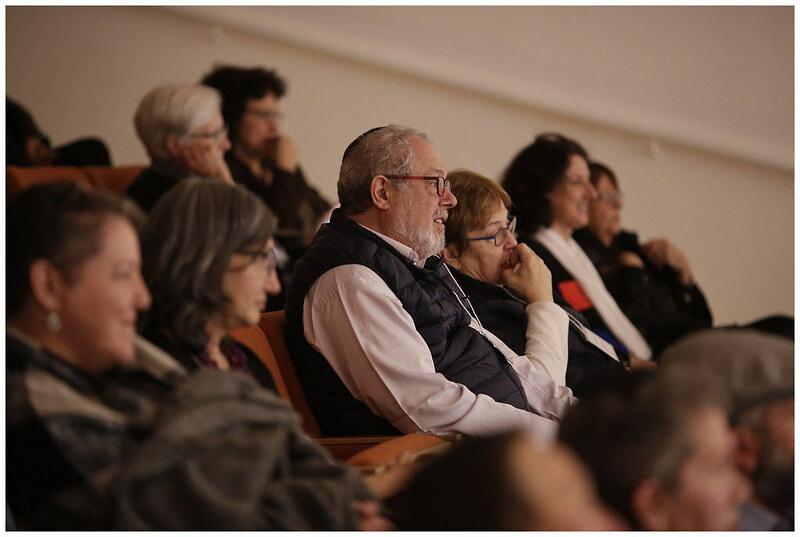 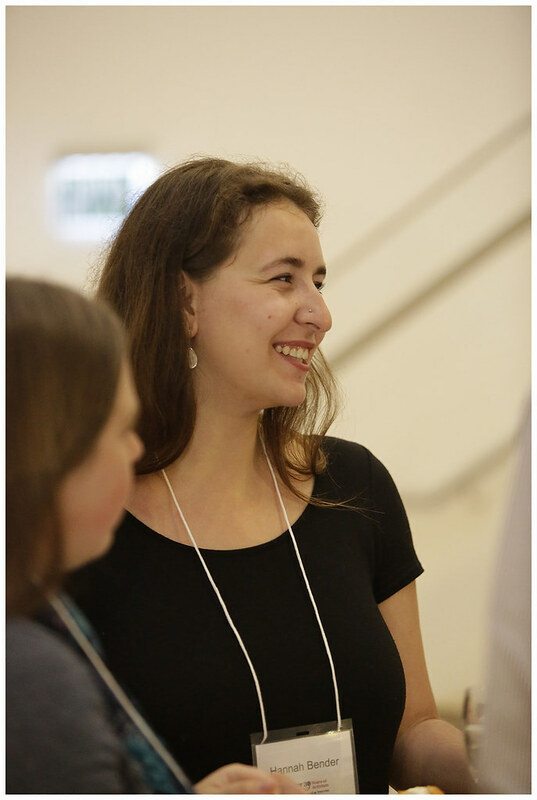 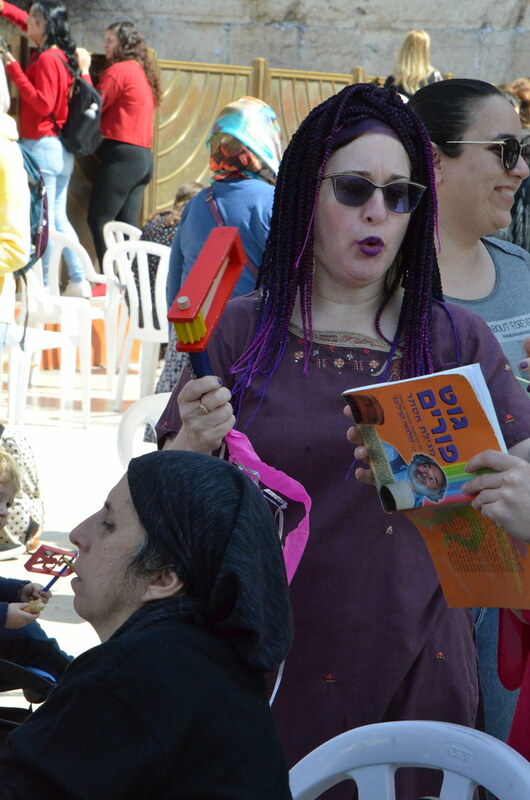 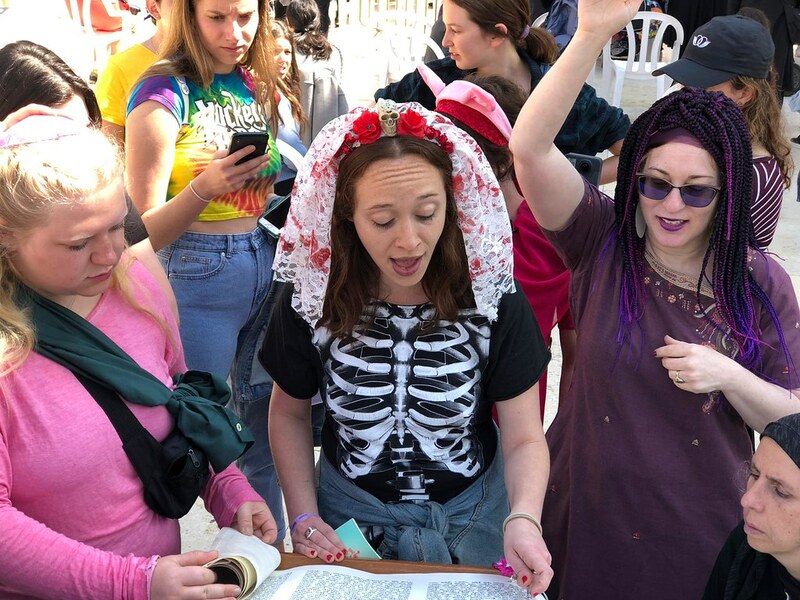 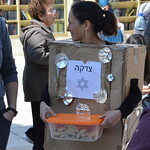 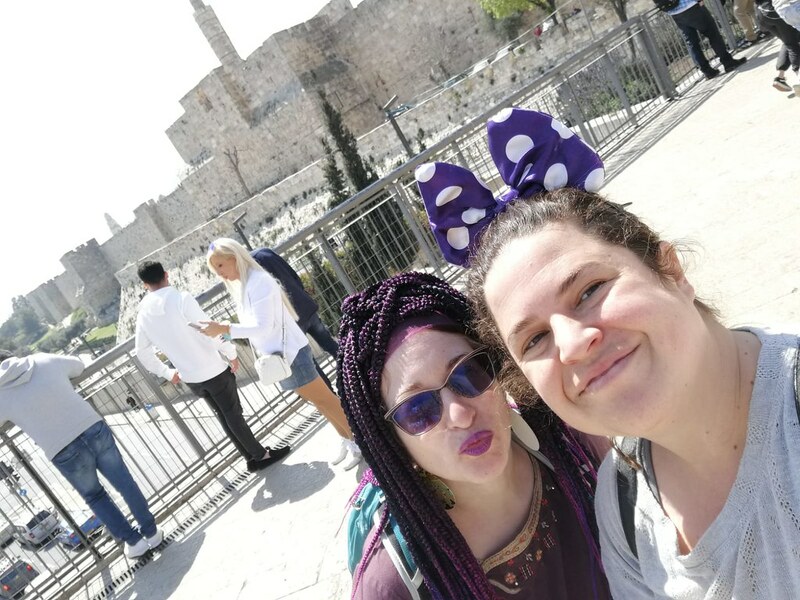 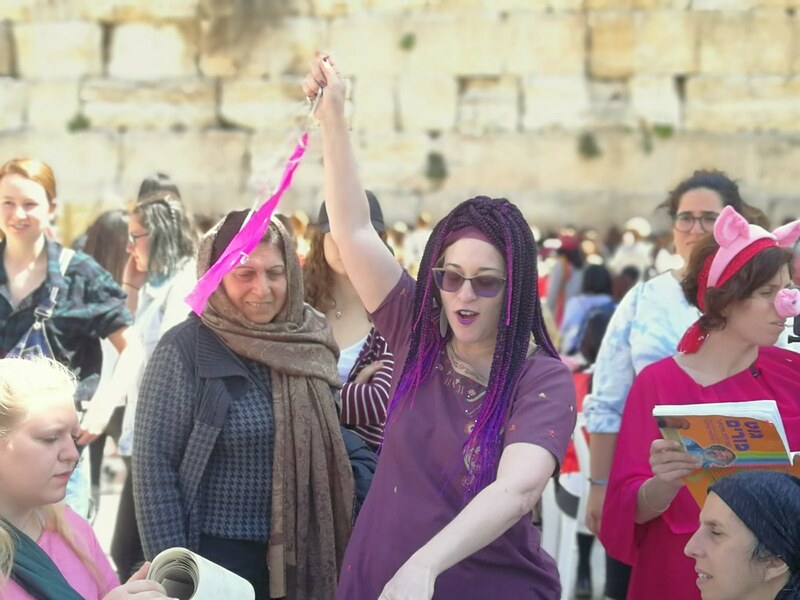 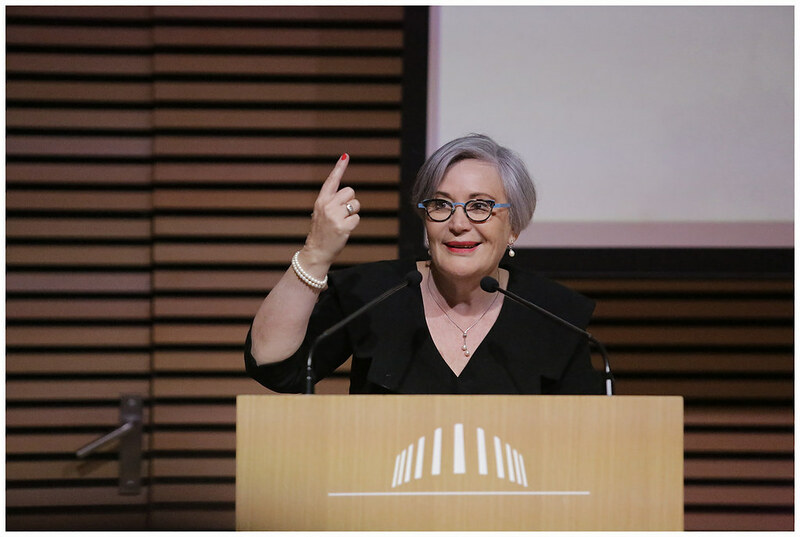 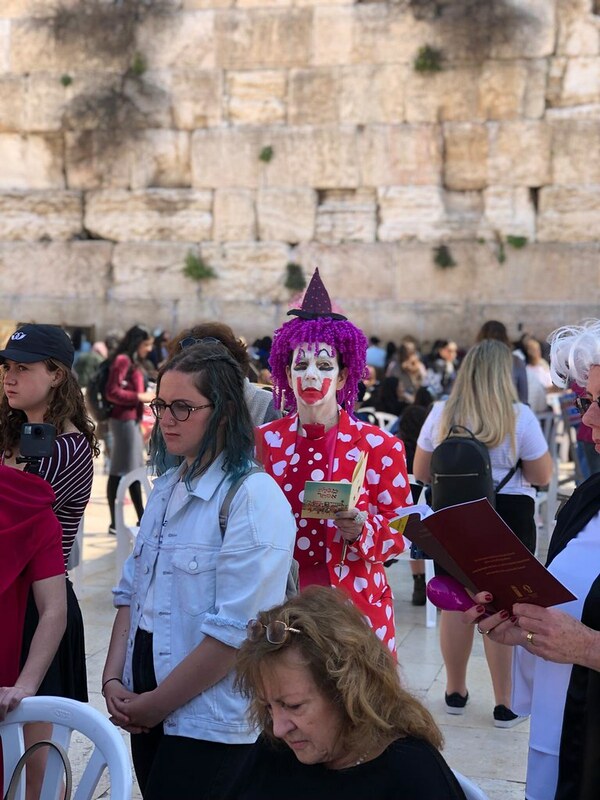 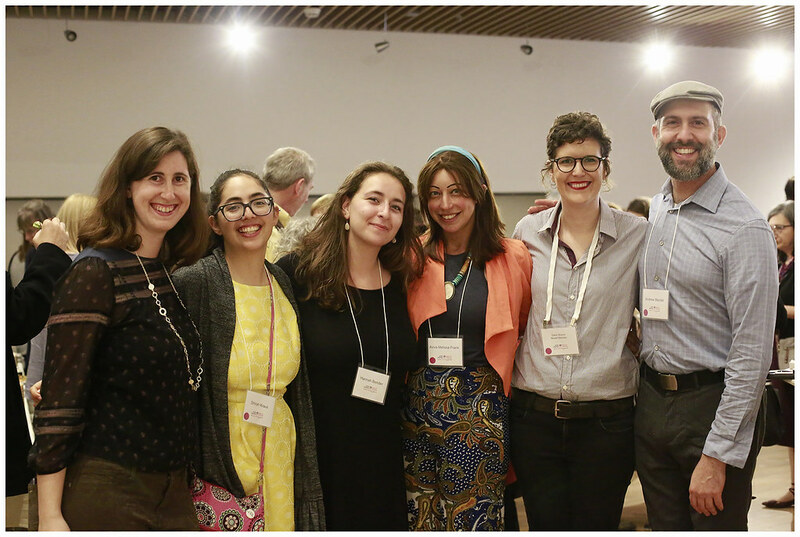 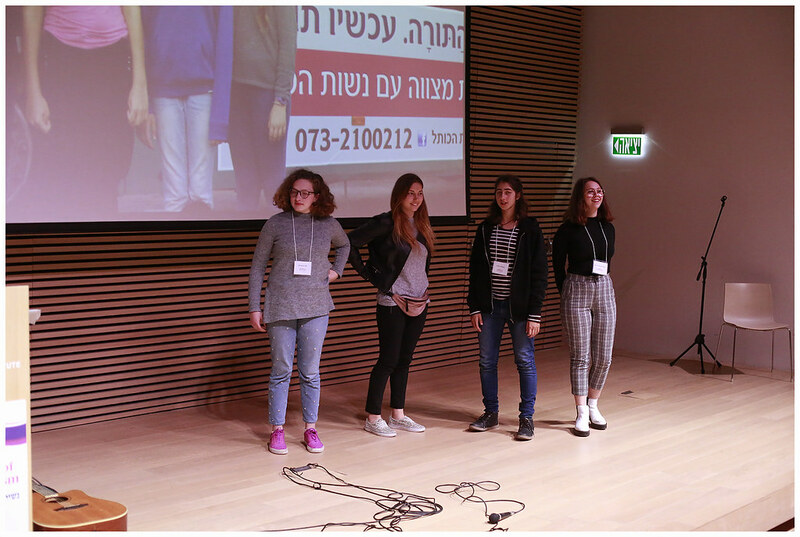 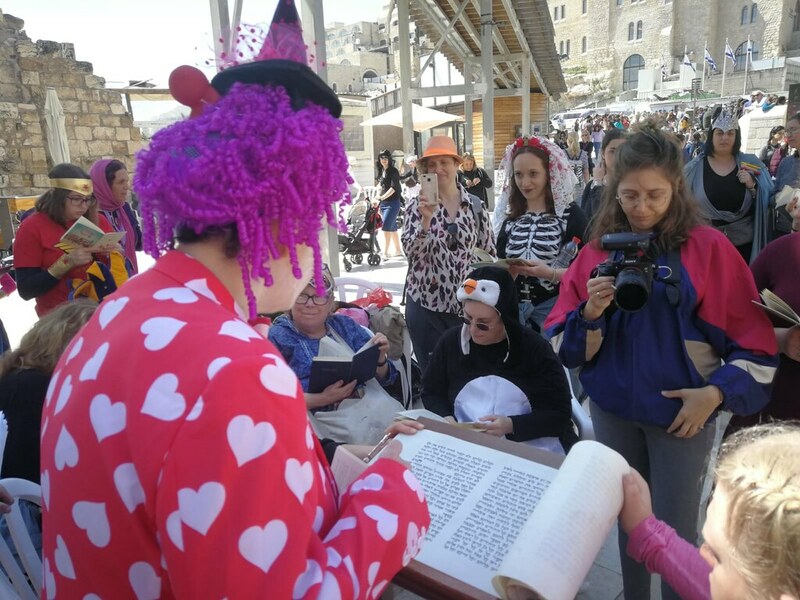 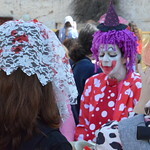 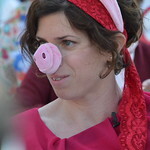 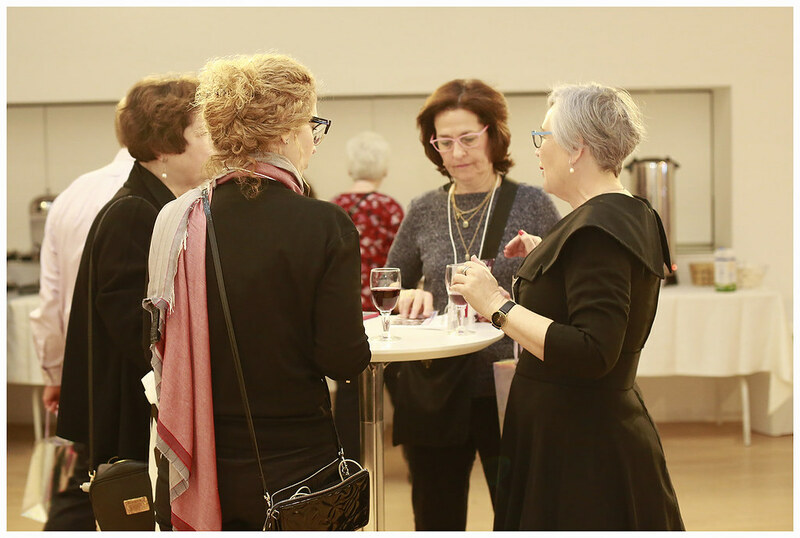 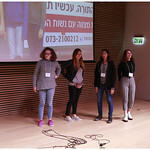 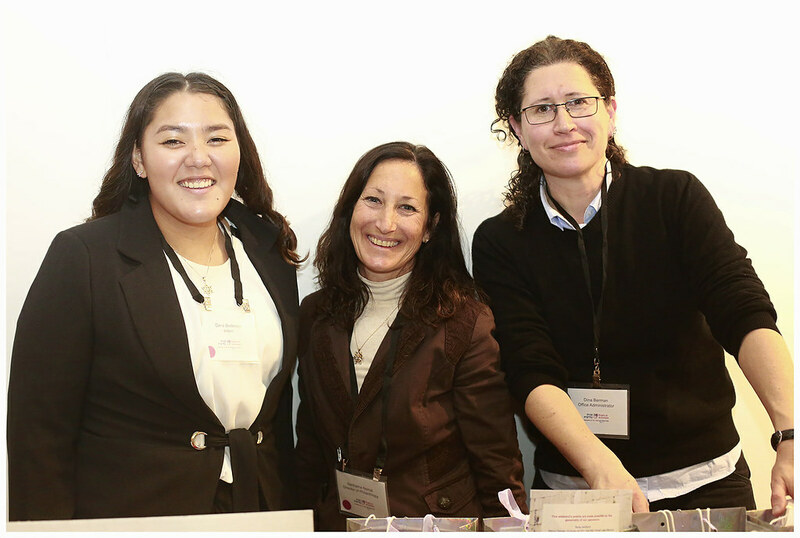 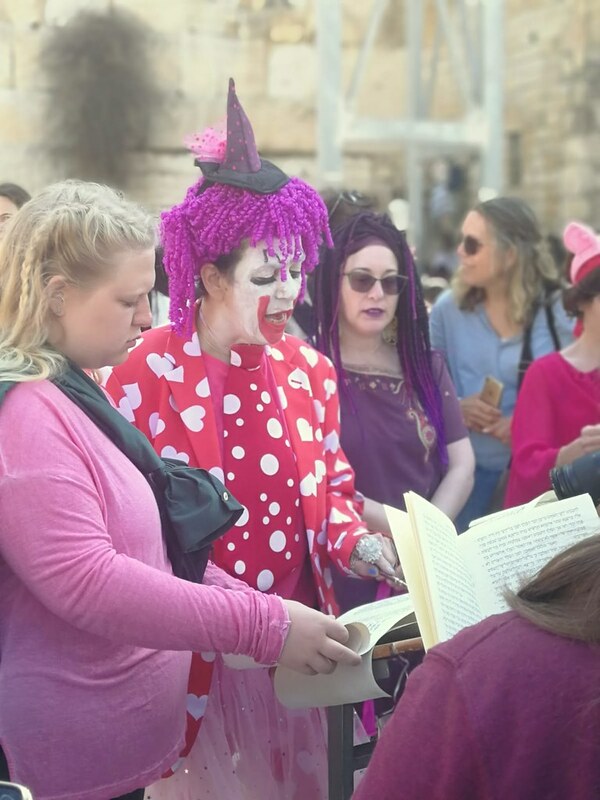 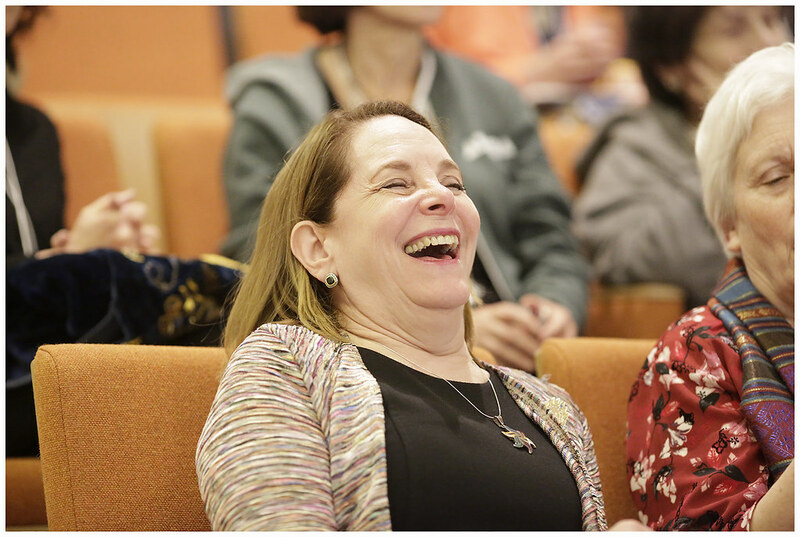 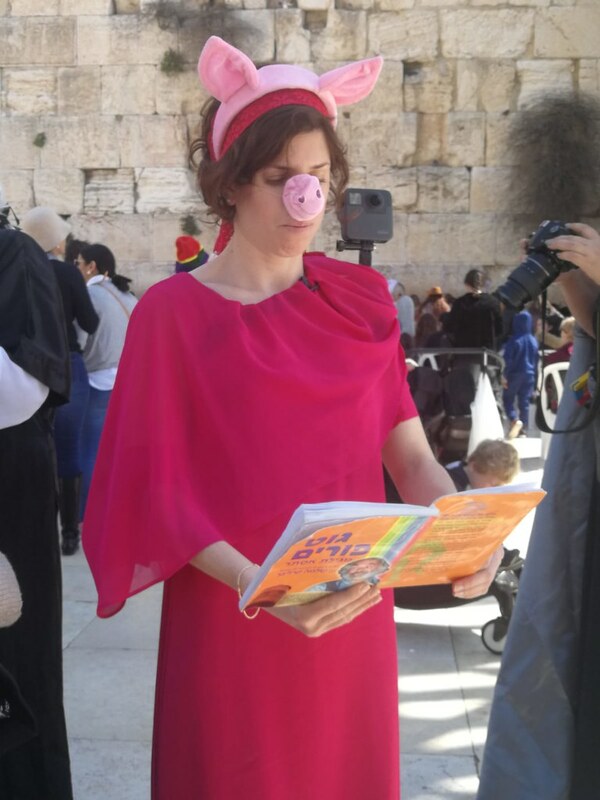 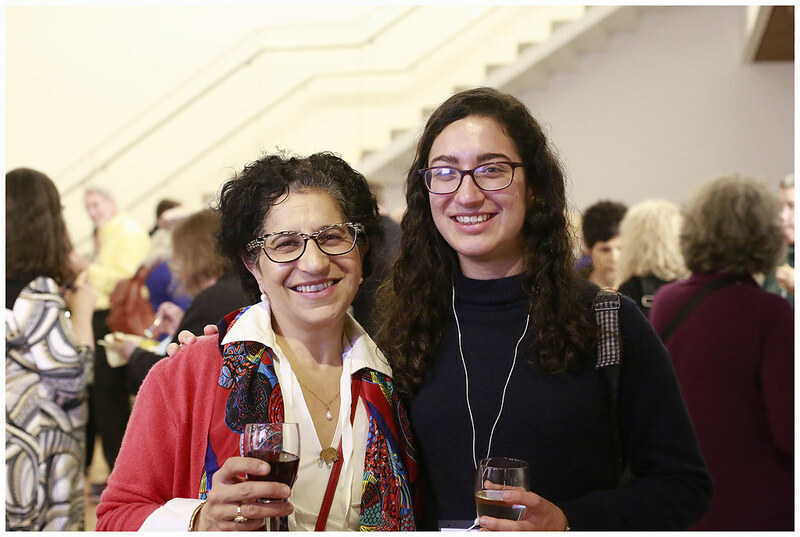 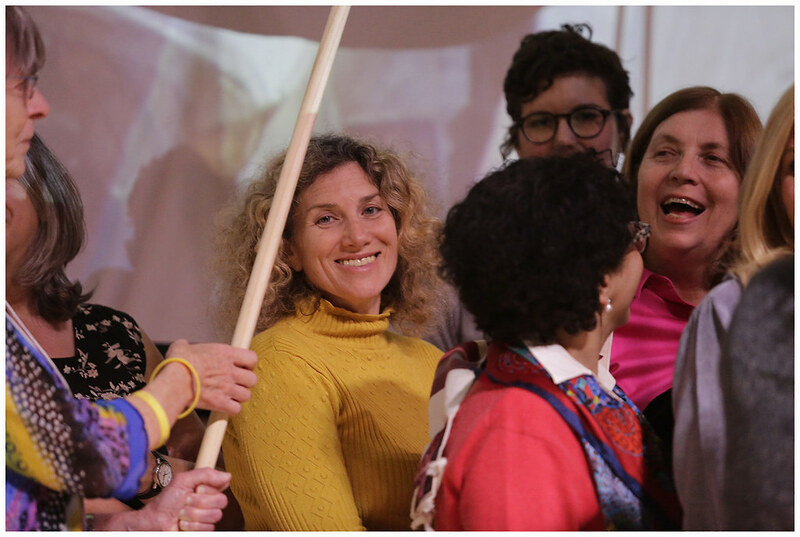 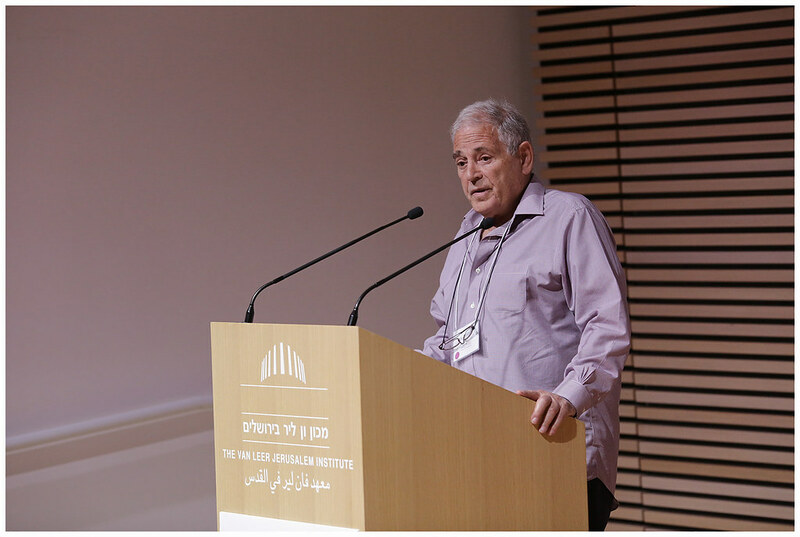 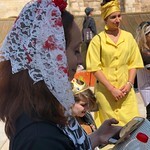 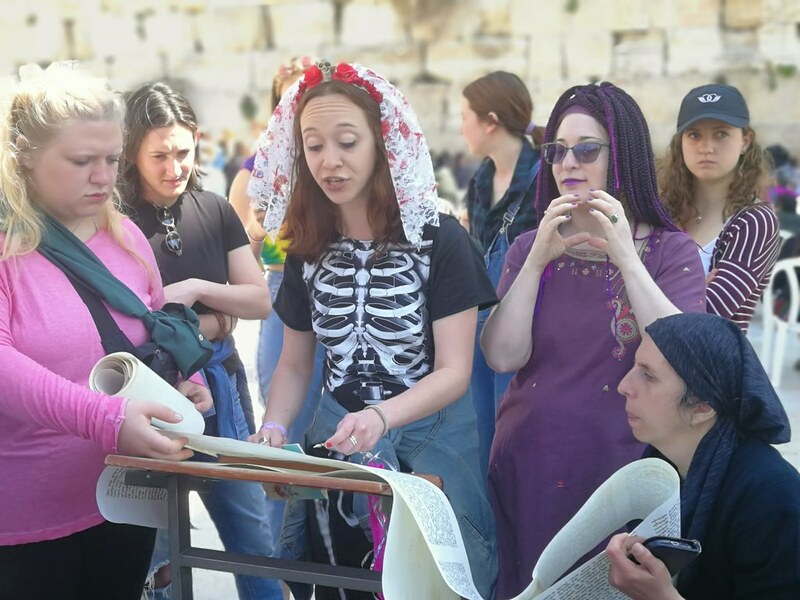 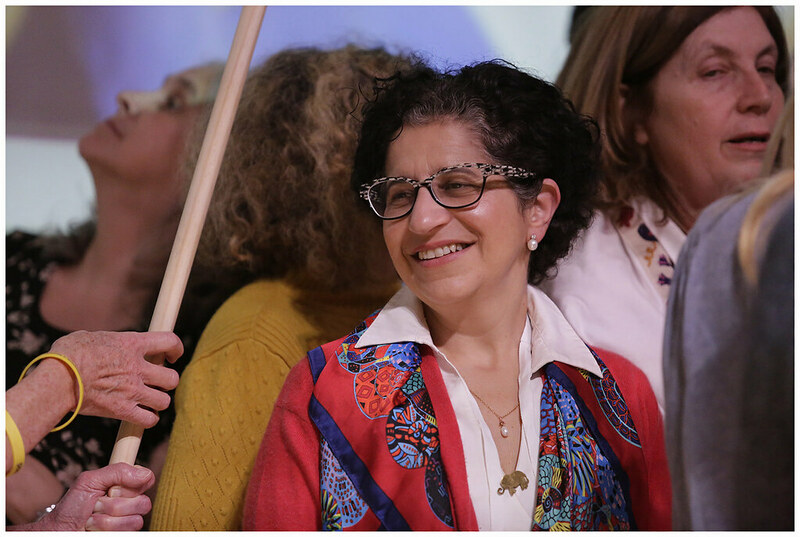 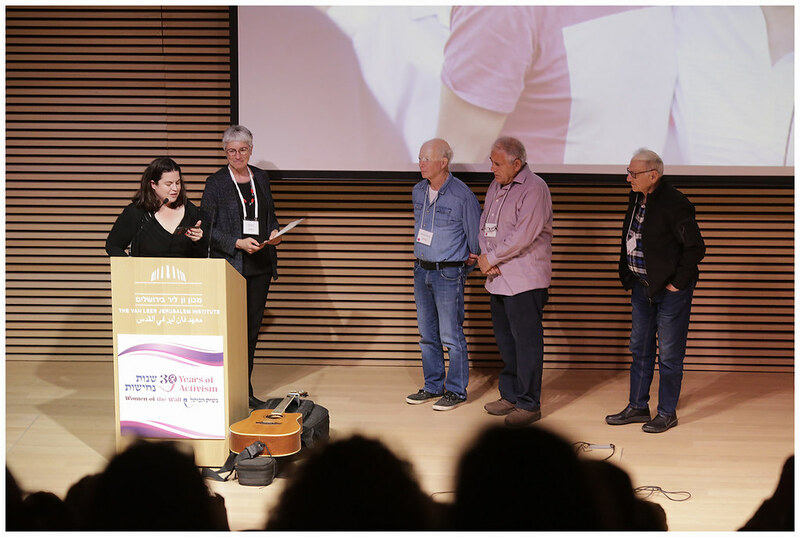 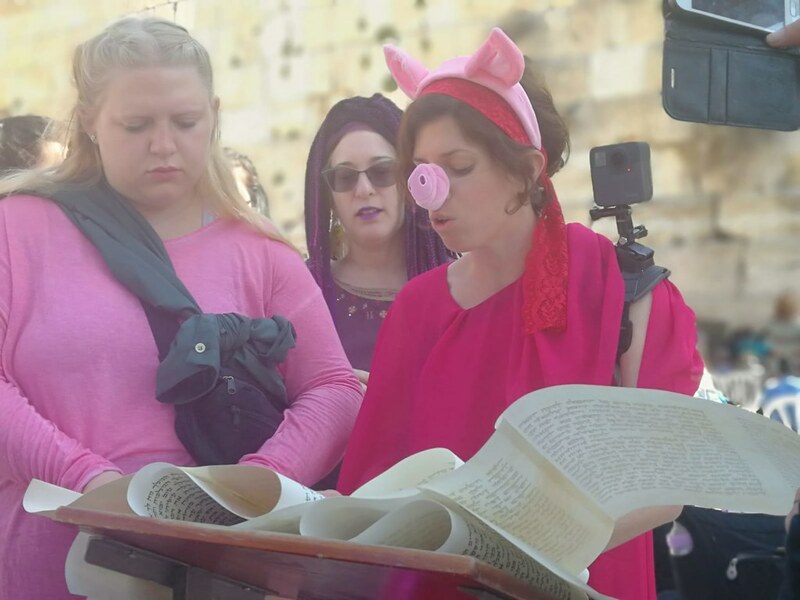 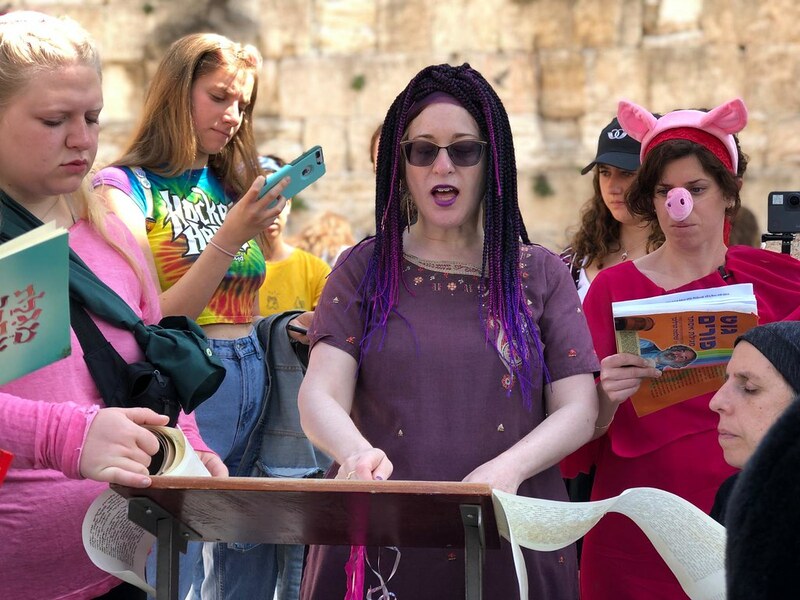 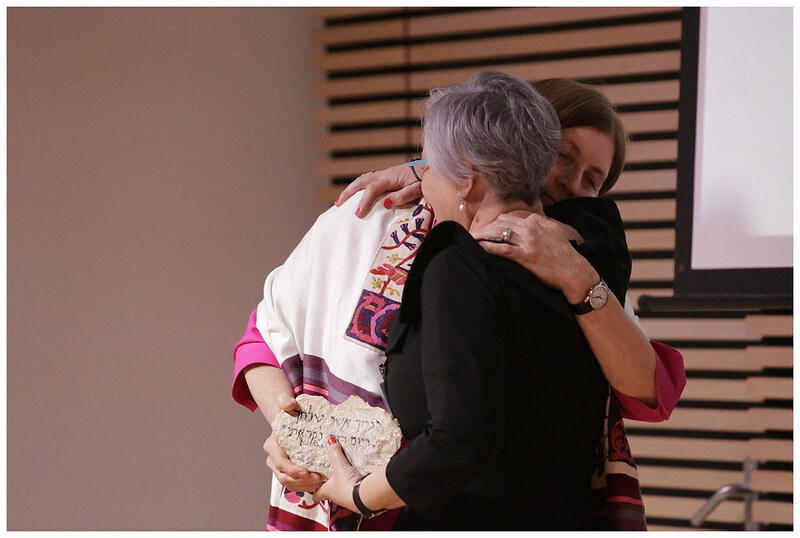 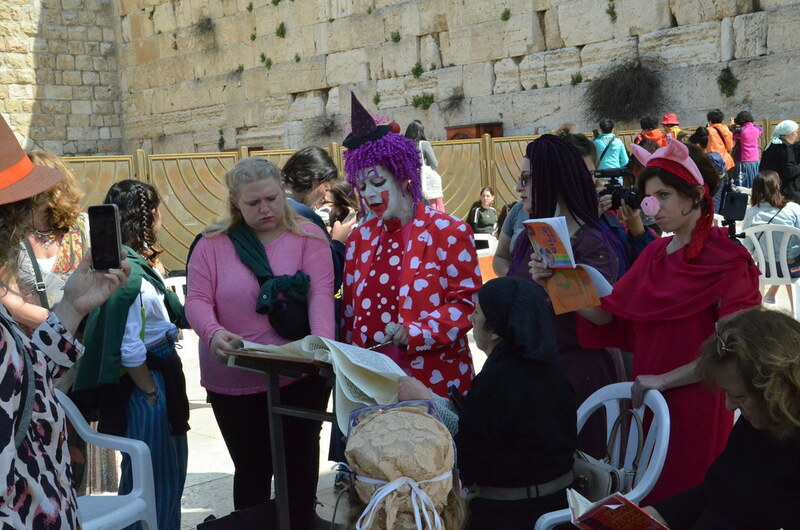 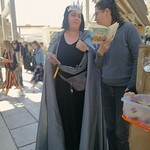 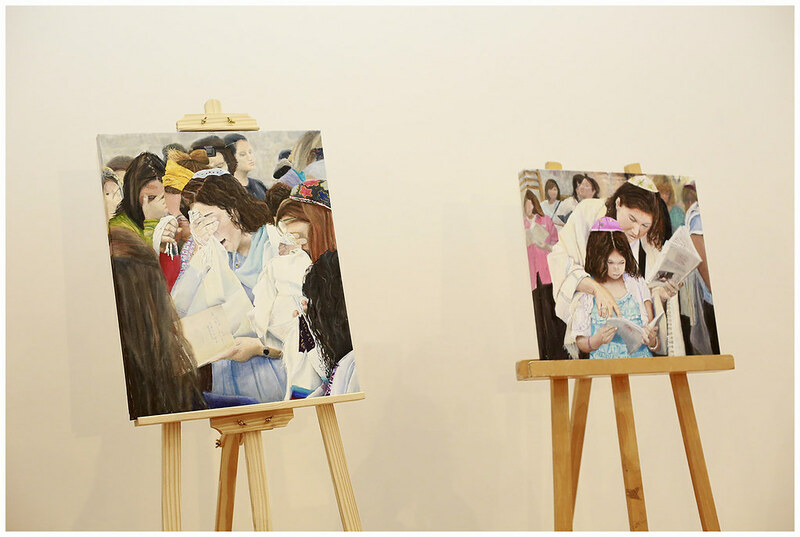 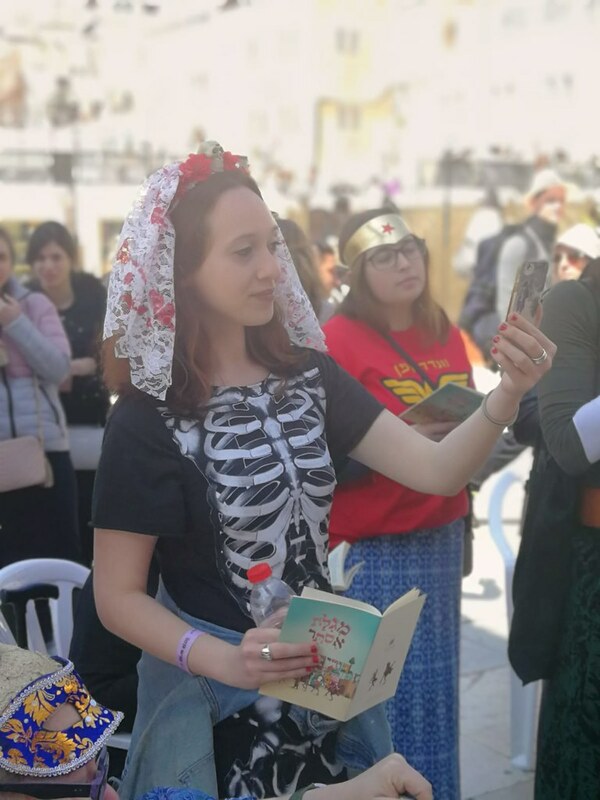 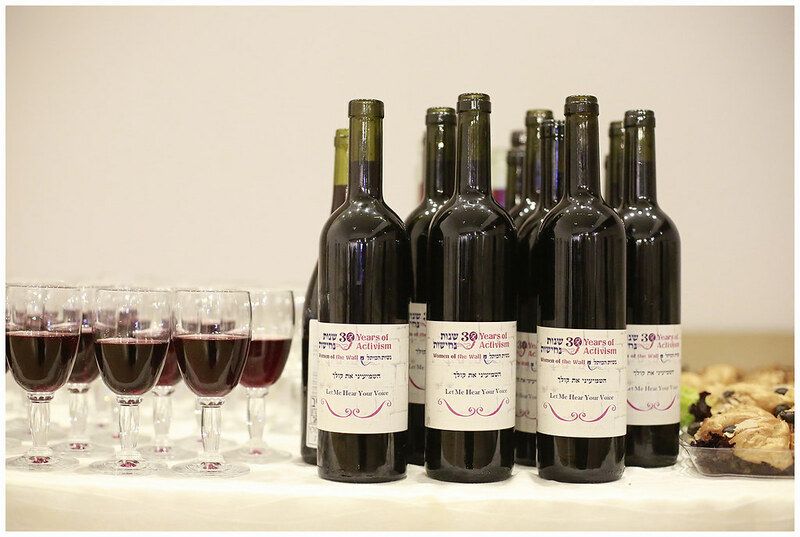 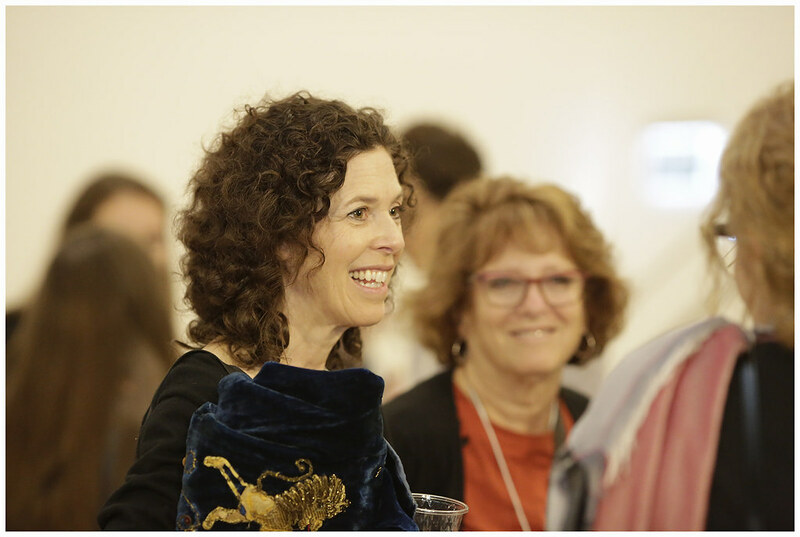 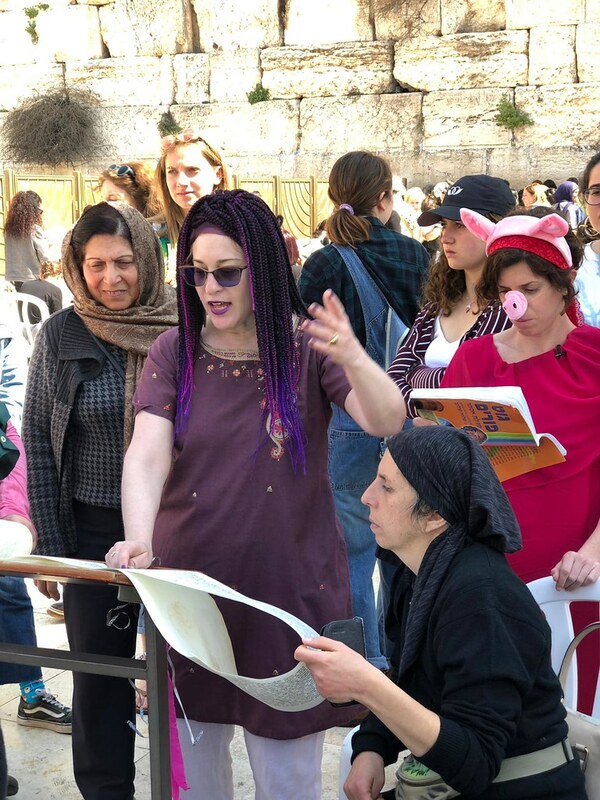 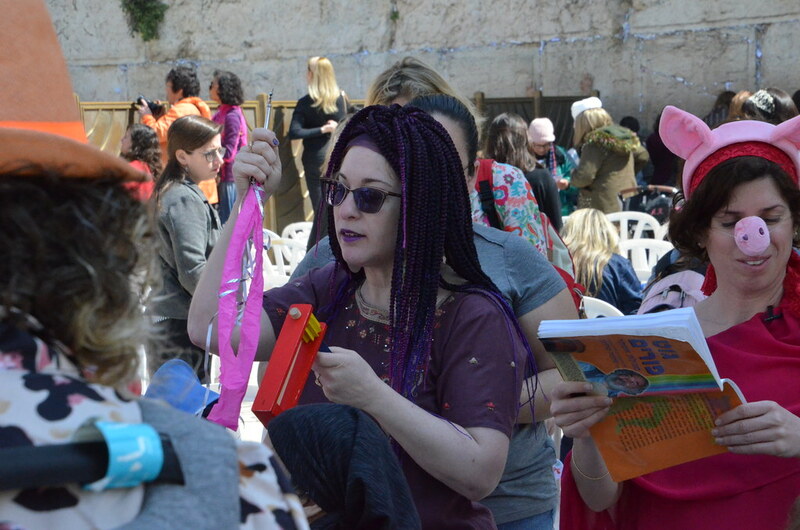 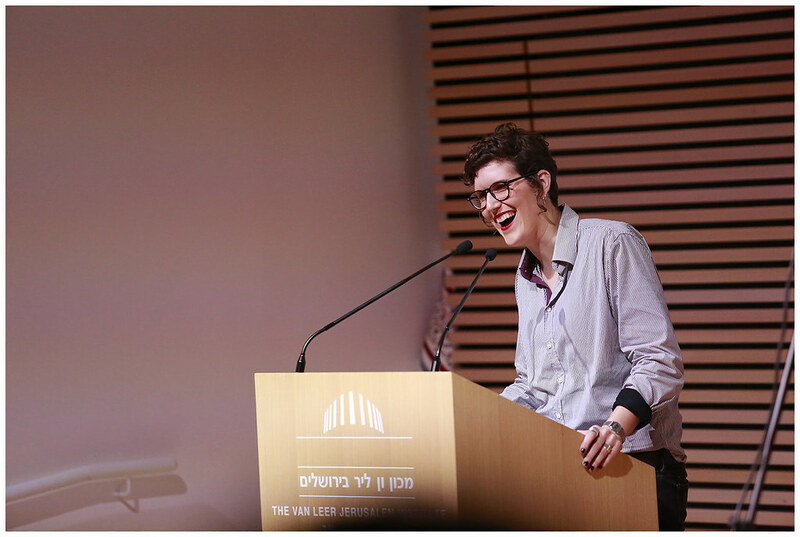 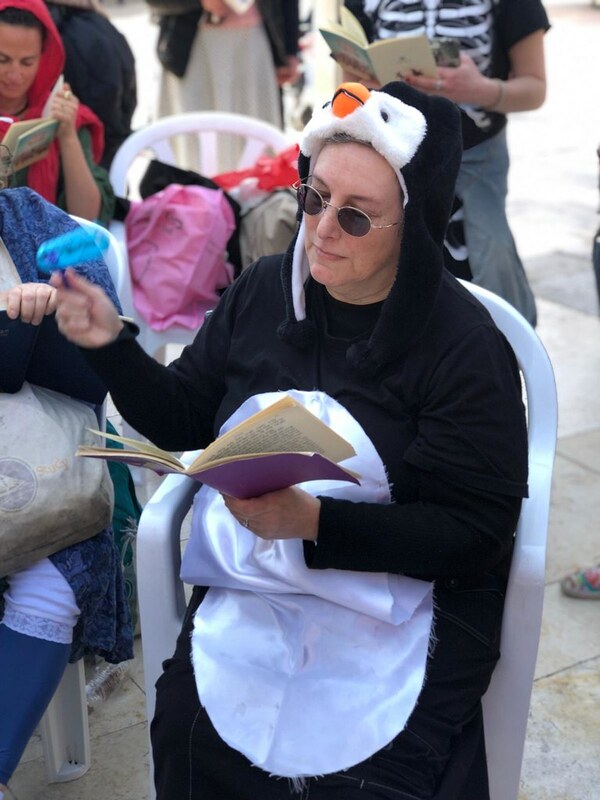 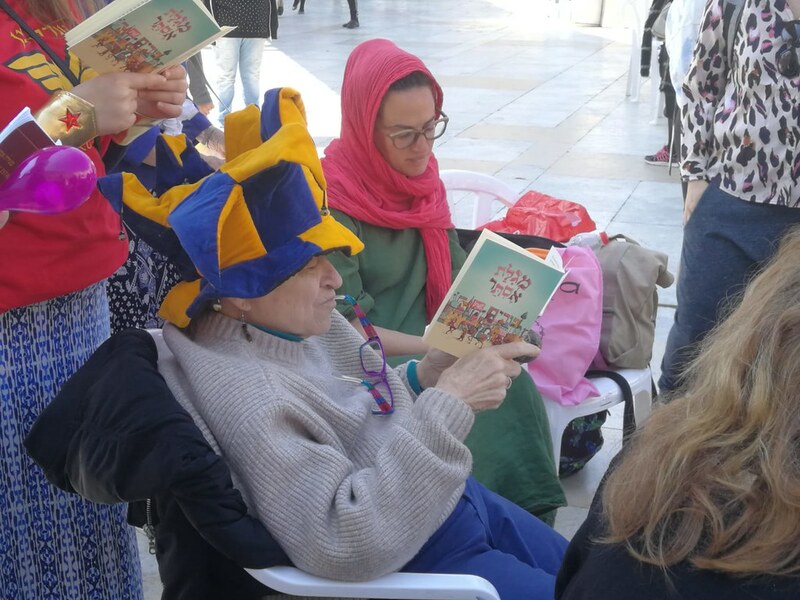 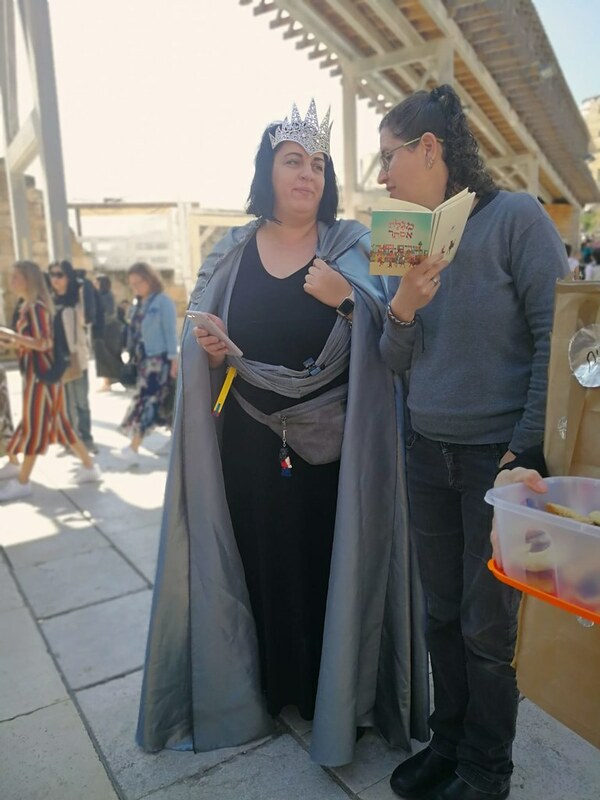 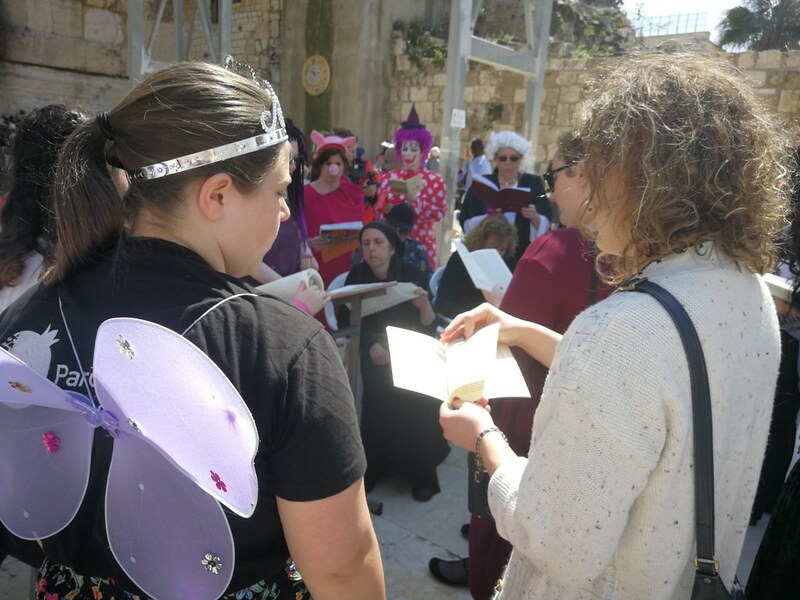 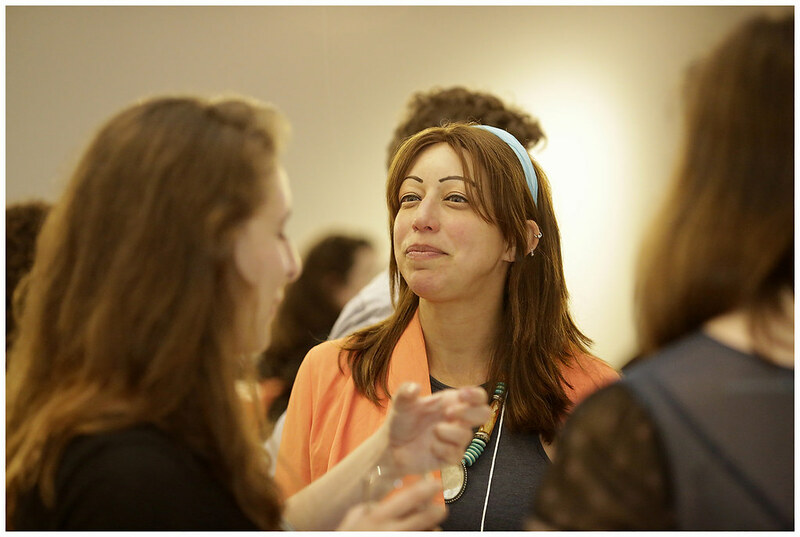 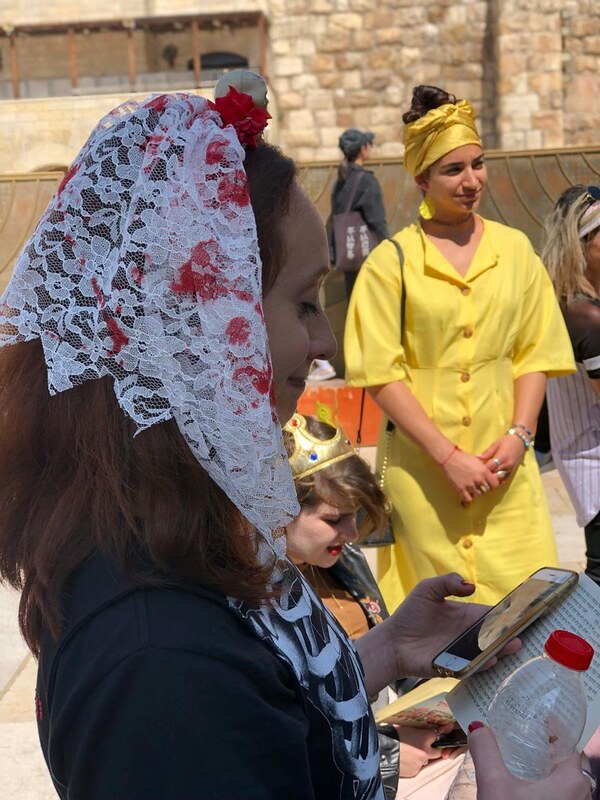 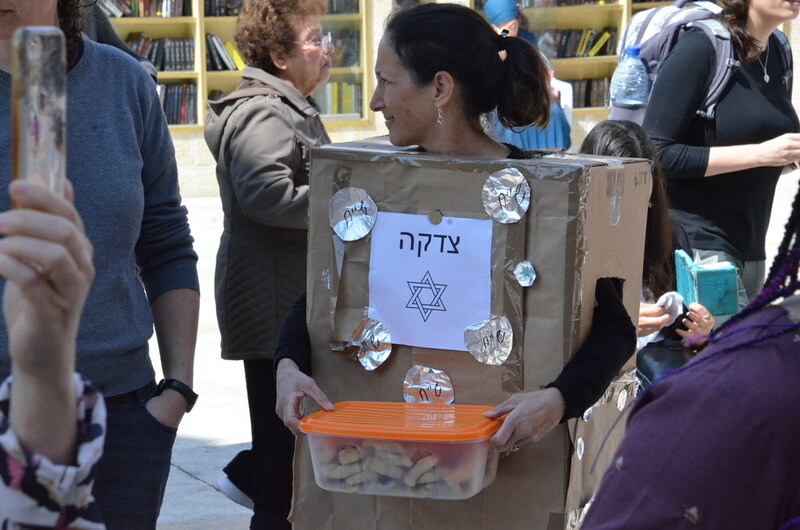 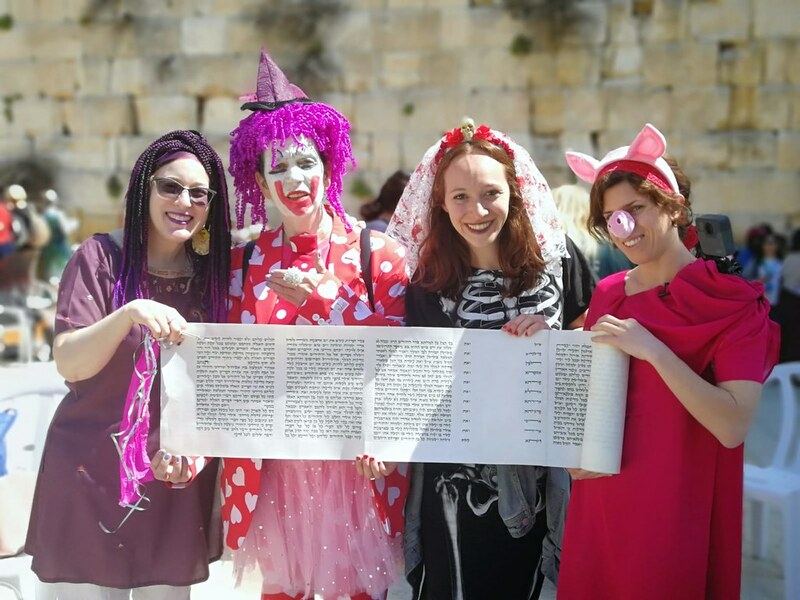 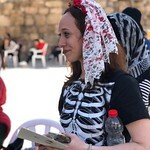 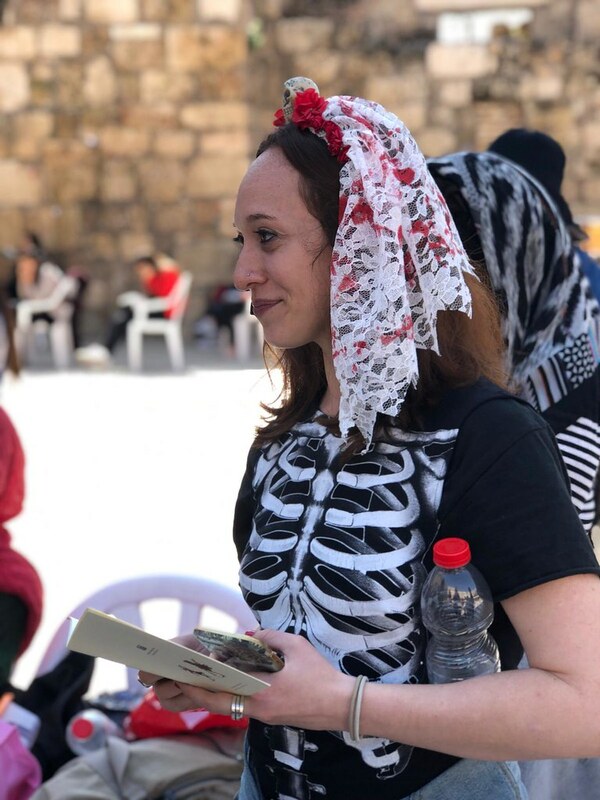 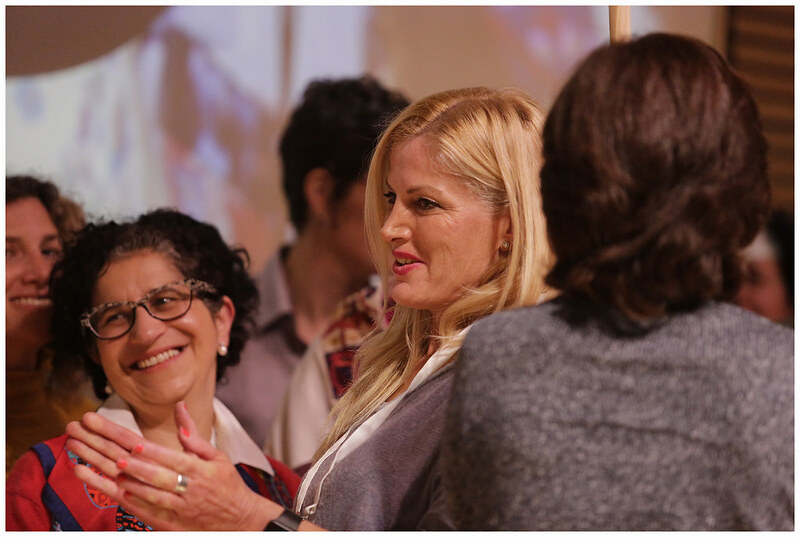 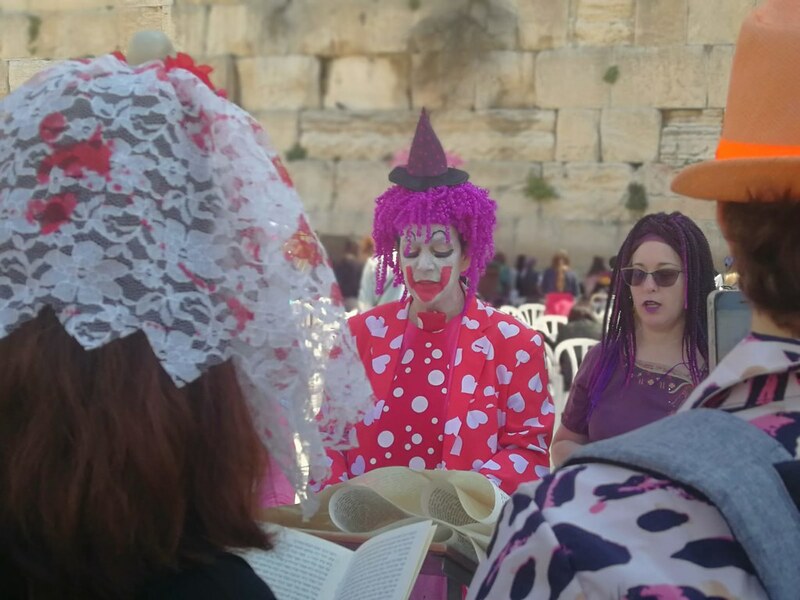 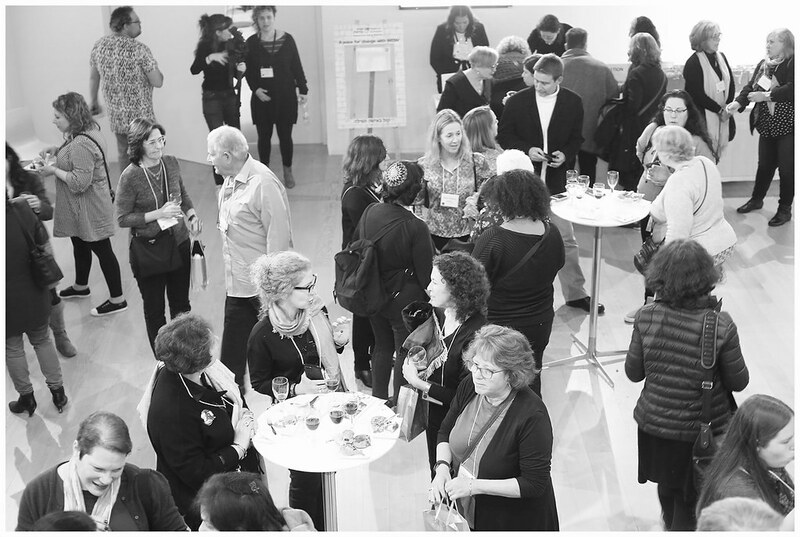 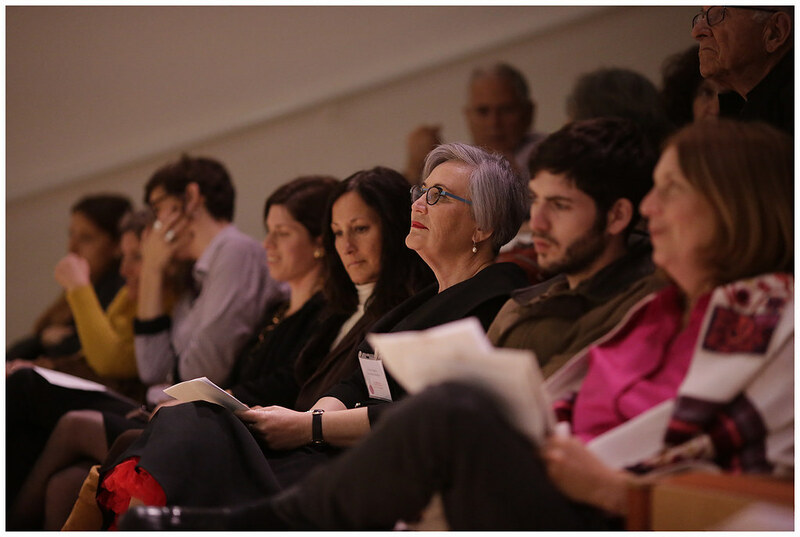 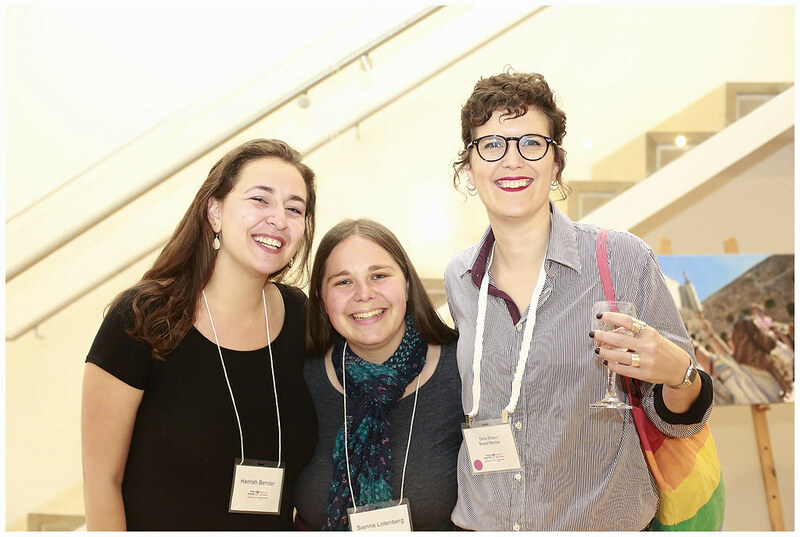 The holiday of Purim was celebrated by the group of women at the Western Wall with all of the traditional elements: costumes, laughter, joy and the reading of the Book of Esther, a story with a strong, Jewish heroine. 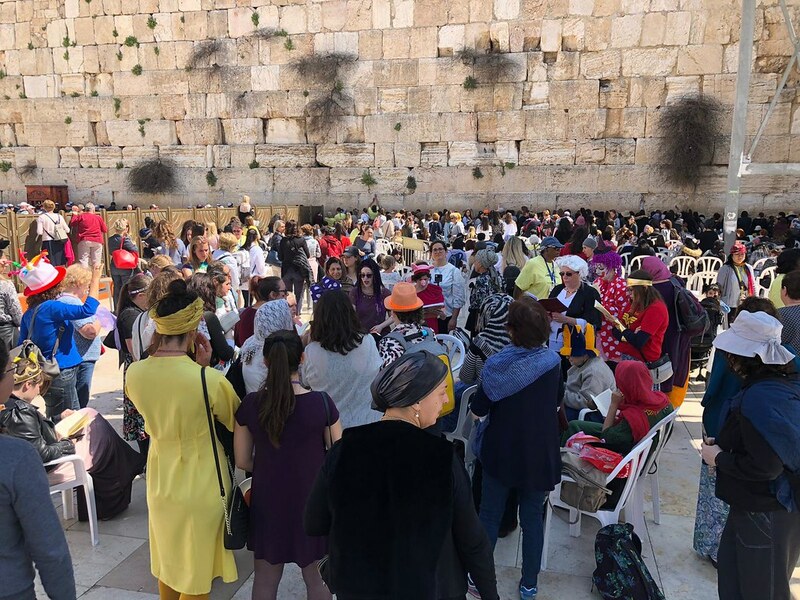 The site was crowded with many visitors and worshippers and there were no altercations or disturbances, with police, onlookers or otherwise.